[2013.04.10] Prof. Qianchuan Zhao and Cangqi Zhou attended ICNSC2013. [2013.02.19] UConn and State Announce Landmark Sciences and Tech Initiative. 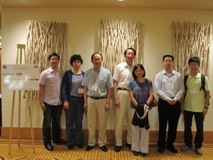 [2012.12.09] Prof. Xi-Ren Cao, Prof. Weibo Gong, Prof. Xiaohong Guan, Prof. Qing-Shan Jia, and Prof. Li Xia attended the CDC 2012 held in Hawaii, USA. 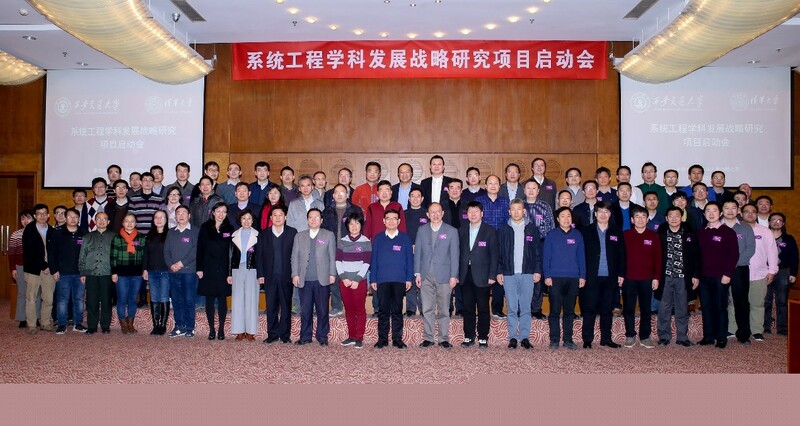 On January 18, 2019, the launching meeting of the Strategic Research Project on Systems Engineering for the Development of Systems Engineering was successfully held in Tsinghua University. 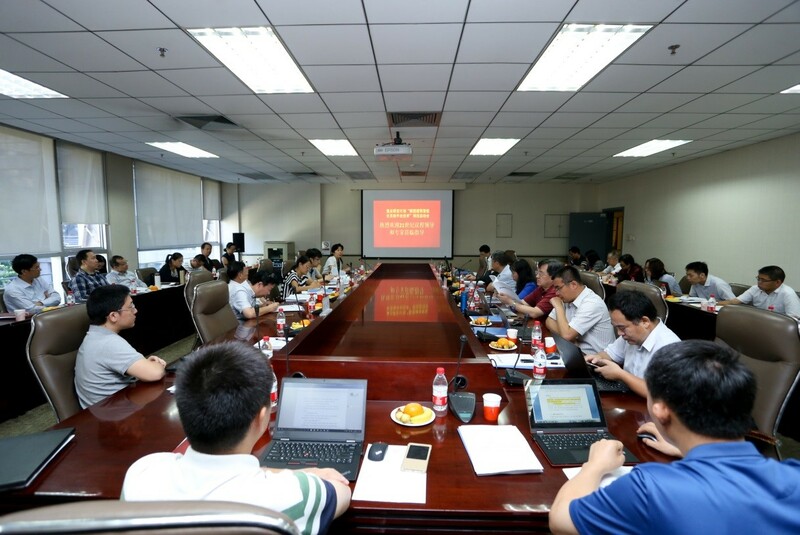 The research project on the development strategy of system engineering is project discipline was deliberated and approved by the seventh joint meeting of the joint leadership group of the Natural Science Foundation of China Committee and the Chinese Academy of Sciences. Professor Xiaohong Guan is the principle investigator. This meeting establishes a platform for the design and coordination for carrying out this strategic planning project. The discipline of systems engineering is connected with multiple application domains, such as aerospace and aeronautic systems, biological and medical systems, transportation and logistics systems, economic and social systems, military systems, energy and resource systems, networked systems, and manufacturing systems. Just to name a few. A series of meetings will be organized in these fields to summarize the history, to review the state of art, and to create strategic plans. 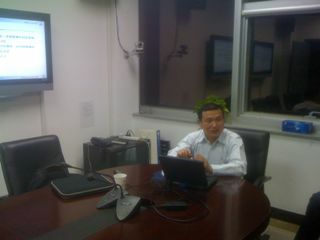 Prof. Qianchuan Zhao, director of Center for Intelligent and Networked Systems (CFINS), chaired the meeting. 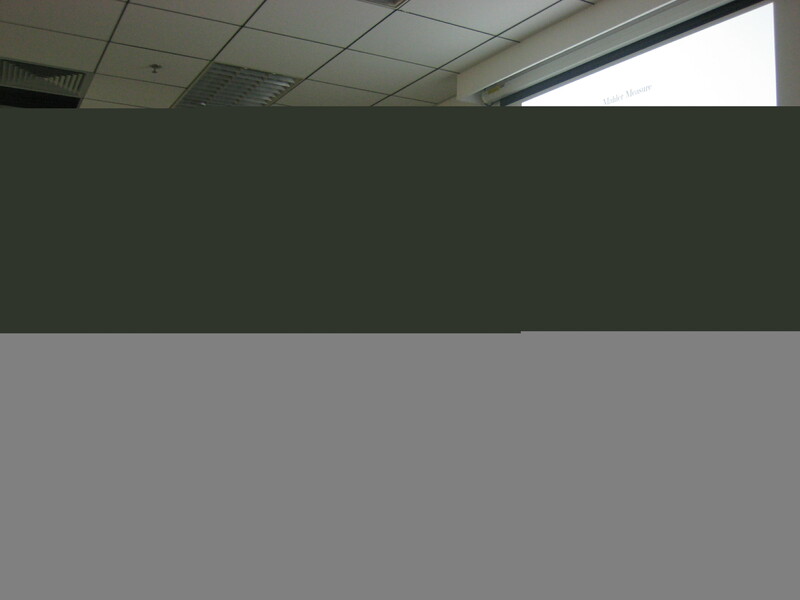 This meeting is hosted by the Department of Automation at Tsinghua University. Prof. Tao Zhang, the chair of the department, gave an opening remarks. Mrs. Feng Xia, Director of Technology and Information Department in the Academic Divisions of the Chinese Academy of Sciences, introduced the background of this project. Prof. Xiaohong Guan introduced the general plan for this project. 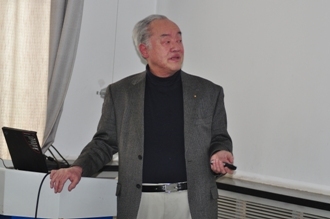 Prof. Lei Guo from Academy of Mathematics and Systems Science, Chinese Academy of Sciences gave the plenary speech to review the history of systems sciences and systems engineering. Then the attendees provided valuable suggestions on how the project may be carried on. This one-day meeting is attended by nearly 100 experts across the country. On October 14th, the 3rd Workshop on Discrete Event Dynamic System for CAA TCCT Research Group is held in Macau University of Science and Technology. Prof. Xiren Cao from Hong Kong University of Science and Technology and Prof. Alessandro Giua from University of Cagliari, Italy presented their works on DEDS. 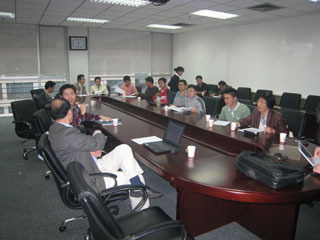 Scholars and reseachers from various universities in China attends the Workshop. On October 11th, The 2nd Workshop on Control and Optimization for Networked Systems and the Joint Meeting for Chinese Association of Automation Technical Committee on Control Theory (CAA TCCT) Research Group on Modeling and Optimization for Uncertain Systems is held in the Center for Intelligent and Networked Systems (CFINS) in Tsinghua University. There were three invited plenary talks, by Dr. Tamer Başar (a member of the US National Academy of Engineering, the Chief Scientist of CFINS, and a professor at the University of Illinois at Urbana-Champaign), Dr. Petros Voulgaris (professor at the University of Illinois at Urbana-Champaign), and Dr. Frank Doyle (Dean of the School of Engineering and Applied Science and a professor at Harvard University). Prof. Jing ZHANG, Li LI, Yilin MO, and Keyou YOU from the Department of Automation also presented their work in the afternoon. 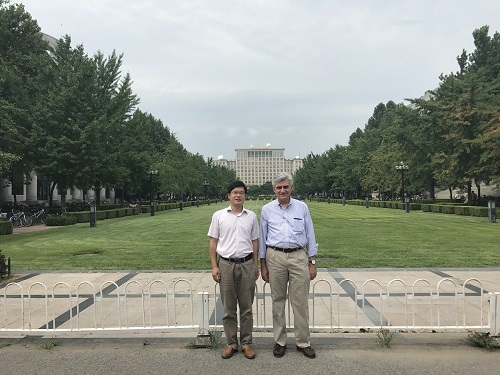 Dr. Başar and Dr. Doyle are oversea members of the 111 project “Intelligent and Networked Systems” of the Department of Automation in Tsinghua University. 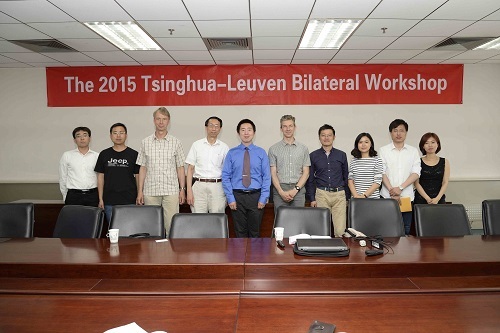 Prof. Tong ZHOU, Qianchuan ZHAO and more than thirty faculties and students attended this workshop. 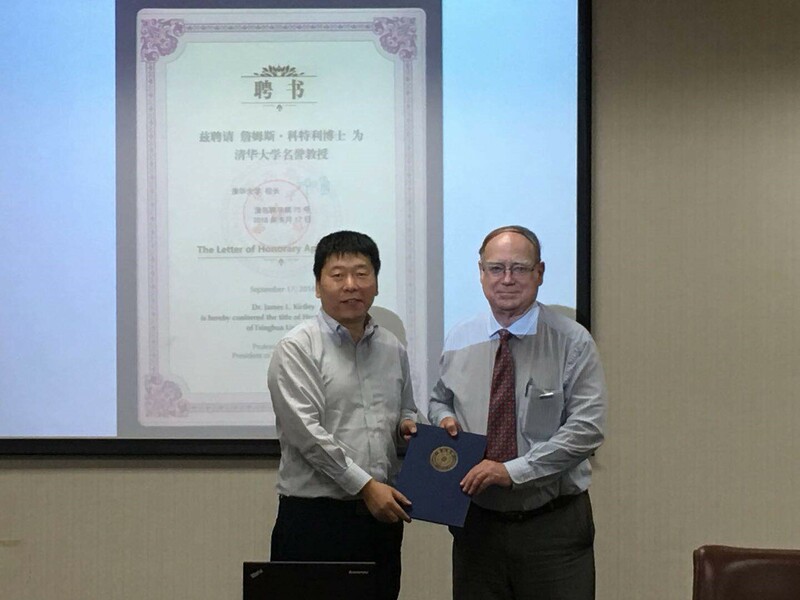 On the morning of September 18th, the appointment ceremony of Dr. James L. Kirtley as the Honorary Professor of Tsinghua University was held in the Department of Automation. Professor Kirtley is a professor of Massachusetts Institute of Technology and is a well-known expert in the field of electrical engineering. He is a Fellow of the American National Academy of Engineering and a Fellow of the Institute of Electrical and Electronics Engineers (IEEE). He has a high reputation in both academia and industry. At the appointment ceremony, Professor Zhang Tao, Party secretary of the Department of Automation, awarded the Letter of Appointment to Dr. Kirtley on behalf of the university. 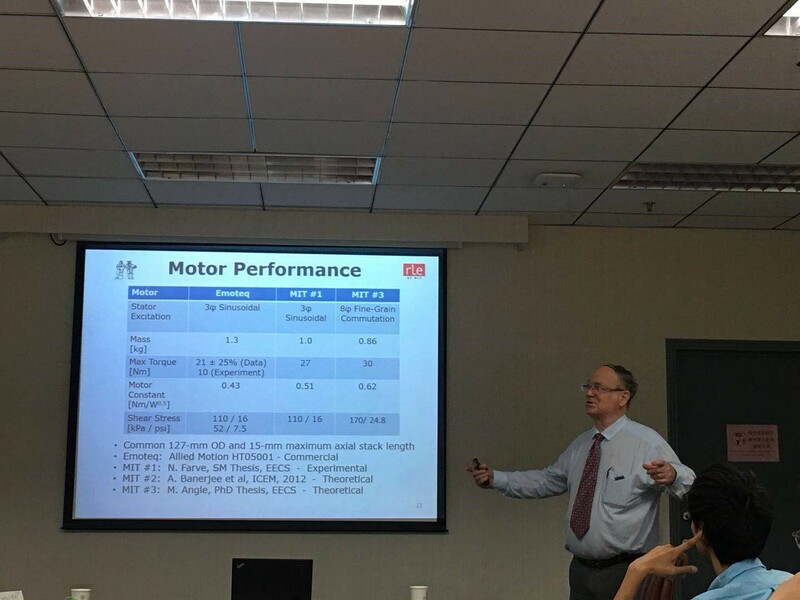 After the appointment ceremony, Professor Kirtley gave an academic talk on Motors for Robot and had a good discussion with the faculties and the students. Dr. Kirtley is a visiting professor of the Center for Intelligent and Networked Systems (CFINS), and an international member of the 111 project “Intelligent and Networked Systems”. 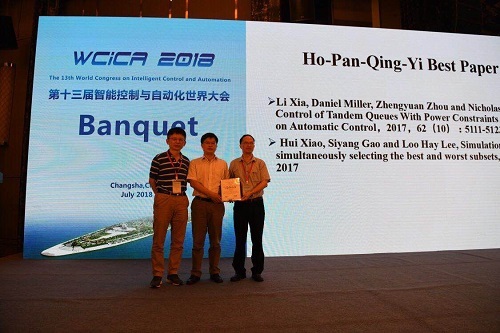 The 2018 "HoPanChingYi" Best Paper Award was announced in the WCICA held in ChangSha, China, June 6, 2018. The award is shared by the authors of two papers: 1. Li Xia, Daniel Miller, Zhengyuan Zhou, and Nicholas Bambos, “Service rate control of tandem queues with power constraints,” IEEE Transactions on Automatic Control, Vol. 62, No. 10, pp. 5111-5123, 2017; 2. Hui Xiao, Siyang Gao, and Loo Hay Lee, “Simulation budget allocation for simultaneously selecting the best and worst subsets,” Automatica, Vol. 84, pp. 117-127, 2017. The "HoPanChingYi" Best Paper Award was set up by Prof. Yu-Chi Ho in 1991. 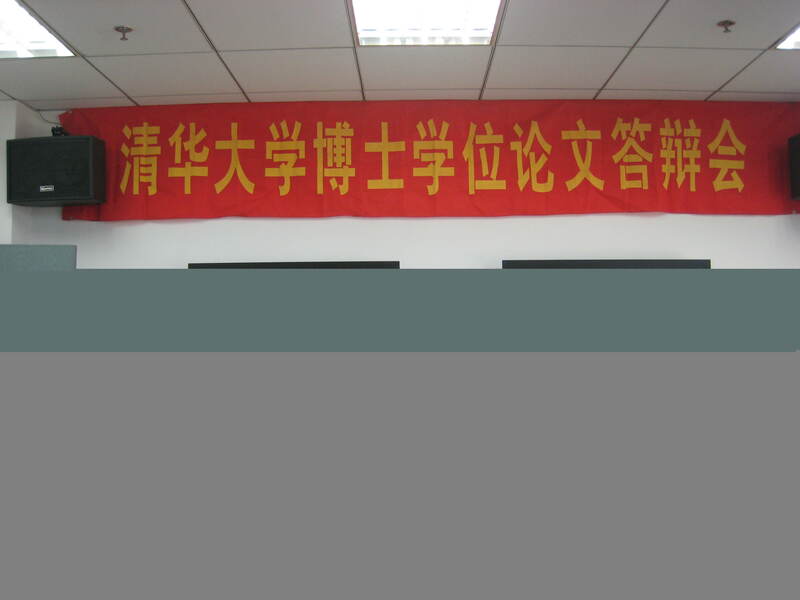 The purpose is to promote the research work in the field of discrete event dynamic systems in China. On July 7, the 2018 Harvard Control Workshop took place at Harvard University. CFINS is one of the sponsors of this event. About 40 researchers attended the workshop to exchange recent results inspired by Harvard Professor，CFINS Chief Scientist, Prof. Yu-Chi Ho’s work on control and system sciences. Prof. Chun Hung Chen from George Mason University chaired the workshop. Opening Remarks were given by Prof. Frank Doyle, Dean of the John A. Paulson School of Engineering and Applied Sciences, Harvard University. 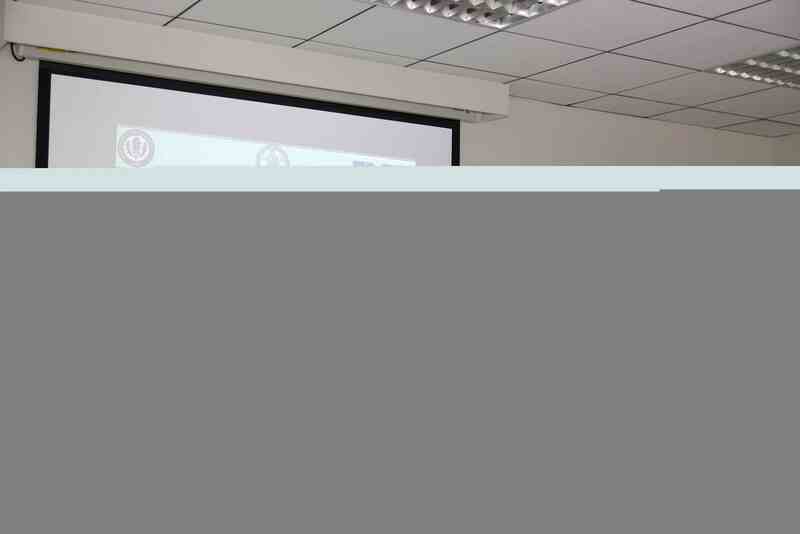 Prof. Yu-Chi Ho also gave remarks on his academic life and gave advices to young researchers. 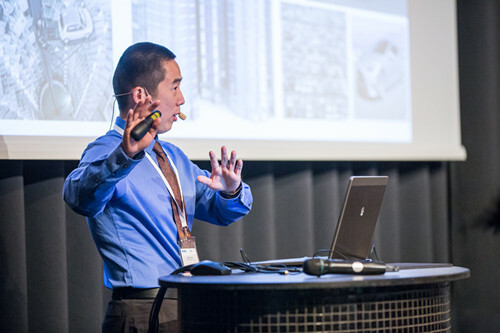 CFINS director Prof. Qianchuan Zhao delivered a keynote speech on Insect Intelligent Building (I2B). CFINS chair professors Prof. Luh, Prof. Gong and Prof. Cassandras also attended the workshop. The 2018 Workshop on Stochastic Learning and Optimization, organized by Center for Intelligent and Networked Systems (CFINS), Tsinghua University, was held in FIT building on June 3rd, 2018. 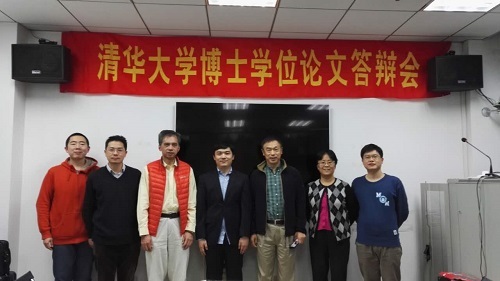 Distinguished speakers including Prof. Xi-Ren Cao (IEEE Fellow, IFAC Fellow) from Hong Kong University of Science and Technology, Prof. Xianping Guo from Sun Yat-sen University, Prof. Quanlin Li from Yanshan University, Assoc. Prof. Yanjie Li from HIT, Assoc. Prof. Jianjun Gao from SHUFE, Assoc. Prof. Xiangwei Wan from SJTU, Assoc. 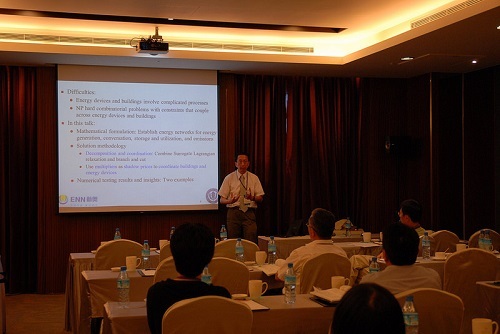 Prof. Li XIA from CFINS delivered inspiring speeches during the workshop. 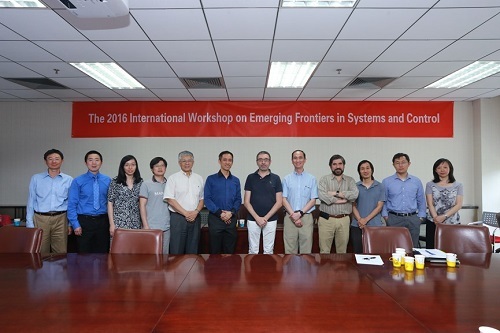 The 2018 Workshop on Emerging Frontiers in Systems and Control, organized by Center for Intelligent and Networked Systems (CFINS), Tsinghua University, was held in FIT building on May 16th, 2018. 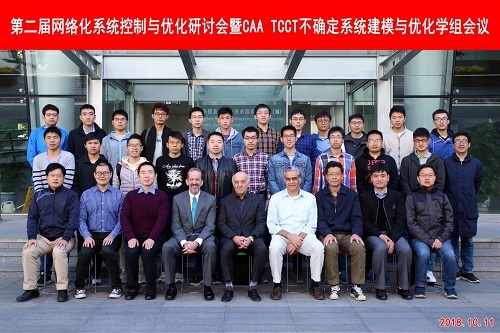 Nearly 100 prestigious scholars, teachers and students from various schools and institutions such as Tsinghua University (THU), Peking University (PKU), Beihang University, The Chinese University of Hong Kong (CUHK), The University of Illinois at Urbana–Champaign (UIUC), Chinese Academy of Science (CAS), etc. attended the workshop, to conduct an in-deep discussion on the future development as well as research hotspots in the field of Systems and Control. The Deputy Director of CFINS, Associate Professor Qing-Shan JIA hosted the opening ceremony. Prof. Jie ZHOU (Director of the Department of Automation, THU) and Prof. Xiao-Hong GUAN (Academician of CAS, Chair Professor of CFINS) both delivered opening remarks, outlining the broad development prospects of Systems and Control. Distinguished speakers including Prof. Tamer Basar (Chief Scientist of CFINS, Academician of the American Academy of Engineering and the European Academy of Sciences, IEEE Fellow, IFAC Fellow) from UIUC, Prof. Christos G. Cassandras (Chair Professor of CFINS, Dean of Systems Engineering Division of Boston University, IEEE Fellow, IFAC Fellow), Prof. Peter B. Luh (Chair Professor of CFINS, Dean of BRC Research Center of University of Connecticut, IEEE Fellow), Prof. Leandros Tassiulas from Yale University, Prof Qian-Chuan ZHAO (Director of CFINS), Assoc. Prof. Qing-Shan JIA (Deputy Director of CFINS), Assoc. Prof. Li XIA from CFINS, Asst. Prof. Jian-Feng MAO from CUHK, Research Fellow Dong-Bin ZHAO and Assoc. 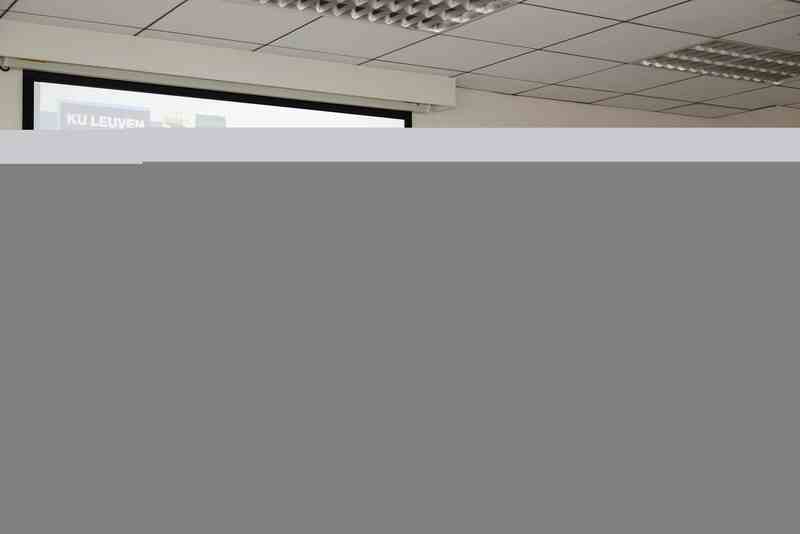 Research Fellow Wen-Xiao ZHAO from CAS delivered inspiring speeches during the workshop. This workshop is supported by IEEE Control System Society (Beijing Chapter), Beijing National Research Center for Information Science and Technology and Department of Automation, Tsinghua University. 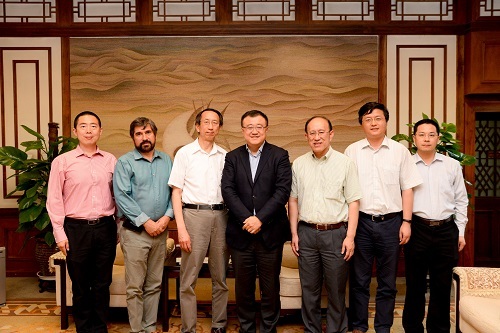 On May 15, Professor Bin Yang, Vice President of Tsinghua University, met with members of Yu-Chi Ho Chair Professor Group and Center for Intelligent and Networked Systems (CFINS) in the West Hall of Tsinghua Garden. 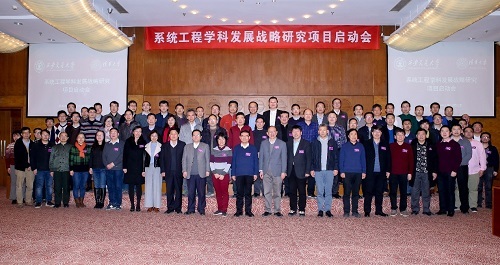 The participants were Professor Jie Zhou, Head of the Department of Automation, Professor Xiaohong Guan, academician of Chinese Academy of Sciences, Professor Peter B. Luh, Professor Christos Cassandras, Professor Qianchuan Zhao, Director of CFINS and Professor Qing-Shan Jia, Deputy Director of CFINS. Professor Xiaohong Guan reviewed the major activities and key roles of the Chair Professor Group and CFINS in helping the department of Automation and Tsinghua to promote the standard of research and education, and reported that next the Chair Professor Group and CFINS will focus on international doctoral education in the direction of systems engineering and related disciplines by leveraging its unique intellectual and research resources. Professor Xiaohong Guan pointed out that perfecting the Ph.D. training mechanism and adopting the same standards for local and overseas Ph.D. students are the only ways to attract top-notch students from all over the world. 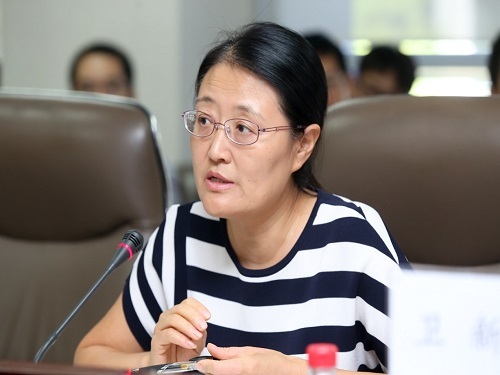 After listening to the report, Professor Bin Yang highly praised Yu-Chi Ho Chair Professor Group for her special contribution to Tsinghua University and academic impact at home and abroad, and fully affirmed the idea of carrying out an internationalized doctoral education reform pilot in the direction of systems engineering. At the same time, he introduced the basic situation of the comprehensive reform of Tsinghua University and put forward some suggestions for promoting the work of international doctoral education. 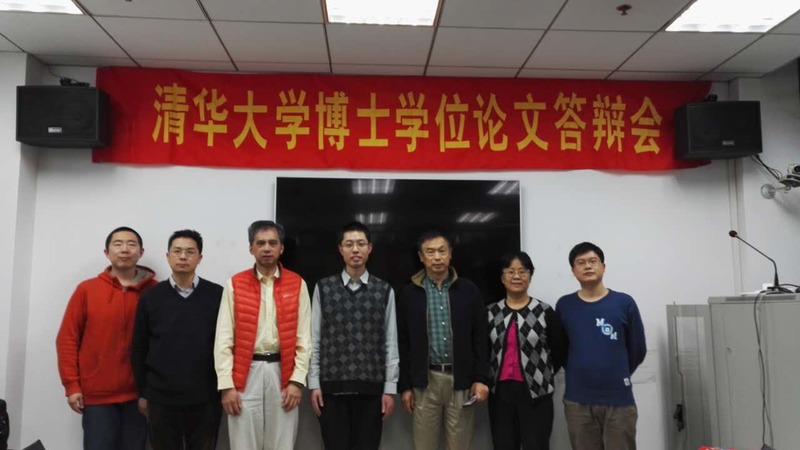 To celebrate that Prof. Xiaohong Guan was elected academician of Chinese Academy of Sciences, CFINS held a symposium on Dec 12, 2017. Prof. Xiaohong Guan and his wife attended the symposium and communicated his life experience with CFINS professors, graduates and students. 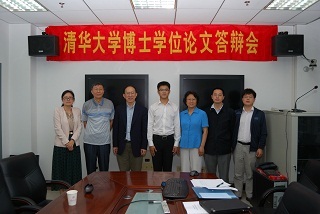 Prof. Xian-Ping Guo form Sun Yat-sen University and Prof. Quan-Lin Li from Yanshan University visited CFINS for academic communication. Prof. Xian-Ping Guo introduced the problem of probability criterion for zero-sum game. Inception conference of "Platform Technology For Noval Intelligent Building System“ was held on Sep 12th, 2017. Prof. Qianchuan Zhao of Tsinghua university chaired the conference. Staffs from 5 universities, 3 research institutions and 14high-tech enterprises attend the conference. 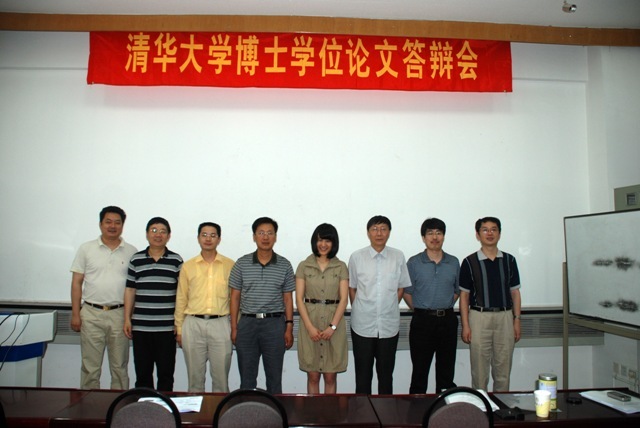 Prof. Yu-Chi Ho of Tisnghua Yu-Chi Ho chair professor group was invited to participate. A symposium was held in CFINS on September 4th, 2017. 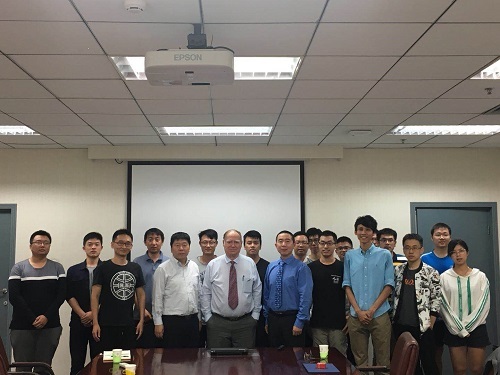 Prof. Yu-Chi Ho and many graduate students of CFINS attended it, in which Prof. Yu-Chi Ho answered students' questions about life planning and scientific research. Students benefited from the valuable advices given by Prof. Ho. 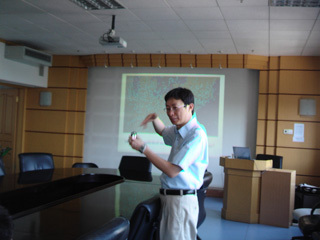 Prof. Yu-Chi Ho arrived at Tsinghua University on Augest 27th, and will be at CFINS for about two weeks. 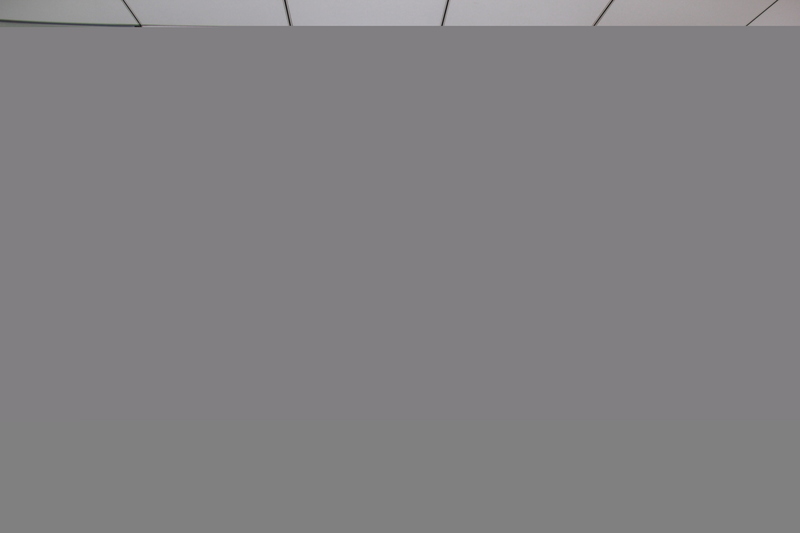 His office is FIT 3-612. If you want to talk to him, please let him know. The best way is to set up a time via email. Prof. Nickolas Bambos visited CFINS on July 24, 2017. Prof. Nickolas Bambos had an in-depth discuss with professors and students in CFINS, and exchanged views about scientific research and cooperation. Accompanied by A.Prof Li Xia, Prof. Nickolas Bambos visited the campus and Platform of Buiding Energy Efficiency. 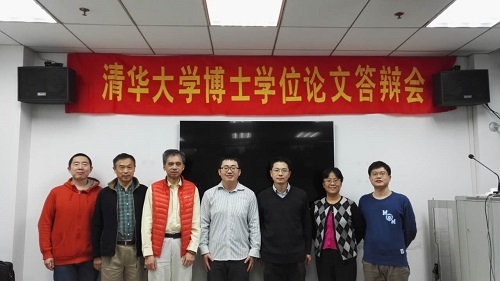 Prof. Jian Chen in Department of Management Science and Engineering, Tsinghua University, Prof. Qianchuan Zhao in CFINS, Prof. Quanlin Li in Yanshan University, Prof. Jie Song in Peking University, and Prof. Siping Liu in Beijing Jiaotong University attended the meeting. Nick Bambos is a Professor at Stanford University, having a joint appointment in the Department of Electrical Engineering and the Department of Management Science & Engineering. He is the Chair of the Department of Management Science & Engineering. He also heads the Network Architecture and Performance Engineering research group at Stanford, conducting research in wireless network architectures, the Internet infrastructure, packet switching, network management and information service engineering, engaged in various projects of his Network Architecture Laboratory (NetLab). His current technology research interests include high-performance networking, autonomic computing, and service engineering. His methodological interests are in network control, online task scheduling, queueing systems and stochastic processing networks. Prof. Peter B Luh was elected by IEEE Technical Activities Board (TAB) to be the Chair of IEEE TAB Periodicals Committee for 2018-19. The TAB Periodicals Committee is a policy and operational procedure formulating body. The Committee has oversight responsibility for all matters relating to Society/Council (S/C) and other TAB entity periodicals. 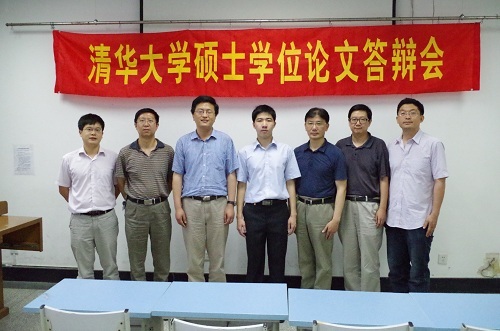 JinLong Wang and Qun Shi defended ph.d. thesis. 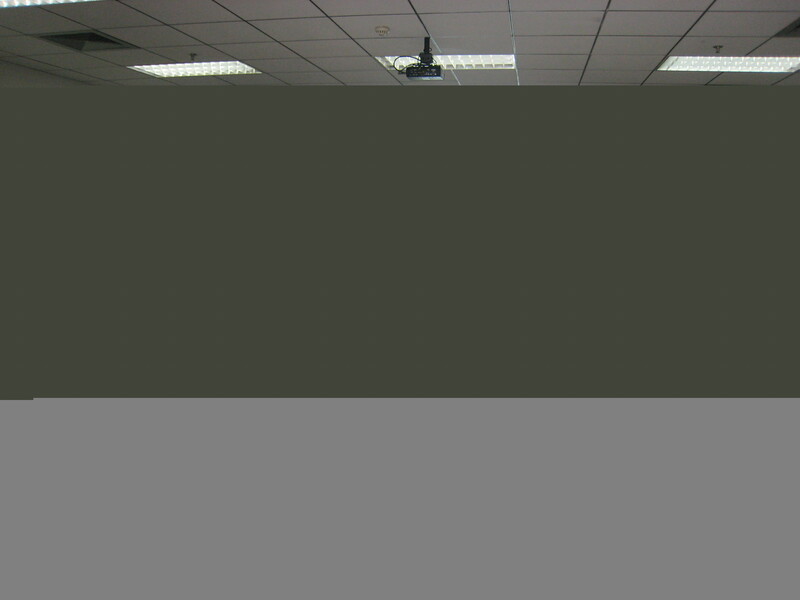 Bocheng Li, Sha Chen and Zhuo Yang defended master thesis. 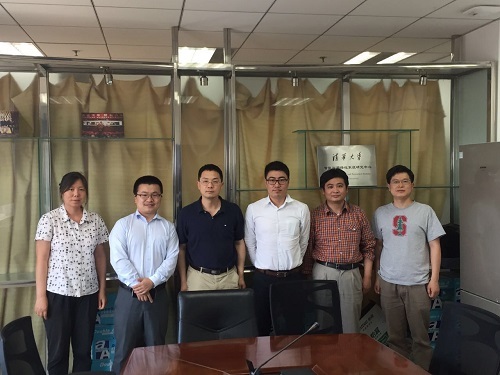 Dr. Dong Lin, Mr. Wang Zhenguo and Mr. Lei Jinsheng, specialists from ZPMC visited CFINS. 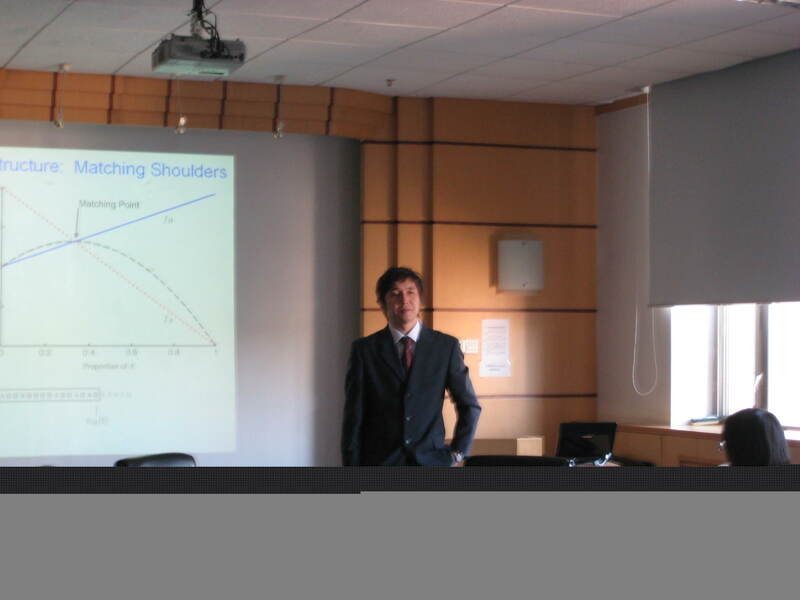 YuanMing Zhang defended ph.d. thesis. Invited by the Editor In Chief of J-DEDS, Prof. Stephane Lafortune, Associate Professor Li Xia is appointed as an Associate Editor of J-DEDS. The appointment is effective since 1st Jan, 2017. J-DEDS(Journal of Discrete Event Dynamic Systems: Theory and Applications) is an authoritative journal in the field of discrete event dynamic systems. ZhiJin Cheng, Yuan Gao, and YangYang Xie defended ph.d. thesis. Prof. Xian-Ping Guo introduced the risk probability criterion for continuous-time Markov decision processes. Prof. Quan-Lin Li introduced the evolutionary game in queuing system. 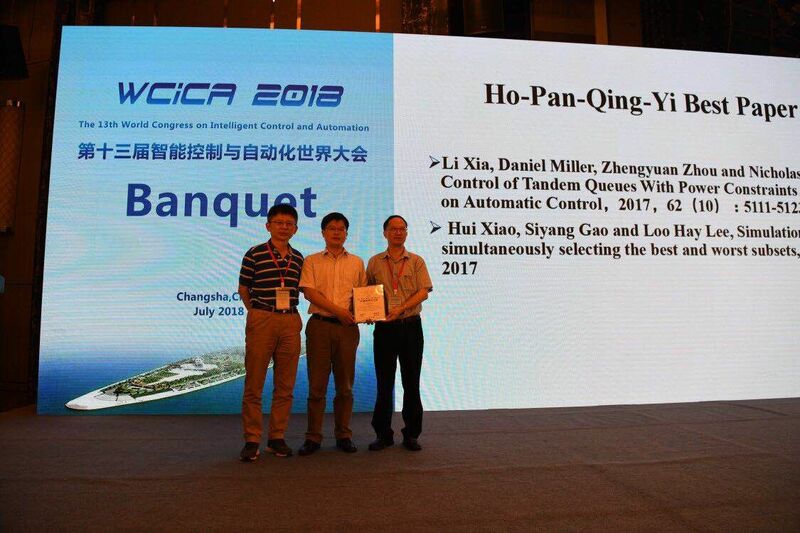 The 2016 "HoPanChingYi" Best Paper Award was announced in the WCICA held in Guilin, China, June 15, 2016. The awardee is: Yonghui Huang, Zhongfei Li, Xianping Guo, “Constrained optimality for finite horizon semi-Markov decision processes in Polish spaces," Operations Research Letters, Vol. 42, No.2, pp. 123-129, 2014. The award evaluation committee chair, Prof. Xiaohong Guan announced and presented the award certificate to the awardee Dr. Yonghui Huang. 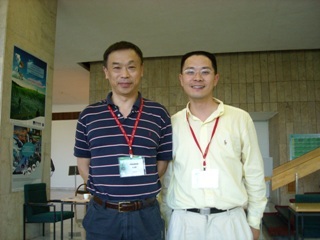 The "HoPanChingYi" Best Paper Award was set up by Prof. Yu-Chi Ho in 1991. 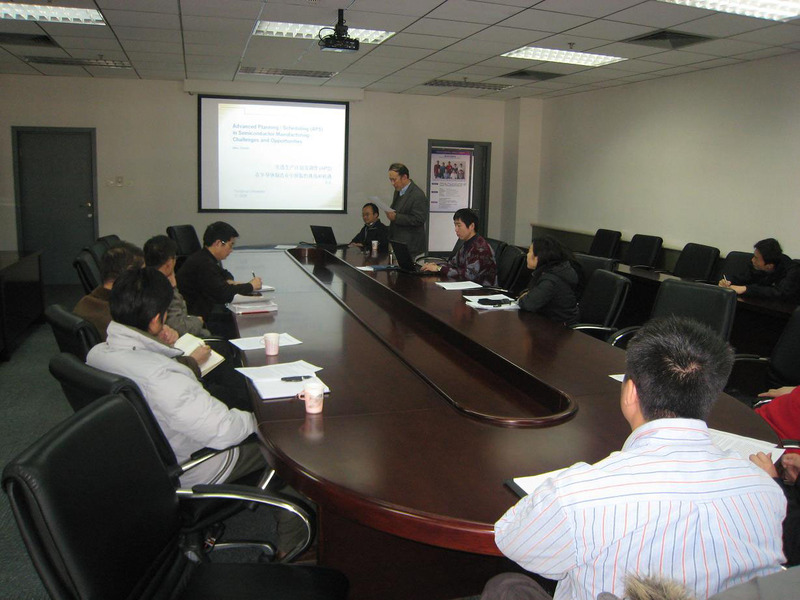 The purpose is to promote the research work in the field of discrete event dyanmic systems in China. 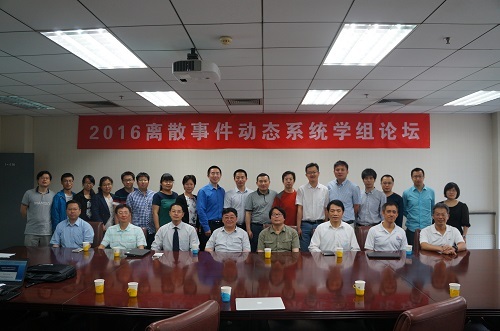 The 2016 Symposium on the Working Group of Discrete Event Dynamic Systems was successfully held at FIT building, Tsinghua University on May 28th, 2016. 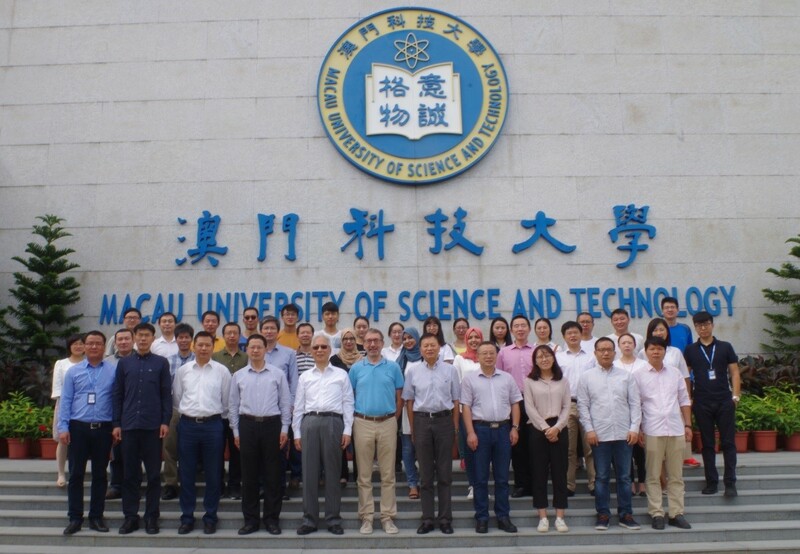 The symposium was organized by the Center for Intelligent and Networked Systems (CFINS), Tsinghua University and intended to build a communication platform for the scholars in the field of Discrete Event Dynamic Systems (DEDS). There were around 30 attendees from US, Singapore, Taiwan and Mainland of China. 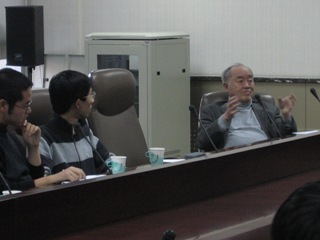 The symposium was hosted by Prof. Li Xia. 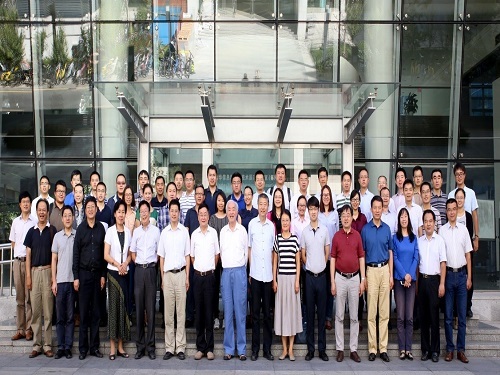 Other CFINS faculties, Prof. Qianchuan Zhao and Qingshan Jia attended the symposium. Prof. Yu-Chi Ho wrote a greeting letter to the working group. The symposium was well scheduled and achieved fruitful results. On May 27th, the Workshop on Simulation Optimization is successfully held in Room1-415 FIT building. The workshop is mainly co-organized and co-scheduled by Associate Professor Qing-Shan Jia from the Center for Intelligent and Networked Systems, Tsinghua University and Associate Prof. Loo Hay Lee of National Singapore. In the workshop, more than 50 scholars and students are present, including Tsinghua University, Peking University, Shanghai University, Northeastern University etc. At the beginning of the workshop, Prof Loo Hay Lee gives an opening remark and briefly introduces the theme of the workshop. Several scholars and research groups give an academic report around the theory development and applications of simulation optimization. The worship is mainly divided into three sessions, namely multi-objective simulation optimization, simulation allocation rules and applications and Practices. In each session, several scholars and research groups give a presentation. 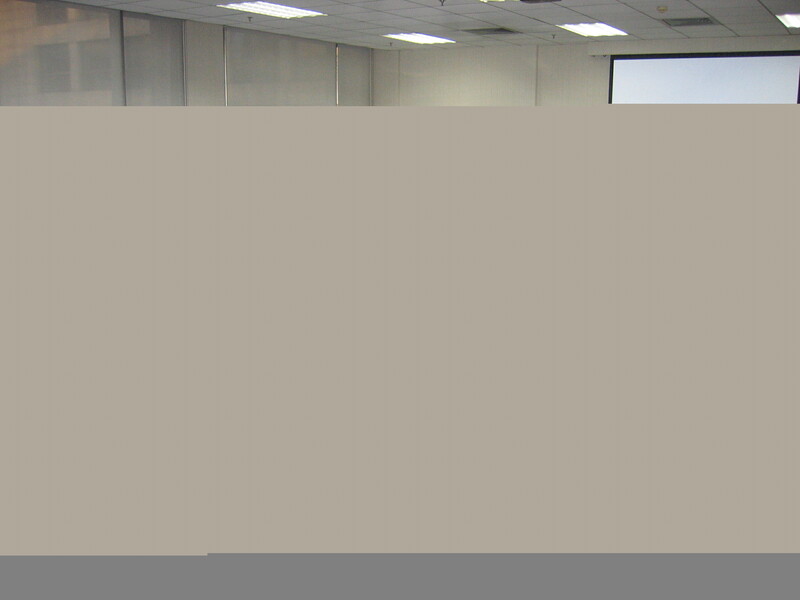 For instance, Dr. Jorge Leon from Texas A&M University gives a talk on robust Pareto set reduction methodology: theory and applications. 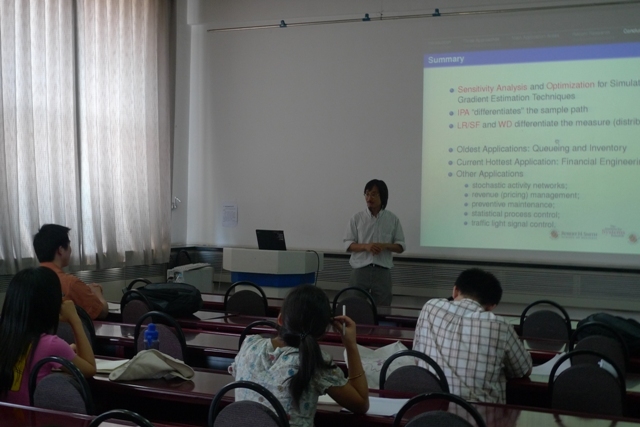 Moreover, Dr. Weizhi Liu gives an academic report on a partition-based random search for stochastic multi-objective discrete optimization via simulation. 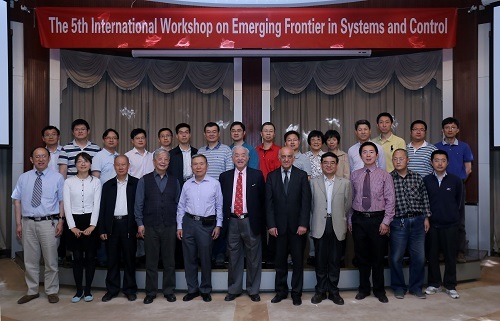 The 2016 International Workshop on Emerging Frontiers in Systems and Control was successfully held at FIT building, Tsinghua University on May 27th, 2016. 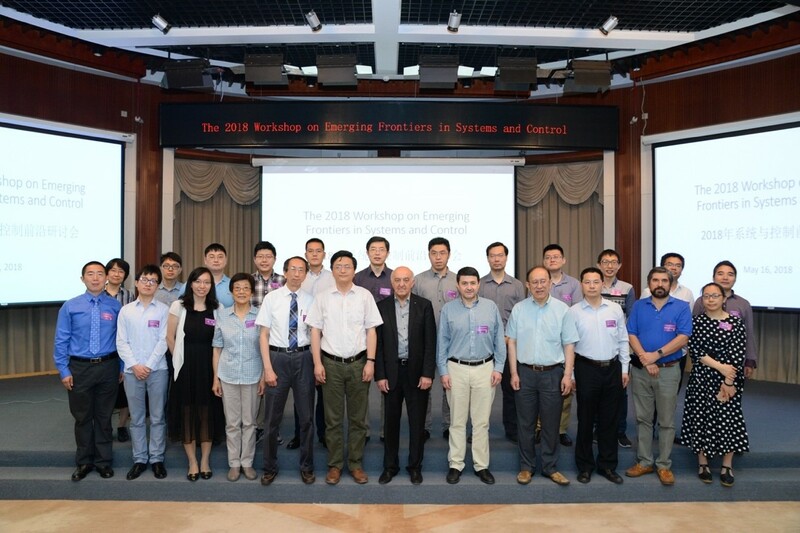 The workshop was organized by the Center for Intelligent and Networked Systems (CFINS), Tsinghua University and intended to discussion the emerging research topic related to systems and control. 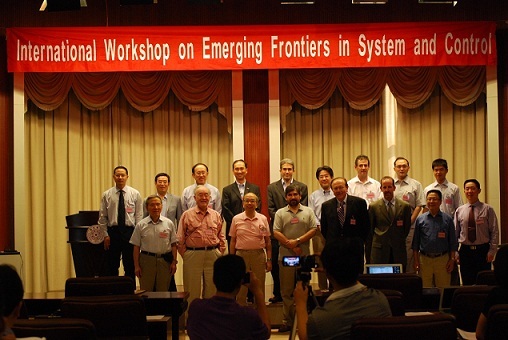 Several experts and scholars from the world’s famous universities attend the workshop, including Prof. Christos G. Cassandras, who is the distinguished professor of Engineering at Boston University and is also the chair professor of CFINS, Prof. Edwin K. P. Chong of Mathematics at Colorado State University, Associate Prof. Lee Loo Hay from National University of Singapore, Assistant Prof. Kai Sun from the University of Tennessee, Knoxville, Prof. Michael Fu from the Robert H. Smith School of Business. Additionally, a large number of young scholars and graduate students from Tsinghua University, Peking University, Sun Yat-sen University, Shanghai University, etc. are present in the workshop. 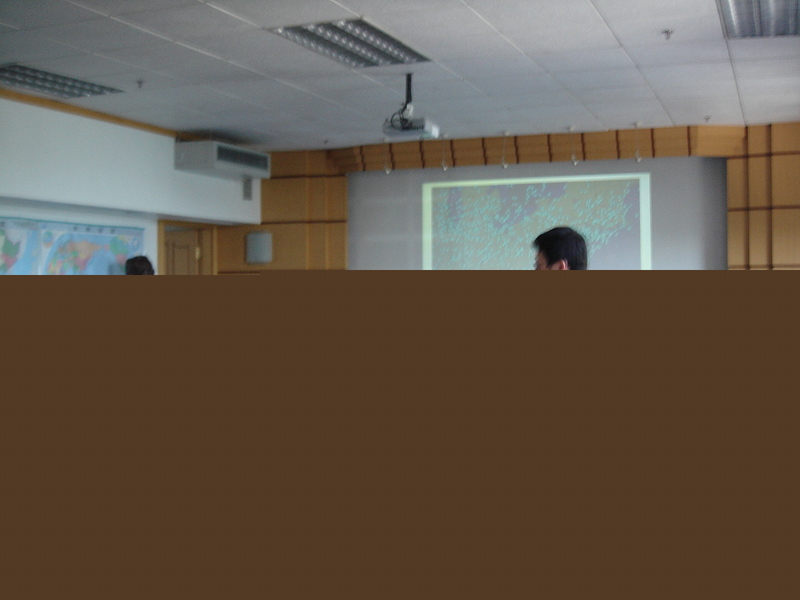 At the beginning of the workshop, the Associate Prof. Qing-Shan Jia gives an opening remark. Several experts and scholars give an academic report in the workshop. Prof. Cassandras give a presentation on event-driven and data-driven control and optimization, mainly introduces the two new directions of event-driven and data-driven in the evolution of systems and control theory. Prof. Edwin K. P. Chong gives a talk on submodular optimization and greedy policies. Prof. Lee Loo Hay gives a report about the latest research development in simulation optimization. Prof. Sun Kai gives an academic report about the hot issue on the security of power system—faster-than-real-time controlling and recent research progress. Moreover, Prof. Michael Fu gives an academic report about the stochastic estimation techniques in stochastic simulation. Prof. Qing-Shan Jia gives a talk on the coordination of EV charging load with renewable energy in a micro grid of buildings. The workshop was well scheduled and successfully held, attracting a large number of faculty members and graduate students to have an academic communication. 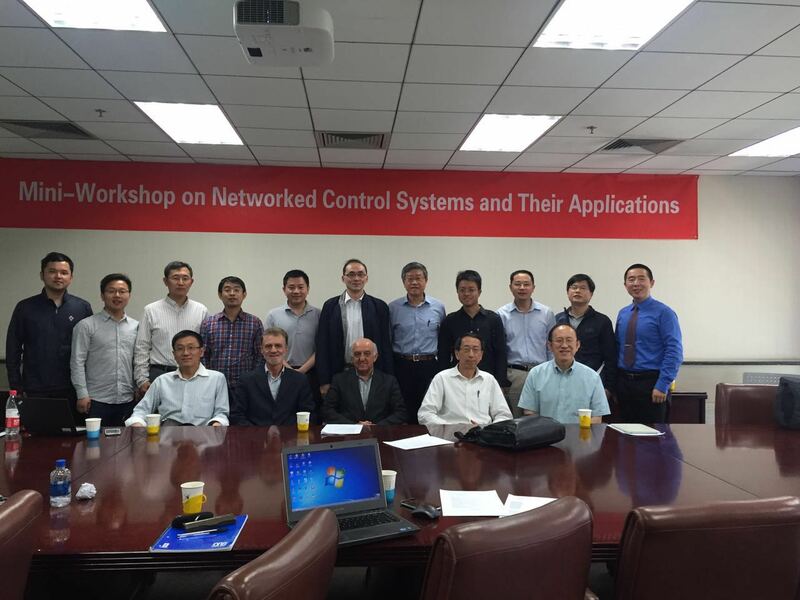 On May 13, 2016, a mini-workshop on networked control systems and their application is successfully held in 1-415, FIT building, Tsinghua University. Many experts and scholars from several famous universities, including Tsinghua University, Peking University, University of Illinois at Urbana-Champaign, Chinese Academic of Science, Politecnico di Torino, attended the workshop. Prof. Peter B. Luh and Tamer Basar, two chair professors of the Center for the Intelligent and Networked system (CFINS), Tsinghua University, Prof. Han-Fu Chen, the academician from Chinese Academy of Science were also present in the workshop. 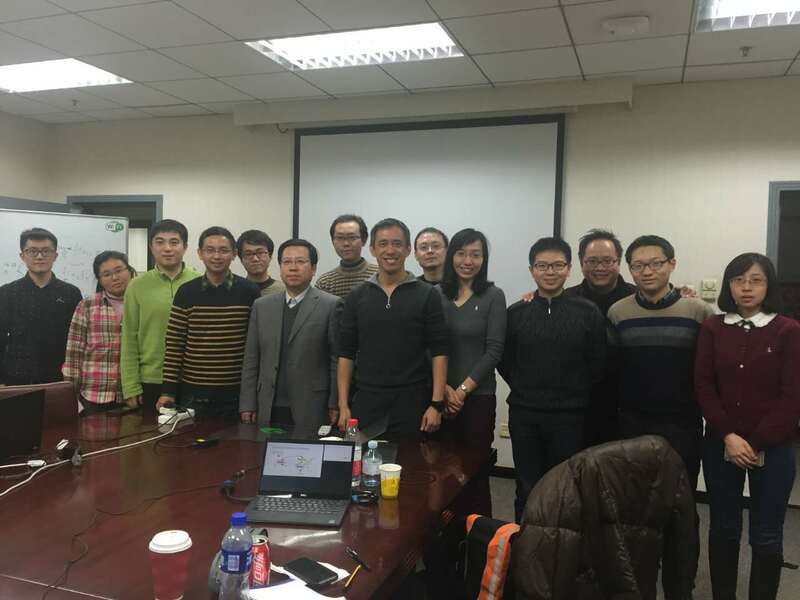 The whole workshop lasted for three hours and was co-hosted by assistant Prof. Keyou You from the Department of Automation, Tsinghua University, and Associate Prof. Qing-shan Jia from CFINS, Tsinghua University. In the workshop, several experts and scholars gave an academic report. 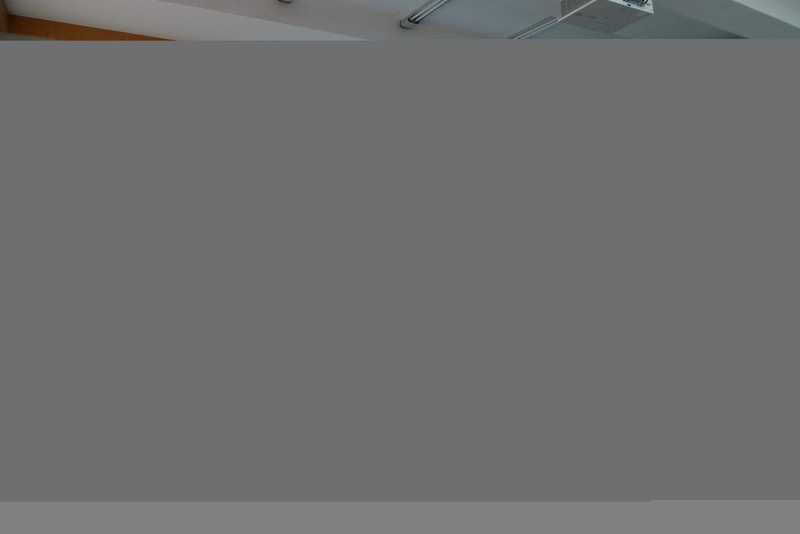 At the beginning of the workshop, Prof. Tamer Basar gave a presentation on strategic information transmission. Prof. Roberto Tempo from Politecnico di Torino, Italy, gave a presentation on social networks analysis: consensus or disagreement. Prof. Yiguang Hong from Chinese Academy of Science also gave a speech on distributed optimization of continuous-time multi-agent systems. Prof. Zhisheng Duan from Peking University introduced their research work on synchronization of complex networks and consensus of multi-agent system. Moreover, Prof. Qing-shan Jia gave a presentation on controlling the Internet of things-from energy saving to fast evacuation in smart buildings. At the end of the workshop, Prof. Keyou You gave a report on minimum feedback information for networked control of estimation. 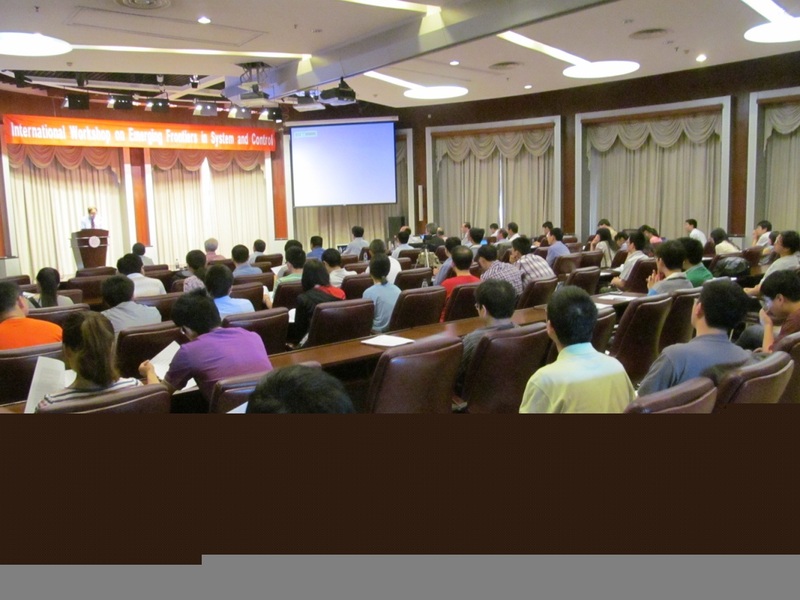 From 9AM to 5PM, Jan. 4 and 5, 2016, a symposium on Simulation Optimization was held at Room 1-415, FIT Building of Tsinghua University. 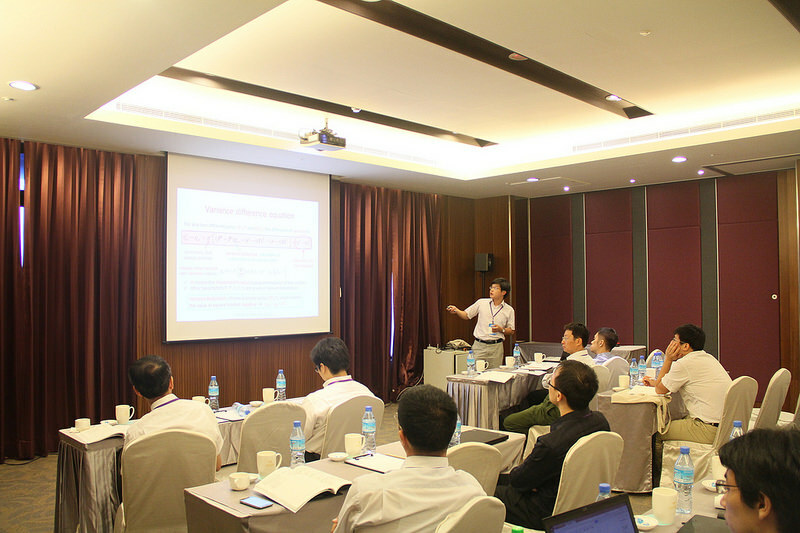 The symposium was organized by Prof. Qing-Shan Jia from Center for Intelligent and Networked Systems of Tsinghua University and Prof. Loo Hay Lee from National University of Singapore. Many young scholars and graduate students from various universities, including Tsinghua University, National University of Singapore, Peking University, Northeastern University, Southwestern University of Finance and Economics and City University of Hong Kong, participated in this symposium. This symposium was co-hosted by Prof. Lee and Prof. Jia. Prof. Lee introduced the main topics and purposes at the beginning of the symposium. He also gave an academic talk about the potential research issues and valuable future research directions on Simulation Optimization. In addition, Dr. Haobing Li, Prof. Jia, Prof. Lixin Tang and Dr. Jie Song also reported their research work on this symposium. Dr. Li introduced the details of the establishment of the simulation platform of DEDS. Prof. Jia introduced the optimization problems correponding to building energy saving and evacuation in Cyber-Physical Systems. 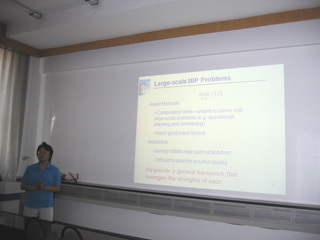 Dr. Song gave a talk on the applications of simulation optimization in solving health care problems. This two-day symposium gathered many young researchers from various institutions and provided an academic communication for the young researchers and graduate students. 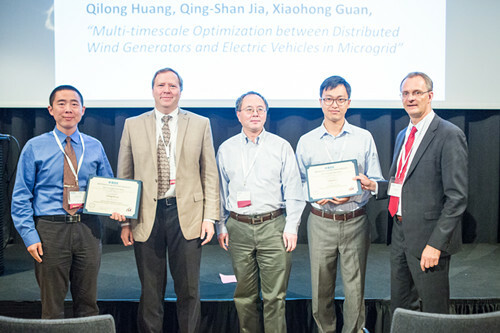 CFINS student and faculty members got the Best Paper Award "Multi-timescale Optimization between Distributed Wind Generators and Electric Vehicles in Microgrid" by Qilong Huang, Prof. Qing-Shan Jia, and Prof. Xiaohong Guan at IEEE CASE 2015, from August 24 to August 28, Gothenburg, Sweden. The paper introduces the multi-timescale optimization between uncertain wind energy and EV charging load. 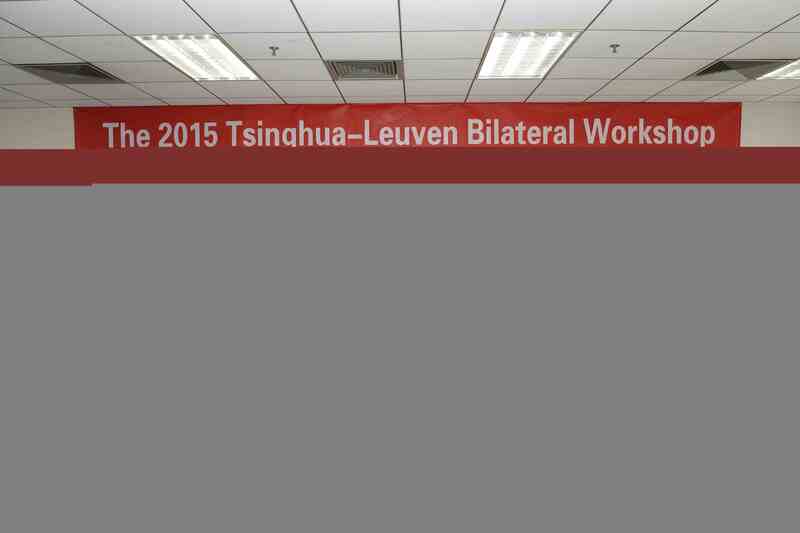 The 2015 Tsinghua - Leuven Bilateral Workshop is successfully held at FIT building, Tsinghua University on May 21th, 2015. This workshop is organized by Center for Intelligent and Networked Systems (CFINS) and intends to discuss the research topics in the large scale networked systems with applications to smart grids. Associate Professor Qing-shan Jia gave the opening remark. 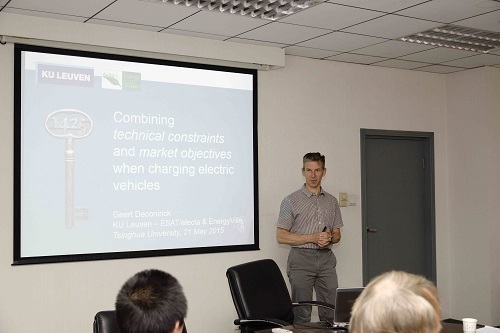 Professor Geert Deconinck (University of Leuven, Belgium) gave the talk on “Electric vehicle charging: matching market objectives and technical constraints”. 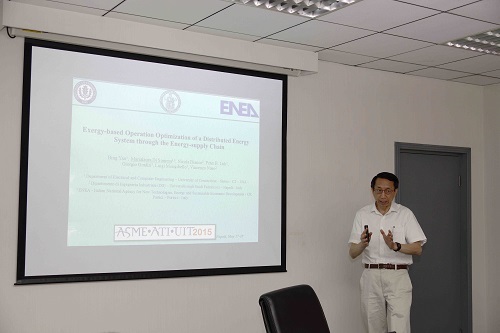 Professor Peter B. Luh (CFINS, Tsinghua University) gave the talk on “Exergy-based operation optimization of a distributed energy system through the energy-supply chain”. 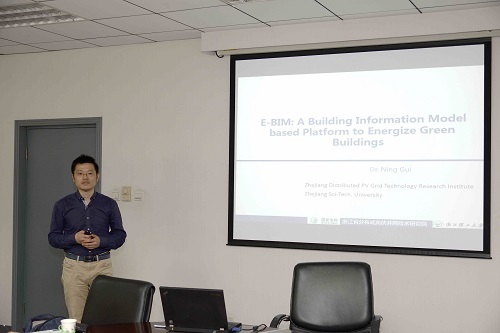 Lecturer Ling Gui (Zhejiang Sci-Tech University) gave the talk on “E-BIM: A Building Information Model based Platform to Energize Green Buildings”. 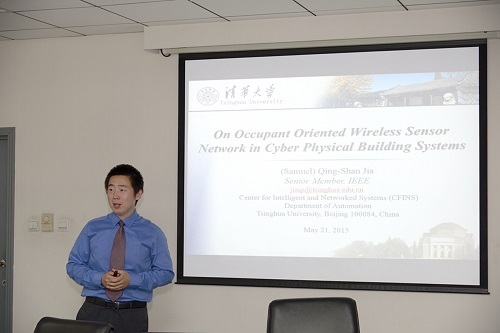 Associate Professor Qingshan Jia (CFINS, Tsinghua University) gave the talk on “On Occupant Oriented Wireless Sensor Network in Cyber Physical Energy Systems” and gave the closing remark. 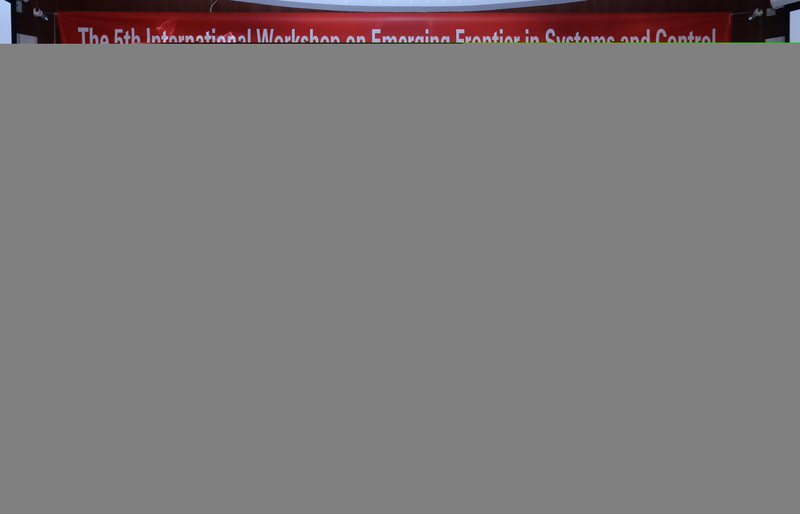 The 5th Workshop on Emerging Frontiers in Systems and Control is successfully held at FIT building, Tsinghua University on May 7th, 2015. This series of workshop is organized by Center for Intelligent and Networked Systems (CFINS) and intends to discuss the emerging research topics in the general field of systems and control. Professor Yu-Chi Ho (the founding chief-scientist of CFINS, member of National Academy of Engineering in the United States, the Chinese Academy of Sciences, and the Chinese Academy of Engineering) gave the opening remark. Prof. Tamer Başar (the chief-scientist of CFINS, professor of University of Illinois at Urbana-Champaign, member of National Academy of Engineering in the United States), Professor Hanfu Chen (professor of Academy of Mathematics and System Science, Chinese Academy of Sciences, member of the Chinese Academy of Sciences), Professor Yanda Li (professor of Tsinghua University, member of the Chinese Academy of Science), Associate Professor Ying Yang (professor of School of Engineering, Peking University), and Prof. Xiaohong Guan (director and chair professor of CFINS) gave the talks. In the panel session, the speakers and Professor Lei Guo (professor of Academy of Mathematics and System Science, Chinese Academy of Sciences, member of the Chinese Academy of Scienes) and Professor Xuegong Zhang (professor of Tsinghua University) addressed interesting questions from the audience. 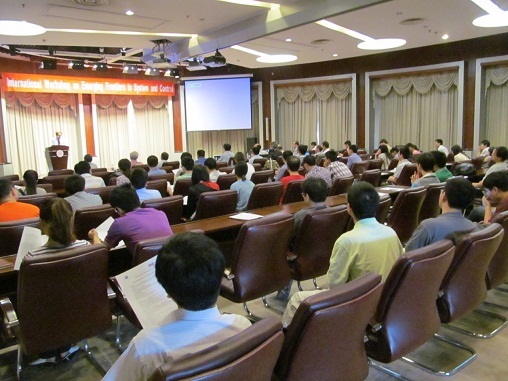 This worshop was attended by around a hundred faculty members and students. Location: Lecture Hall, FIT Building, Tsinghua University (the first building on your left hand when you enter the east gate (the main gate) of the university. 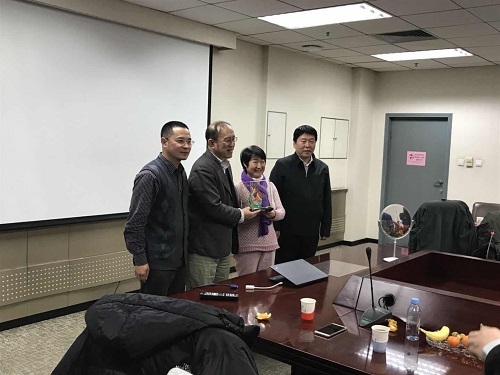 Recently, Tsinghua University renewed the appointment with Yu-Chi Ho Chair Professor Group. Prof. Tamer Başar (academician of US National Academy of Engineering, IEEE Fellow) from the University of Illinois at Urbana-Champaign (UIUC) is appointed as the Co-Chief Scientist of the chair professor group. Prof. Christos G. Cassandras from Boston University (IEEE Fellow) is appointed as a member of the chair professor group. 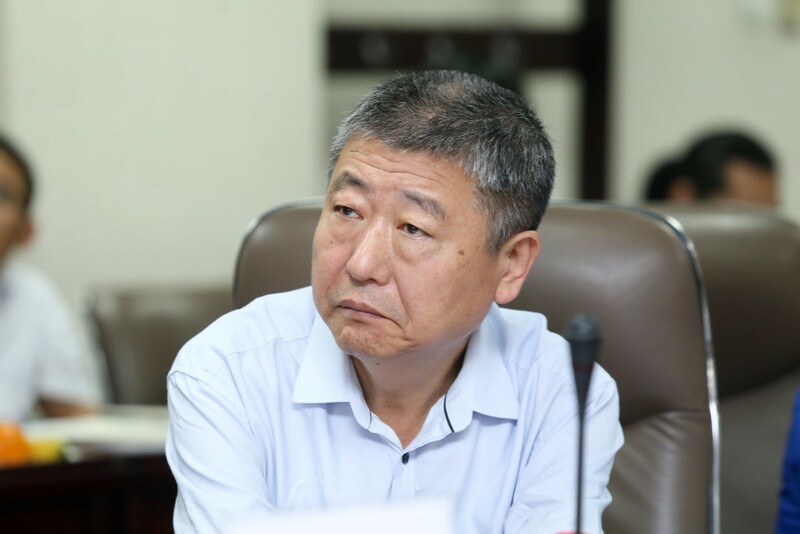 Yu-Chi Ho Chair Professor Group, as the first chair professor group set up by Tsinghua University, is affiliated with the Center for Intelligent and Networked Systems (CFINS), Department of Automation, Tsinghua University, and was launched in 2001. It is also the chair professor group with the longest duration of operation in Tsinghua University, with fruitful achievements. Yu-Chi Ho Chair Professor Group contributed heavily toward building of the control discipline and training of talent for Tsinghua University. The current members of the chair professor group include, Chief Scientists: Prof. Yu-Chi Ho from Harvard University, Prof. Tamer Başar from UIUC; Chair Professors: Prof. Peter B. Luh from University of Connecticut, Prof. Xi-Ren Cao from Hong Kong University of Science and Technology/Shanghai JiaoTong University, Prof. Wei-Bo Gong from University of Massachusetts at Amherst, Prof. Hou-Min Yan from City University of Hong Kong, Prof. Xiao-Hong Guan from Xian JiaoTong University/Tsinghua University, and Prof. Christos G. Cassandras from Boston University. 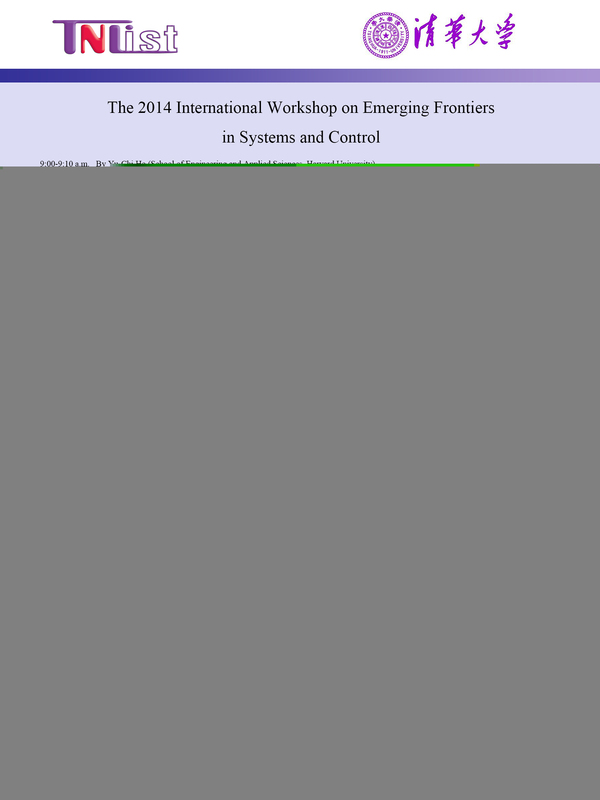 The 2014 International Workshop on Emerging Frontiers in Systems and Control is successfully held at FIT building, Tsinghua University on September 24th. Many experts from home and abroad attend this workshop. Center for Intelligent and Networked Systems (CFINS) of Tsinghua University is responsible for ensuring the seminar works smoothly. Experts who attend the workshop make wonderful reports respectively, emerging frontiers in the field of control and system and future research directions are introduced. Harvard University professor, the academician of American Academy of Engineering, foreign academician of Chinese Academy of Science and Engineering, CFINS chief scientist Mr Yu-Chi Ho gives the welcome speech on the workshop. 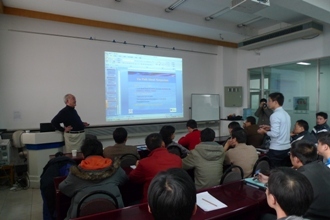 Prof. Qian-Chuan Zhao from CFINS hosts the workshop. Prof. Tamer Basar from the University of Illinois at urbana-champaign, who is also the academician of American Academy of Engineering, Researcher Zhen-Dong Sun from Chinese Academy of Science, Accociate Prof. Jian Yang from the University of Science and Technology of China, Accociate Prof. Qing-Shan Jia from CFINS give out splendid reports. 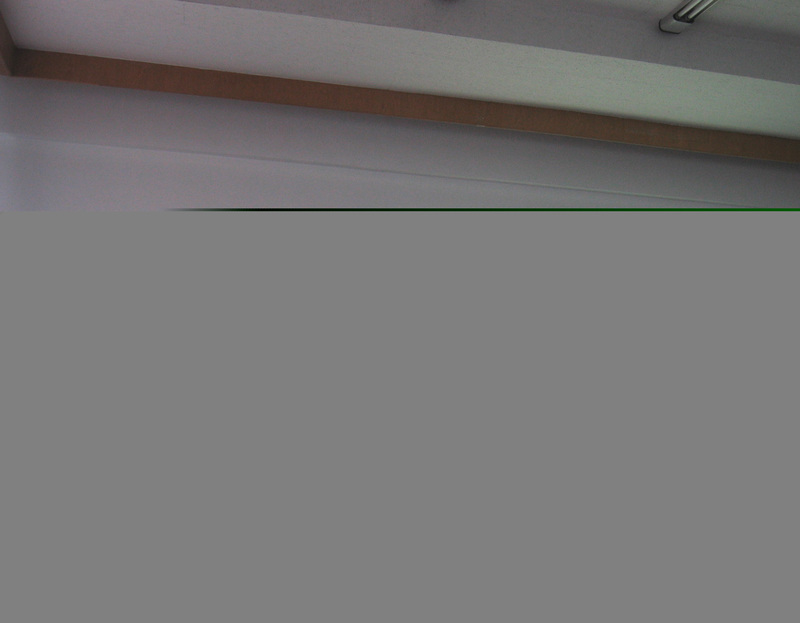 Prof. Xiao-Hong Guan gives the conclusion speech for the workshop. 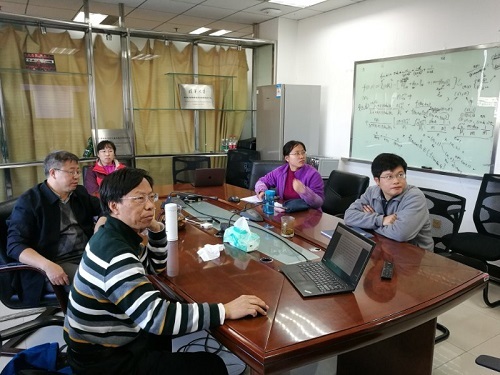 Researcher Ji-Feng Zhang from The System Science Institute of China Science Academy, Prof. Hong-Sheng Xi and Prof. Bao-Qun Yin from University of Science and Technology, Associate Researcher Xi Chen and Associate Prof. Li Xia from CFINS also attend the workshop. There are over 40 students from Beijing Institute of Technology and Tsinghua University attending as well. Prof. Xiren Cao and Prof. Li Xia attended the conference of IEEE International Federation of Automatic Control (IFAC 2014) in Cape Town during August 24-29, 2014. Prof. Xiren Cao gave oral presentation titled "Sensitivity Analysis of Nonliner Performance with Probability Distortion", and Prof. Li Xia gave academic presentations titled "An Iterative Approach to Reduce the Variance of Stochastic Dynamic Systems", respectively. 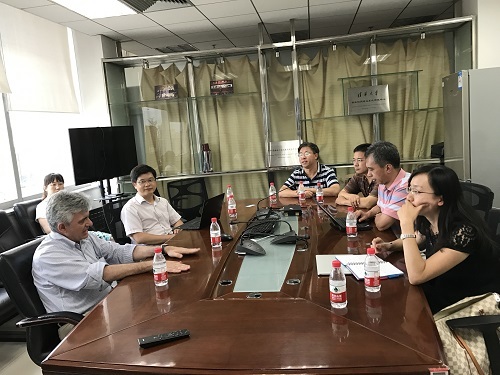 During the conference, they also communicated with Prof. Christos Cassandras from Boston University and Prof. Michael Fu from University of Maryland as well as Associate Professor Zhen Shen from Institute of Automation of Chinese Academy of Science, who is a graduate from CFINS. 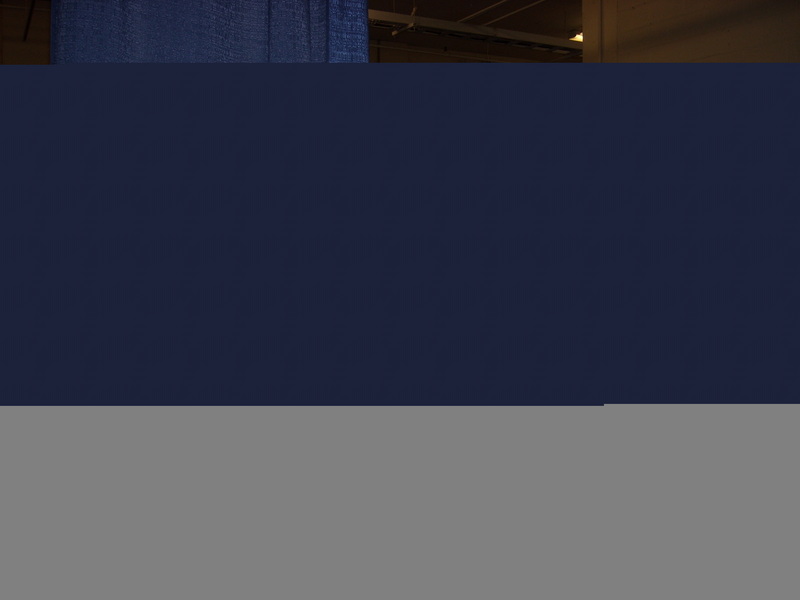 Prof. Peter Luh, Prof. Xiren Cao, Prof. Xiaohong Guan, Prof. Leyuan Shi, Prof. Qianchuan Zhao,Associate Prof. Xi Chen, Prof. Li Xia, and PhD students Zhijin Cheng, Qilong Huang and Master student Zhenning Lang attended the 2014 IEEE International Conference on Automation Science and Engineering (CASE2014) in Taipei during August 18-21, 2014. Prof. Peter Luh, Prof. Xiren Cao, Associate Prof. Xi Chen and Prof. Li Xia gave academic presentations, respectively. In the technical session of the conference, PhD students Zhijin Cheng, Qilong Huang and Master student Zhenning Lang gave oral presentations. 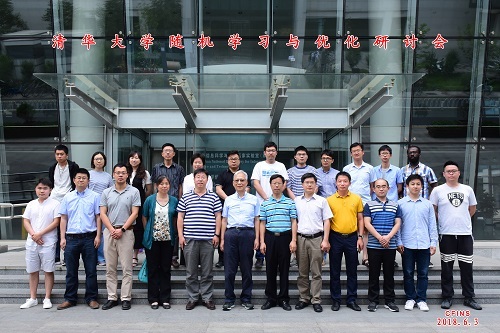 Prof. Xiaohong Guan and Prof. Peter Luh attended the 2014 World Congress on Intelligent Control and Automations (WCICA2014) in Shenyang, China during June 29 to July 2, 2014. 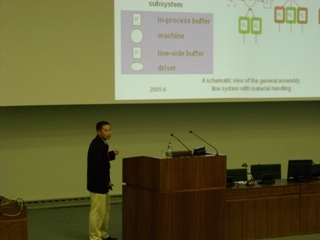 Prof. Guan gave a semi-plenary talk titled "The Security of Cyber Physical Energy Systems ". Prof. Guan and Prof. Luh jointly gave the panel talk titled "How to Publish Papers in International Journals". Prof. Luh attended the discussion titled "New Trends and Innovation in Automation Science and Technology". The faculty of CFINS, Prof. Qianchuan Zhao, Prof. Qing-Shan Jia and Prof. Li Xia also attended this conference. In the past 20 years, the large-scale dynamic programming based on approximation and simulation has become an active area of research. 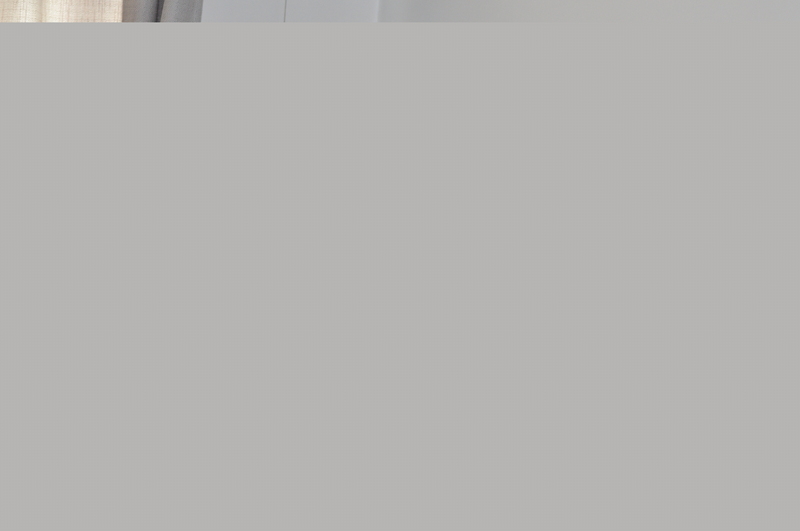 It has different names such as reinforcement learning, neural dynamic programming, and it also learns a lot from the artificial intelligence, optimization, and a large number of achievements in control field. This course mainly introduce the control problem of dynamic systerm under the uncertainty. In the meanwhile, it has a wider scope of application, such as discrete deterministic optimization. Related theories have a wide range of applications including in control theory, operational research, artificial intelligence, and other fields. The course will show out how to use the approximation and simulation to solve the two basic problems of dynamic programming - dimension disaster and modeling. 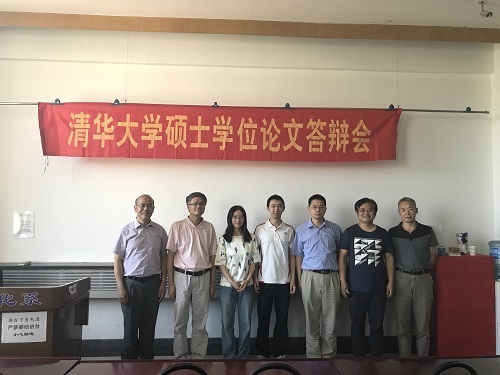 Yulin Lei, Jingyuan Wang and Di Wu defended master thesis. 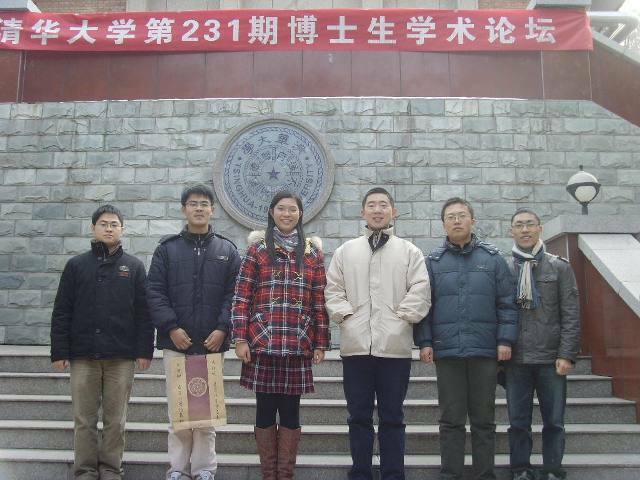 Yin Zhao, Biao Sun, Qiang Li and Hao Liu defended ph.d. thesis. Prof. Qianchuan Zhao and Prof. Li Xia attended the 11th IEEE ICNSC 2014(www.icnsc.org) in Miami, USA, from 7th April to 9th April in 2014. 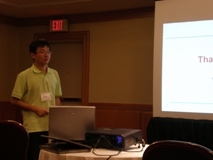 Prof. Zhao gave an oral presentation on "On the Playback Continuity of Mobile Video Streaming Systems over HTTP". Prof. Xia made two oral presentations titled "Statistical Analysis of the Random Failure Model of High-Speed Railway Equipments" and "Local Event-based Sensor Activation for Occupant Distribution Estimation in Buildings". As one of the program co-chair, Prof. Zhao attended the meeting of international committee to discuss the future work of this conference. 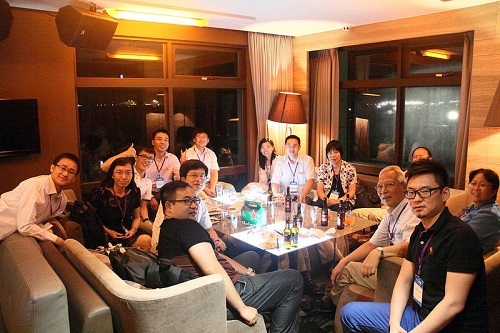 Prof. Yu-Chi Ho, Prof. Peter Luh, Prof. Weibo Gong, Prof. Xiaohong Guan, Prof. Leyuan Shi, Prof. Qingshan Jia, Prof. Li Xia, and PhD students Zhanbo Xu and Zhe Liu attended the 2013 IEEE International Conference on Automation Science and Engineering (CASE2013) in Madison, Wisconsin, USA during August 17-21, 2013. 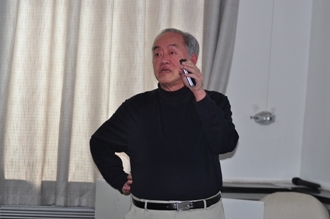 Prof. Ho gave a plenary talk titled "History of Systems Control (1959-2013) Via Personal Anecdotes". 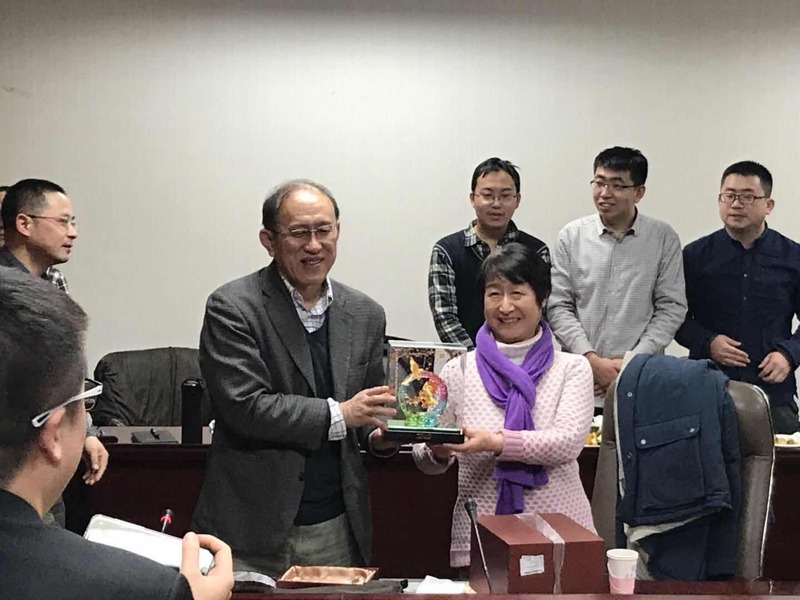 In the conference special workshop dedicated to celebrating Prof.Ho's 80th birthday, Prof. Peter Luh, Prof. Weibo Gong, Prof. Xiaohong Guan, Prof. Leyuan Shi, Prof. Qingshan Jia and Prof. Li Xia gave academic presentations, respectively. In the technical session of the conference, Prof. Li Xia and PhD students Zhanbo Xu, Zhe Liu gave 4 oral presentations about the topic of building energy. Dr. Li Xia attended the 2013 Asian Control Conference in Istanbul, Turkey. 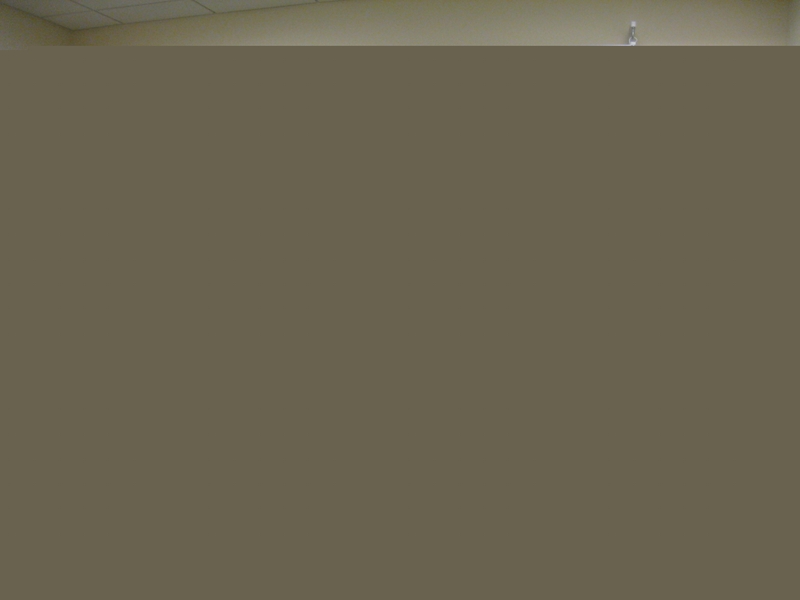 He gave an oral presentation on "Policy Iteration for Parameterized Markov Decision Processes and Its Application". 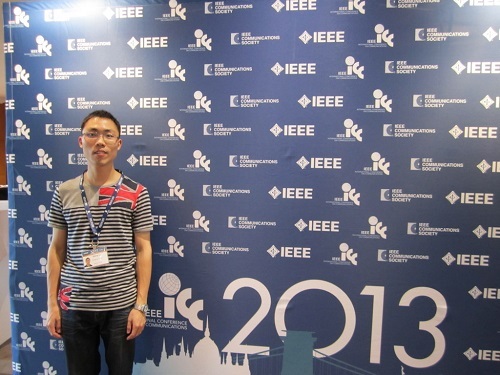 Qiang Li attended the IEEE ICC2013 ( http://www.ieee-icc.org/2013/ ) in Budapest, Hungary, during Jun 9 to Jun 13, 2012. 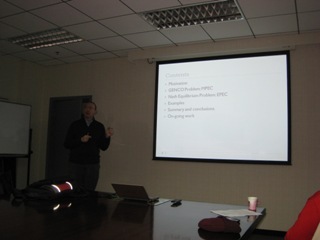 He gave an oral presentation on "An In-depth Measurement and Analysis of Popular Private Tracker Systems in China ". Prof. Xi-Ren Cao, Prof. Qing-Shan Jia and Dr. Li Xia attended the 2013 American Control Conference in Washington on June 17. 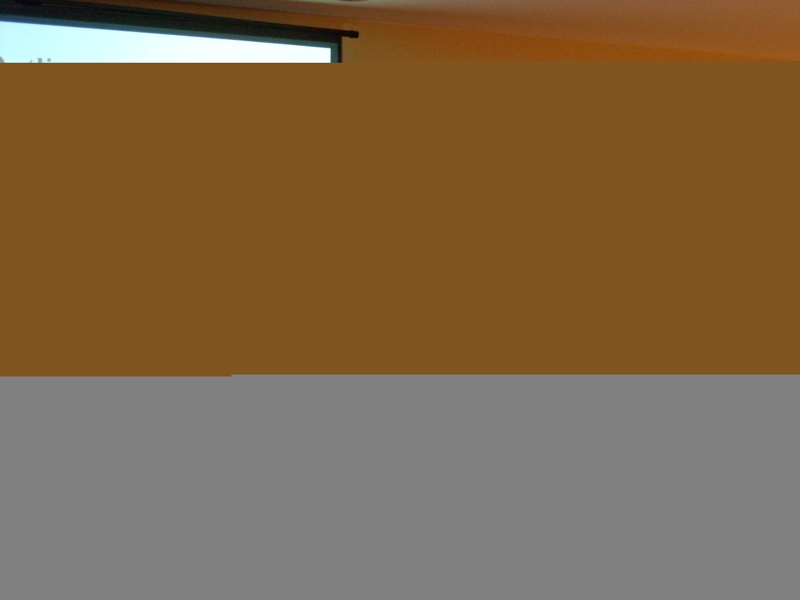 Prof. Xi-Ren Cao gave a plenary talk titled "Event-Based Optimization of Stochastic Systems and Its Applications to Social, Financial, and Engineering Problems". Dr. Li Xia made the oral presentation titled "Decentralized Control of Transmission Rates in Energy-Critical Wireless Networks". Prof. Qianchuan Zhao and Yin Zhao attended IEEE ICCA 2013 (http://www.ieee-icca.org/) in Hangzhou, during June 12th to June 14th, 2013. Yin Zhao gave an oral presentation on "Modeling individualized complaint behavior in daily office environment using a novel one-class, multi-linear classifier". 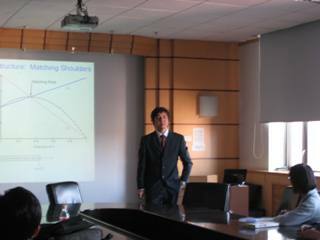 Hengtao Wang defended the final thesis for the ph.d. degree successfully. 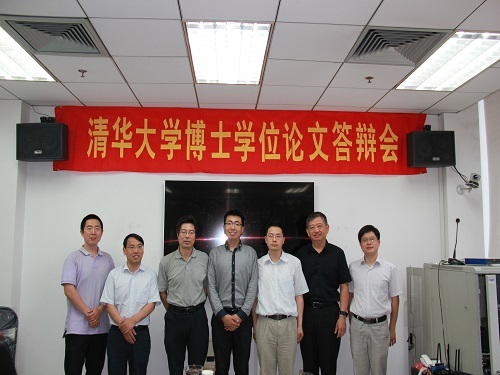 Yonghao Huang defended the final thesis for the ph.d. degree successfully. Prof. Qianchuan Zhao and Cangqi Zhou attended the 10th IEEE ICNSC2013 Conference (www.icnsc2013.org) in France, during April 10th to April 12th, 2013. Cangqi Zhou gave an oral presentation on "An Angle-based Dissimilarity for Accelerating the Clustering of Dynamic Data in Networks". Dannel P. Malloy, governor of Connecticut, has announced a proposal to invest $1.5 billion in the future of Science, Technology, Engineering and Mathematics (STEM) education at Prof. Peter Luh's school, University of Connecticut. 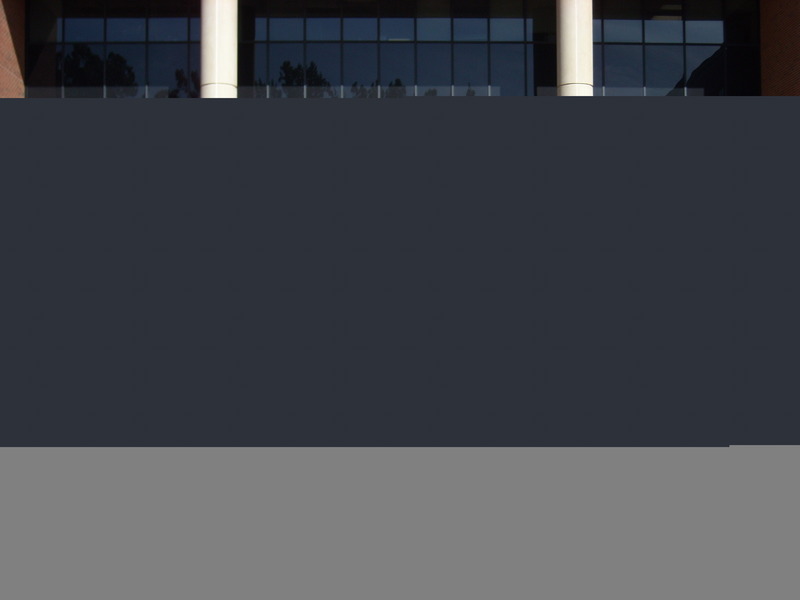 For a more detailed explanation of this proposal, please read UConn Today story. 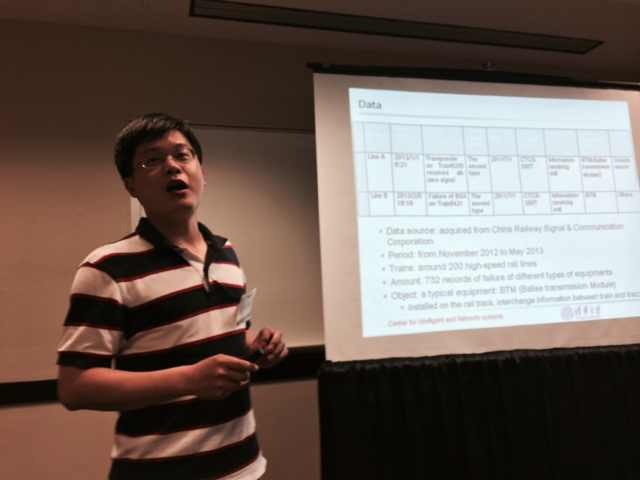 Prof. Xi-Ren Cao, Prof. Weibo Gong, Prof. Xiaohong Guan, Prof. Qing-Shan Jia, and Prof. Li Xia attended the CDC 2012 held in Hawaii, USA during 9th to 13rd, Dec. Prof. Xi-Ren Cao and Prof. Weibo Gong made the oral presentation titled "Analysis of Non-linear Behavior - Beyond Dynamic Programming" and "Stochastic Differential Equations for Power Law Behaviors", respectively. 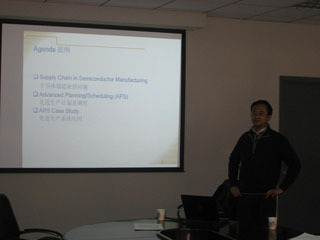 Prof. Qing-Shan Jia reported the annual work summary of technical committee of DEDS in 2012. Qiang Li attended the 18th IEEE ICON2012 (http://www.ieee-icon.org/2012/) in Singapore, during Dec 12 to Dec 14, 2012. He gave an oral presentation on "Empirical Analysis and Comparison of IPv4-IPv6 Traffic: A Case Study on the Campus Network". Prof. Peter Luh, Prof. Leyuan Shi, Prof. Qianchuan Zhao and A Prof. Qingshan Jia attended the IEEE CASE 2012 (http://www.case2012.org/) held in Seoul, Korea. 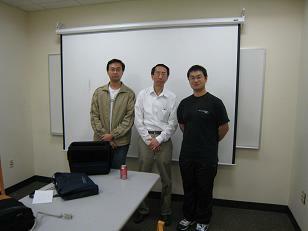 Prof. Shi invited Prof. Zhao and Jia to serve for the preparation of IEEE CASE 2013 (http://www.case2013.org/). 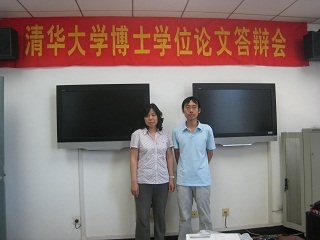 Prof. Zhao and Jia reported the plan for activities of Techniqe Committee on Smart Building of IEEE RAS (http://tab.ieee-ras.org/committeeinfo.php?tcid=41). 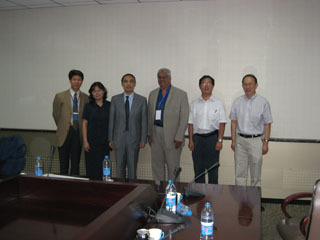 Prof. Xiren Cao, Prof. Weibo Gong and Prof. Qianchuan Zhao attended 2012 CCC (http://ccc.amss.ac.cn/2012/) held in Hefei. 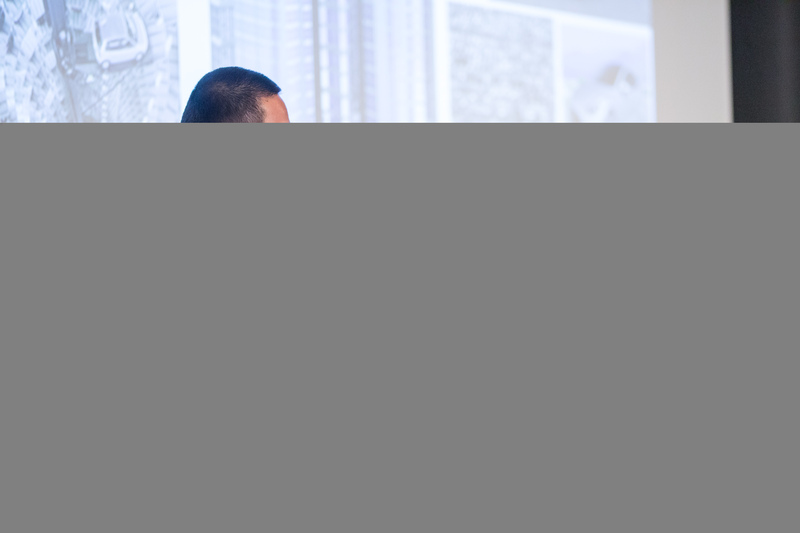 Prof. Cao and Prof. Gong delivered Plenary Lectures Event-Based Optimization and Applications and Can One Hear the Shape of A Concept, respectively. 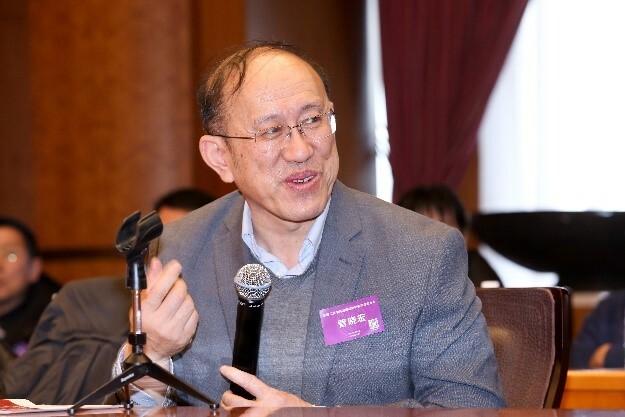 Prof. Zhao served as a PC chair. 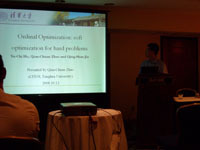 Prof. Zhao and Jia presented their works in oral sessions respectively. 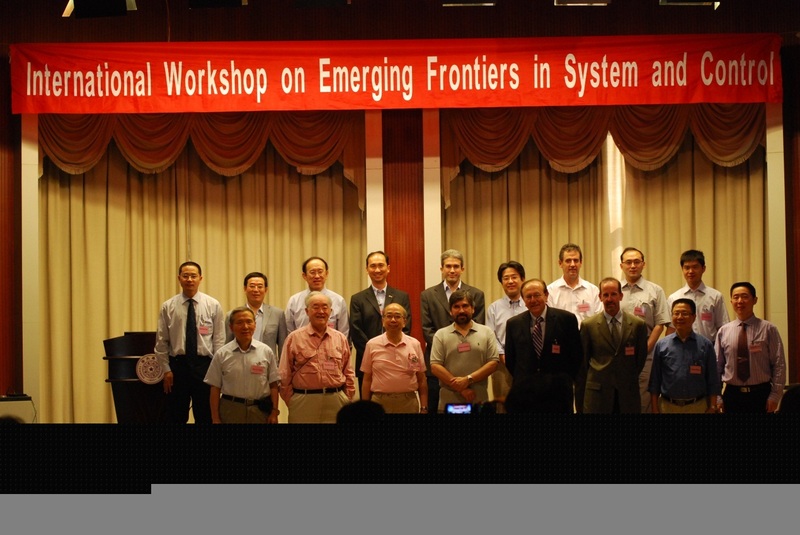 The 2012 International Workshop on Emerging Frontiers in Systems and Control was held in Tsinghua University, Beijing, China, May 18, 2012. The workshop is organized by Center for Intelligent and Networked Systems (CFINS), Tsinghua University, and Institute of Systems Science, Chinese Academy of Sciences, and is sponsored by IEEE Control Systems Society, IEEE Control Systems Society Beijing Chapter, and Tsinghua National Laboratory for Information Science and Technology. Prof. Xiaohong Guan and Prof. Yiguang Hong serve as the general chair and co-chair of this event. Prof. (Samuel) Qing-Shan Jia served as the program chair. Most IEEE CSS Executive Committee members attend the meeting. 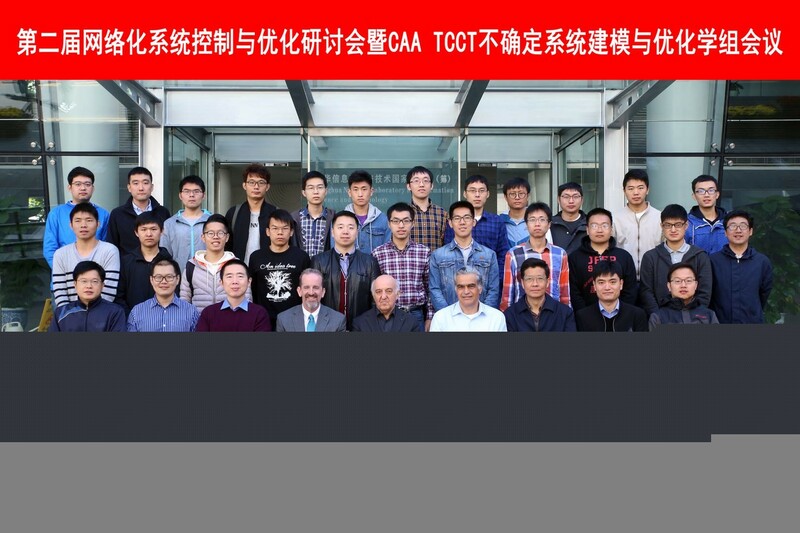 Prof. Francesco Bullo, Prof. Richard Middleton, Prof. Masayuki Fujita, Prof. Francis Doyle, and Prof. Panos Antsaklis from IEEE CSS, Prof. Xiaohong Guan and Prof. Qianchuan Zhao from Tsinghua, and Prof. Daizhan Cheng and Prof. YIguang Hong from CAS are the invited speakers. This workshop covers various hot research topics in the area, including smart grid, cyber-physical system, game, string stability, multi-agent system, network control systems, and smart building. 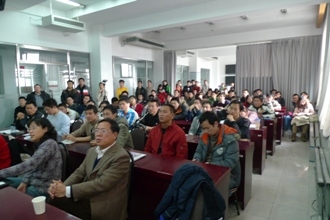 More than a hundred audience from various universities in Beijing and other cities in China attended the workshop. Name list in the back row from left to right: Qianchuan Zhao, Jifeng Zhang, Xiaohong Guan, Edwin KP Chong, Francesco Bullo, Masayuki Fujita, Richard Middleton, Yiguang Hong, and Yanlong Zhao. In the front row from left to right: Hanfu Chen, (Larry) Yu-Chi Ho, Yutaka Yamamoto, Christos G. Cassandras, Panos Antsaklis, Francis Doyle, Daizhan Cheng, and (Samuel) Qing-Shan Jia. Invited by CFINS, Professor Chenyang Lu has visited CFINS recently. Prof. Lu is a Professor of Computer Science and Engineering at Washington University. 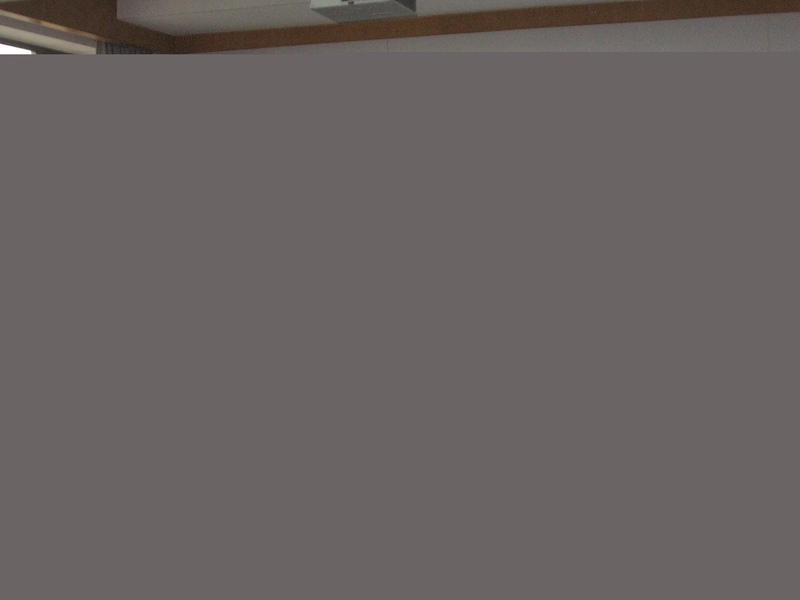 He gave a talk on "Real-Time Scheduling for Wireless Control Networks: a WirelessHART Case Study" at Room 511 Main Building in the morning of 2011.5.25. Audiences from various departments or schools attended the talk, and have a great discussion with Prof. Lu. Invited by CFINS, Dr. Paul Werbos has visited CFINS recently. Dr. Werbos is Program Director for Energy, Power and Adaptive Systems National Science Foundation (www.nsf.gov).He gave a talk on "Strategy to Reach a Truly Intelligent Power Grid" at Room 511 Main Building in the morning of 2011.5.18. Over fifty audiences from various departments or schools attended the talk, and have a great discussion with Dr. Werbos. Prof. Peter Luh, Prof. Xiaohong Guan and Prof. Lang Tong (our 111 international collaboration project member) have also attended the talk. Invited by Professor Xiaohong Guan, Professor Costas J. Spanos has visited CFINS recently. Professor Spanos is the chair of the Electrical Engineering and Computer Science Department of University of California, Berkeley. He gave a talk on "The Self-Optimizing Building" at FIT-1-415 in the afternoon. Over thirty audiences from the Department of Automation and the Department of Electronic Engineering attended the talk, and have a great discussion with Professor Spanos. 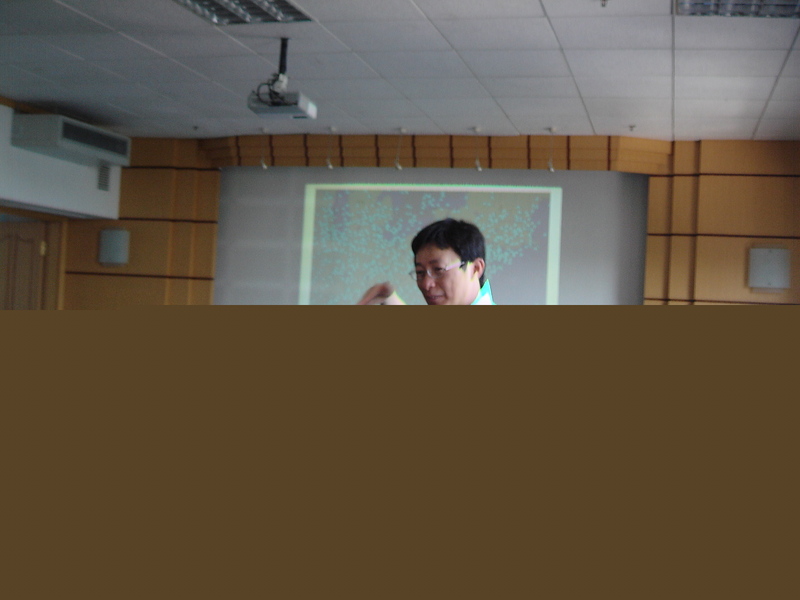 Prof. Qing-Shan Jia has also attended the talk. The funding for the Foundation of Intelligent and Networked Systems in our department, which is led by Prof. Guan, has been extended to another five years in the last year. Prof. Spanos is a member of this project (known as the 111 international collaboration project), and thus will spend more time in Tsinghua in the next five years. On Nov. 26, 2010, the Department of Electronic and Computer Engineering at Hong Kong University of Science and Technology threw a half-day workshop Good, Bad, or Optimal and a great celebration dinner party for Prof. Xi-Ren Cao's retirement at HKUST. 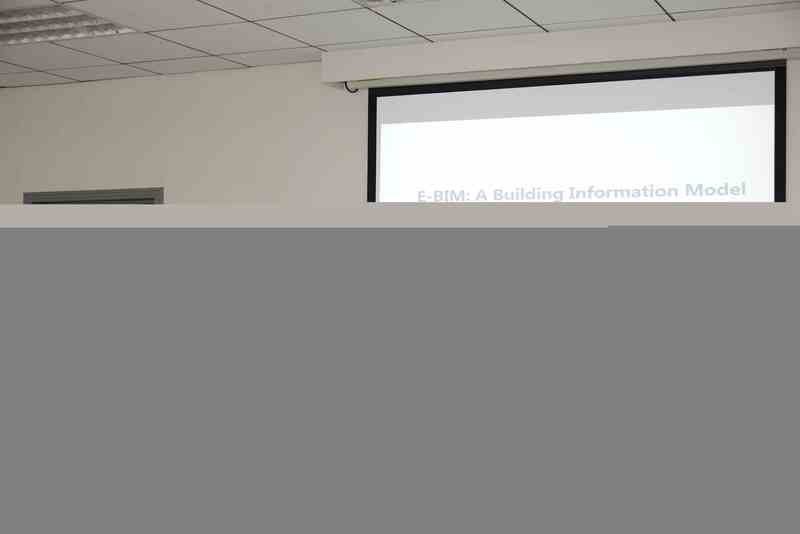 In the half-day workshop, Prof. Guan gave a talk titled Energy Efficient Buildings Facilitated by Smart Grid, which covered some of CFINS's recent progress in building energy saving. 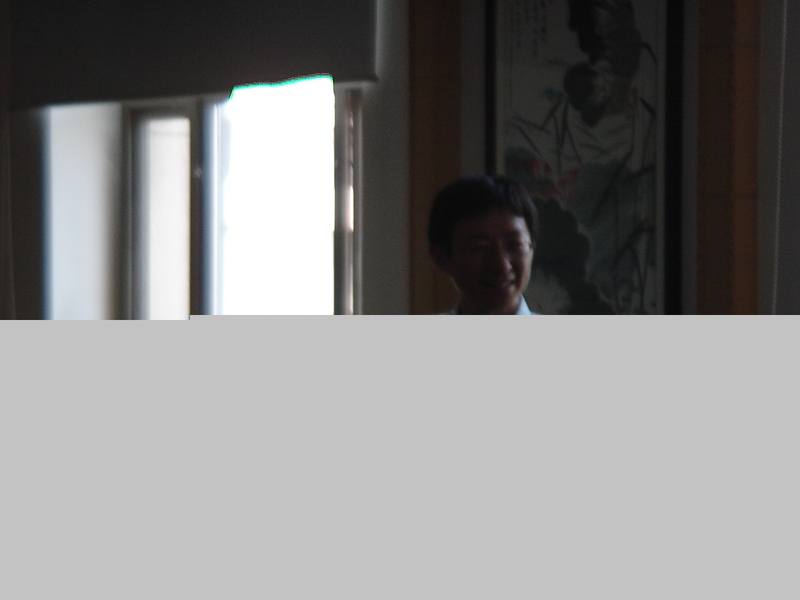 In the dinner party, Prof. Zhao presented a gift to Prof. Cao to thank his contributions to CFINS in the past ten years. Prof. Xi Chen and Dr. Qing-Shan Jia also attended the workshop and the dinner party. Great Congratulations to Prof. Le-Yuan Shi for Her Elevation to IEEE Fellow! 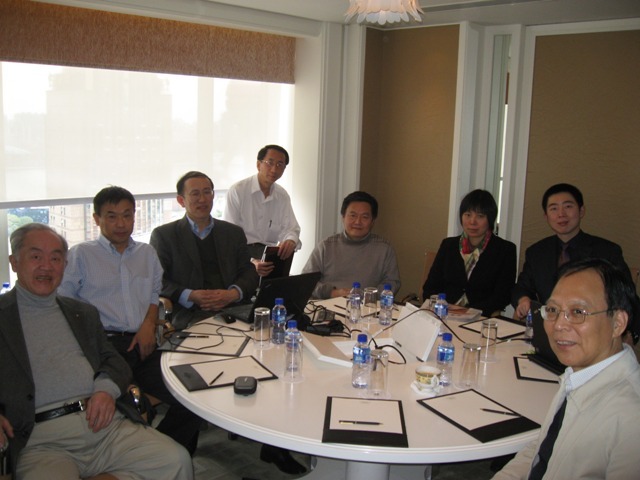 The IEEE Board of Directors, following a rigorous evaluation procedure, at its meeting on November, 2010, elevated Prof. Le-Yuan Shi to IEEE Fellow, effective 1 January 2011, with the citation "for contributions to nested partitions optimization methodology". Our Center won support from Program of Introducing Talents of Discipline to Universities(National 111 International Collaboration Project), which has been jointly organized by Ministry of Education and State Administration of Foreign Experts Affairs. It aims to upgrade the scientific renewal and peers competition of Chinese universities by establishing innovation centers and gathering groups of first-class minds from around the world. 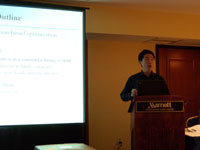 The 6th IEEE Conference on Automation Science and Engineering (CASE) was held during August 21-24, 2010 in Toronto, Canada. Two papers listed following of CFINS were accepted by the conference. 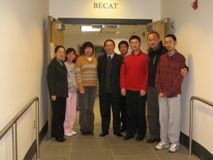 Prof. Xiaohong Guan, Prof. Peter Luh, Prof. Qianchuan Zhao, Prof. Xi Chen, and two CFINS students, Yiping Qi and Biao Sun attended the CASE2010. 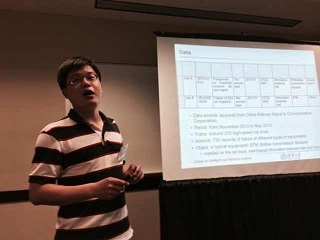 Yiping Qi presented the paper jointly with Prof. Chen Xi. Biao Sun presented the paper jointly with Prof. Peter Luh, Prof. Qing-Shan Jia, Dr. Ziyan Jiang from Department of Building Science (DBS) and Prof. Fulin Wang from DBS, and Dr. Chen Song from UTRC. 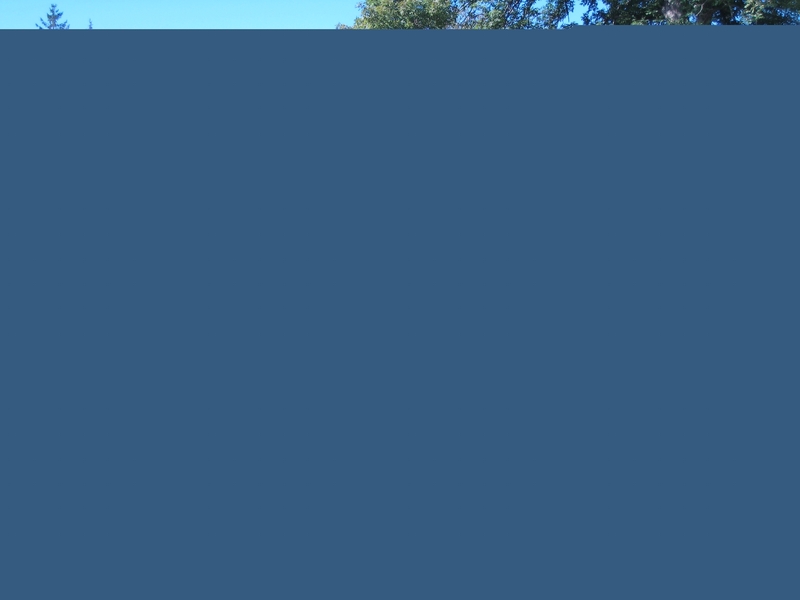 Biao Sun, Peter B. Luh, Fellow, IEEE, Qing-Shan Jia, Member, IEEE, Ziyan Jiang, Fulin Wang, and Chen Song, An Integrated Control of Shading Blinds, Natural Ventilation, and HVAC Systems for Energy Saving and Human Comfort. Yiping Qi and Xi Chen, Stochastic Optimization of Hydro-thermal System with Annual Water Consumption Constraints. 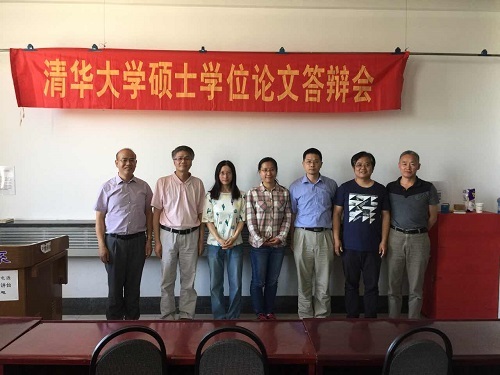 Prof. Qianchuan Zhao received one project from National Sciences Foundation of China (NSFC): Timing analysis and control of networked DEDS, PI Prof. Qianchuan Zhao (Approval No. 61074034, Jan 2011 - Dec 2013) . 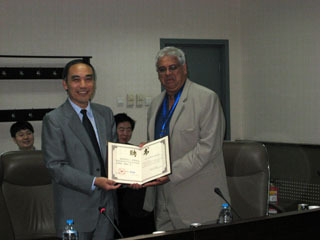 Professor Shankar Sastry, the dean of the Engineering School of UC Berkeley, member of National Academy of Engineering, was awarded the Guest Professorship in Department of Automation, Tsinghua University on July 12, 2010. A ceremony was held in the Tsinghua National Laboratory of Information Science and Technology. 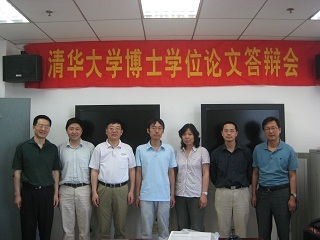 Professor Si Yuan, the vice president of Tsinghua University, Professor Zhisheng Niu, the vice dean of School of Information Science and Technology, Professor Donghua Zhou, the chair of Department of Automation, Professor Zuo Zhang, the departmental committee of the CPC, Professor Xiaohong Guan, the director of Center for Intelligent and Networked Systems (CFINS), Professor Qianchuan Zhao, the vice director of CFINS, and other professors and students of Department of Automation attended this ceremony. Professor Sastry has been working to establish more collaboration between UC Berkeley and Tsinghua. His Guest Professorship in our department lays a good foundation for further collaborations between the two universities in energy saving in buildings, smart power grid, and wireless sensor network, just to name a few, in the near future. Picture 1 (from left to right): Vice President Yuan and Professor Sastry. 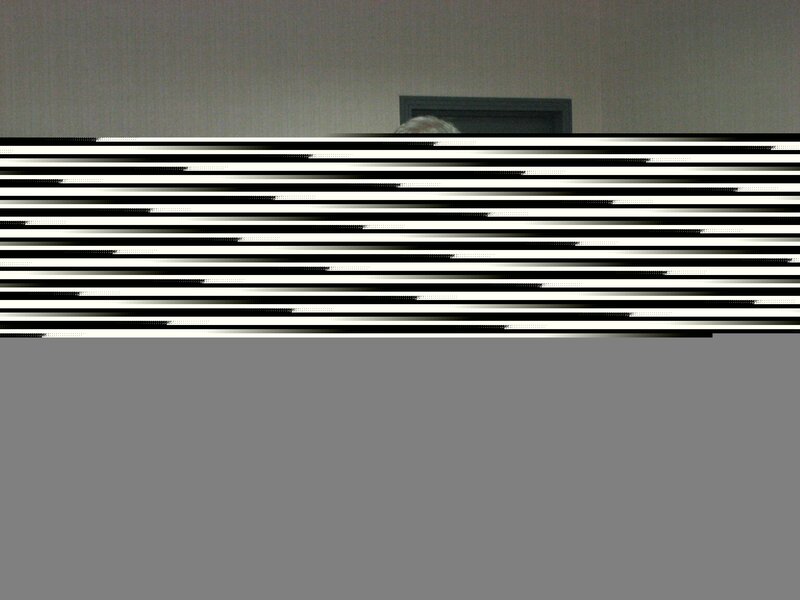 Picture 2 (from left to right): Profs. Niu, Zhang, Yuan, Sastry, Zhou, and Guan. 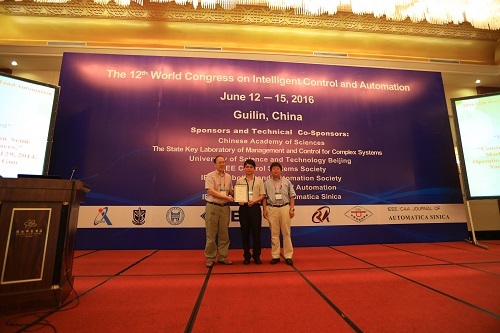 Prof. Luh, Prof. Cao, Prof. Guan, and Dr. Jia from CFINS attended the 8th World Congress on Intelligent Control and Automation (WCICA 2010) in Jinan, Shandong Province during July 7 to July 10. The Ho-Pan-Qing-Yi Best Paper Award in Discrete Event Dynamic Systems this year was awarded to the following paper. The authors jointly share 1,000 USD donated by Prof. Yu-Chi Ho, the chief scientist of CFINS. Tang, H. and Arai, T., look-ahead control of conveyor-serviced production station by using potential-based online policy iteration, International Journal of Control, 2009, 82(10): 1917-1928. Professor Michael Fu from University of Maryland started visit of CFINS and gave a talk entitled stochastic Gradient Estimation: Survey and Recent Research on 2010.7.2. We review the main techniques for stochastic gradient estimation, where direct unbiased estimators are obtained for simulation models. The techniques discussed are perturbation analysis, the likelihood ratio (score function) method, and weak derivatives. Some recent research results are also presented. MICHAEL C. FU is Ralph J. Tyser Professor of Management Science in the Robert H.~Smith School of Business, with a joint appointment in the Institute for Systems Research and affiliate faculty appointment in the Department of Electrical and Computer Engineering, all at the University of Maryland. He received degrees in mathematics and EE/CS from MIT, and a Ph.D. in applied mathematics from Harvard University. His research interests include simulation optimization and applied probability, with applications in supply chain management and financial engineering. He has published four books: Conditional Monte Carlo: Gradient Estimation and Optimization Applications (1997), which received the INFORMS Simulation Society Outstanding Publication Award in 1998; Simulation-based Algorithms for Markov Decision Processes (2007); Perspectives in Operations Research (2006); and Advances in Mathematical Finance (2007). He served as Stochastic Models and Simulation Department Editor of Management Science from 2006-2008, and IEEE Transactions on Automatic Control, and as Simulation Area Editor of Operations Research 2000-2005, and is Program Chair for the 2011 Winter Simulation Conference. He was named a University of Maryland Distinguished Scholar-Teacher for 2004-2005, and is a Fellow of INFORMS and IEEE. Cryptographic algorithms are critical elements of the security of computer systems. They are used to achieve basic security functions such as confidentiality, data integrity, and authentication. Evident by enormous numbers of successful attacks, simply adopting cryptographic algorithms does not ensure the security of the system. The implementations of cryptographic algorithms are as important as the design. During a cryptographic operation, computer systems leak a lot of side-channel information, including timing, power, electromagnetic radiation, visible light, error message, etc. Side-channel attacks exploit the side-channel information from the implementation to obtain the secret data that have been processed. They are very effective even if the cryptographic algorithms are secure against the conventional attacks based on mathematical analysis of the input and output data. In this presentation, we discuss several techniques that mitigate power analysis attacks, including window-based countermeasure for elliptic curve cryptography (ECC) and register file with redundant flipped copies. Zhijie Jerry Shi is an Associate Professor of Computer Science and Engineering at the University of Connecticut (UConn). He received his Ph.D. degree from Princeton University in 2004 and his M.S. and B.S. degrees from Tsinghua University, China, in 1996 and 1992, respectively. Professor Shi received USA NSF CAREER award in 2006. His current research interests include hardware mechanisms for secure and reliable computing, side channel attacks and countermeasures, primitives for ultra-efficient cipher designs, sensor network security, application specific instruction-set instruction processor(ASIP) and embedded system designs, and underwater sensor networks. 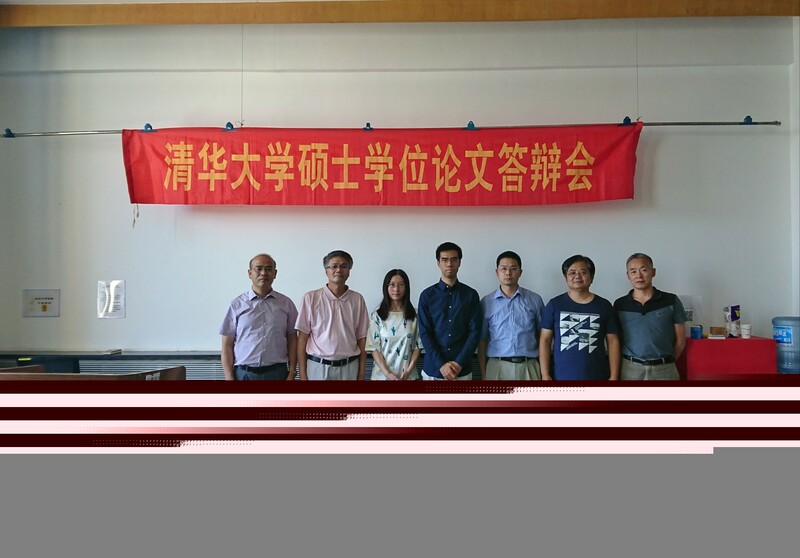 Guoyu Tu defended the final thesis for the ph.d. degree successfully. During the past week, he has given detailed and constructive comments to a group of graduate students and some senior undergraduate students. He not only commented on their research proposals, but also gave the general advices on how to give a technical talk. The students are now revising their research proposals according to the feedback, and are preparing for the second round discussions. Besides the technical discussions with the students, Prof. Ho will also check the research progress in the several main research directions in CFINS, and will provide guidance. Invited by Prof. Weibo Gong and Dr. Qingshan Jia in CFINS, Prof. Jie Wang from University of Massachusetts at Lowell, Chair of the Department of Computer Science at UMASS Lowell, gave a talk titled constructing Spatial Barriers with Underwater Sensor Networks in FIT-1-415, at 10:00am on May 26th 2010. Dr. Jia hosted the talk, and Prof. Xi Chen in CFINS and other students attended the talk. 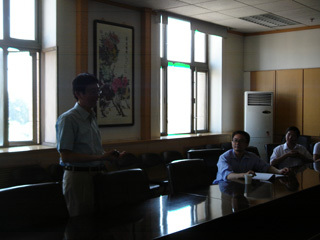 The audiences introduced their own research interests to Prof. Wang after the talk. 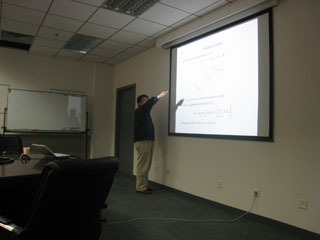 In the afternoon, Prof. Wang gave another seminar on knowledge discovery in computer science department. Dr. Jia and several other students from CFINS also attended that seminar. Dr. Qing-Shan Jia visited Prof. Xi-Ren Cao at the Department of Electronic and Computer Engineering, the Hong Kong University of Science and Engineering. 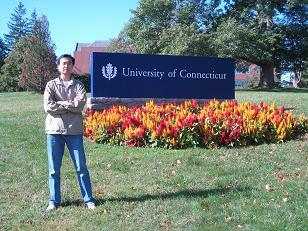 Dr. Jia will stay for three months and collaborate with Prof. Cao on event-based dynamic programming. The combined 48th IEEE Conference on Decision and Control (CDC) and 28th Chinese Control Conference (CCC) was held Wednesday through Friday, December 16-18, 2009 in Shanghai, China. Three papers listed following of CFINS were accepted by the conference. 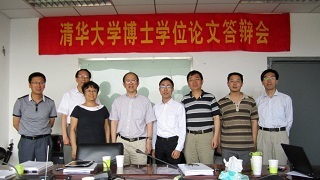 The professors and students of CFINS attended the CDC2009. The annual IEEE Conference on Decision and Control is internationally recognized as the premier scientific and engineering conference dedicated to the advancement of the theory and practice of systems and control. It is the first the IEEE Control Systems Society has chosen to hold its flagship conference in China. 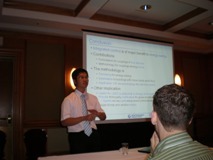 Qing-Shan Jia, Improved Constrained Ordinal Optimization for Simulation-Based Constrained Optimization. Jianghai Li, Qing-Shan Jia, Xiaohong Guan, Xi Chen, Tracking Moving Object Via a Sensor Network with Partial Information Broadcasting Scheme. Qing-Shan Jia, Min Xie, Felix F. Wu, Ordinal Optimization Based Security Dispatching in Deregulated Power Systems. 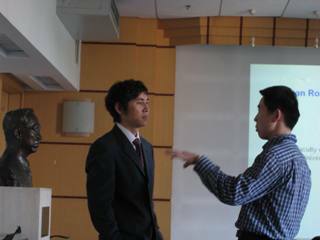 On Dec., 15th, 2009, a workshop named Five Decades of Ho-ntrol and Ho-ptimization was held in Shanghai International Convention Center. The workshop was one of the pre-conference workshops of 48th IEEE Conference on Decision and Control. 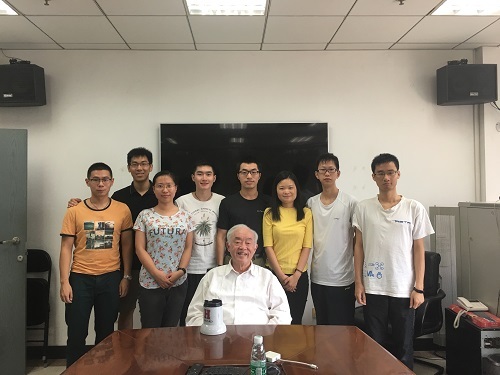 The workshop was dedicated to Prof.Yu-Chi Larry Ho who started his professional career in the systems and control community fifty years ago, by some of his former students who are very active in this field. The workshop was organized by Christos G. Cassandras from Boston University and Weibo Gong from University of Massachusetts. Nine talks are given, including Dah Ming Chiu from Chinese University of Hong Kong, Xi-Ren Cao from Hong Kong University of Science and Technology, Pirooz Vakili from Boston University, Leyuan Shi from University of Wisconsin-Madison, Qing-Shan Jia from Tsinghua University, Peter B. Luh from University of Connecticut, and Jian-Qiang Hu from Fudan University. 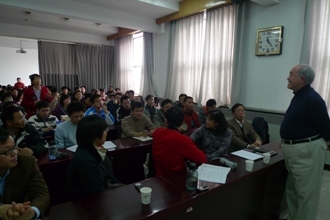 On December 14, 2009, during the Conference on Decision and Control (CDC), CFINS teachers summed up the past work and discussed the future development plans. 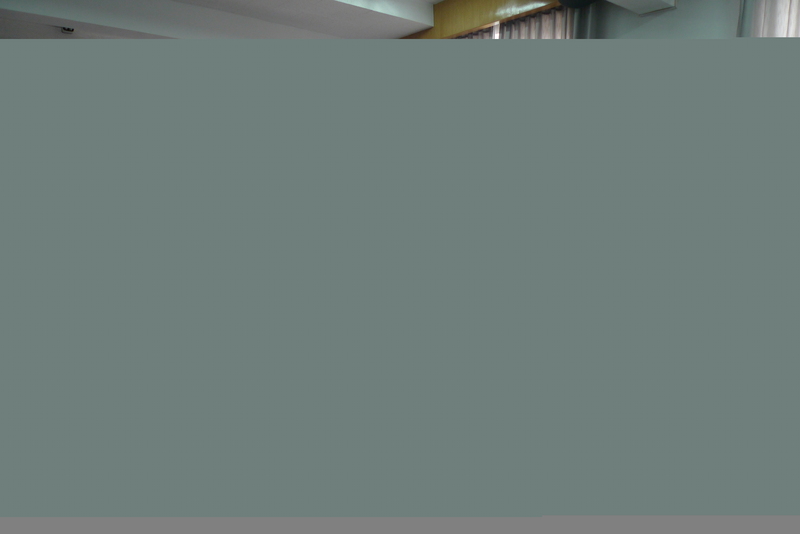 On 10:30am of December 11th, Prof. Yu-Chi Ho from Harvard University gave a talk titled A Personal Account of the Past, Present, and Future of Control Theory and Systems giving the Experience from 1959-2009, in Room 511, Central Building. 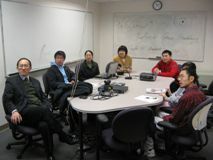 Prof. Dong-Hua Zhou, Prof. Zuo Zhang, Prof. Xi Chen, Dr. Qing-Shan JIA, and many students attended this talk. 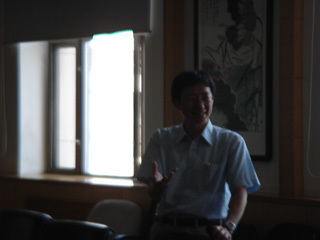 After the talk, Prof. Yu-Chi Ho had a good discussion with the audience. 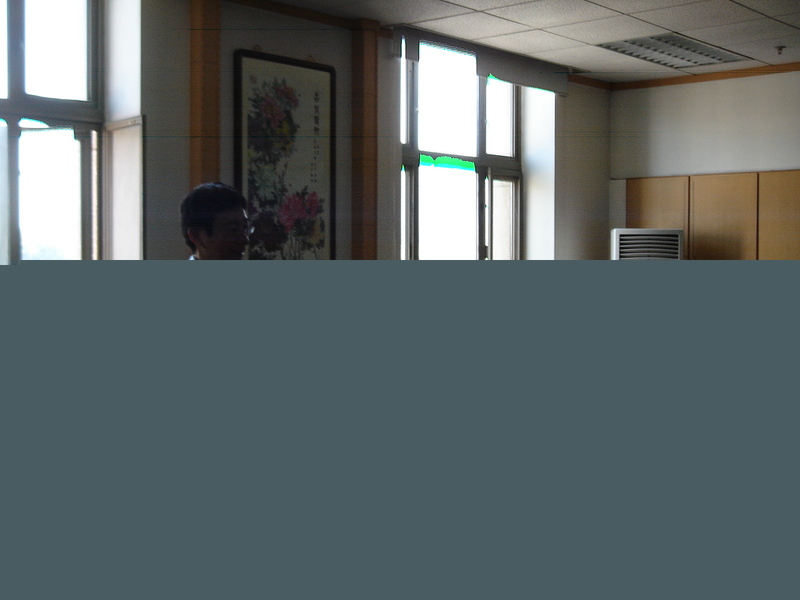 Prof. Yu-Chi Ho received his S.B. and S.M. 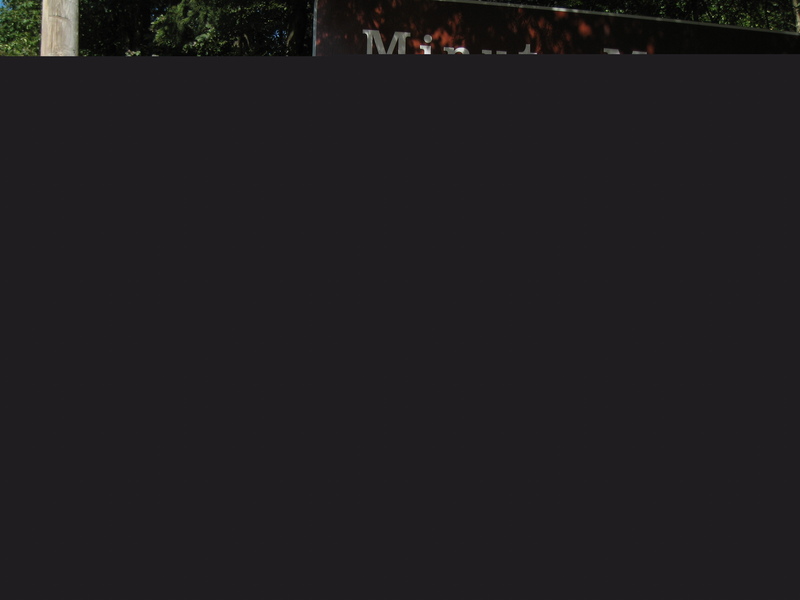 degrees in Electrical Engineering from M.I.T. and his Ph.D. in Applied Mathematics from Harvard University. Except for three years of full time industrial work he has been on the Harvard faculty. Since 1969 he has been Gordon McKay Professor of Engineering and AppliedMathematics. In 1988, he was appointed to the T. Jefferson Coolidge Chair in Applied Mathematics and Gordon McKay Professor of Systems Engineering at Harvard and as visiting professor to the Cockrell Family Regent Chair in Engineering at the University of Texas, Austin. 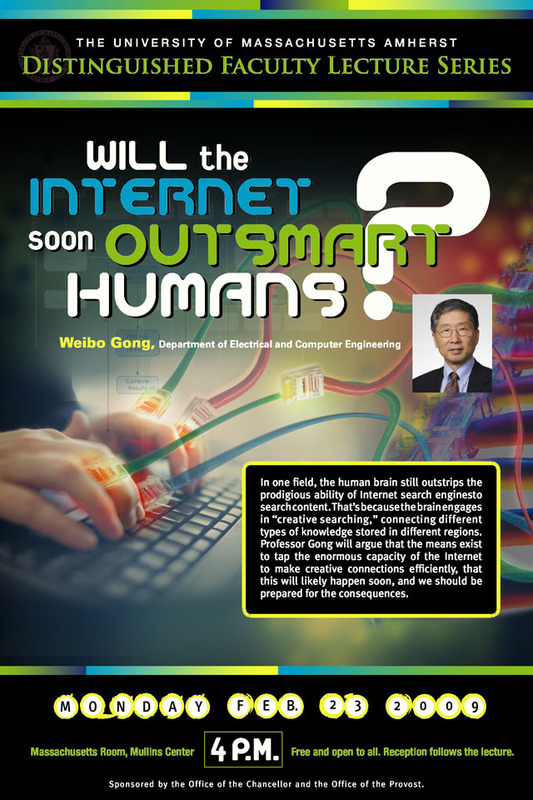 In 2001, he retired from teaching duties at Harvard and became a Research Professor (2001-2006) and also was appointed to be a chair professor and chief scientist (part time), at the Center for Intelligent and Networked Systems (CFINS), Department of Automation, Tsinghua University, Beijing China. 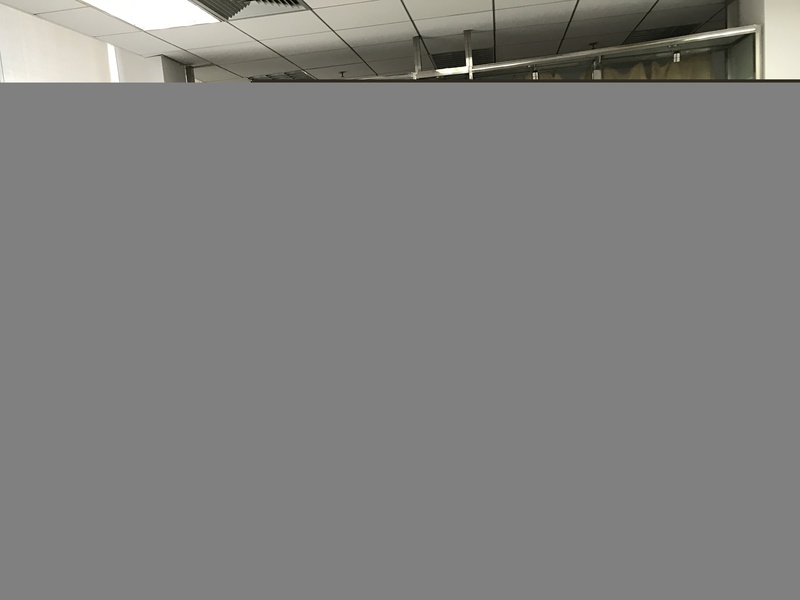 Professor Xiaohong Guan, who is in University of Connecticut (UCONN) participating in the ceremony for the UCONN Distinguished Engineering Awards, visited Professor Peter B. Luh's lab in UCONN in the morning of December 10 (EST). Although Professor Luh is currently visiting National Taiwan University, Professor Guan still had a good discussion with the students in the lab. Professor Guan shared with the stuednts his studying experience in UCONN more than 20 years ago, and gave many valuable suggestions on doing research work. 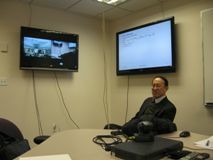 Meanwhile, the lab showed Professor Guan the newly implemented video tele-conference system, and made a test connection with the system in Xi'an Jiaotong Unversity. Invited by Dr. Qingshan Jia in CFINS, Prof. Javier Contreras from University of Castilla - La Mancha gave a talk titled Finding multiple Nash equilibria in a spot market: an EPEC approach in FIT-3-415, at 17:30pm on D9c. 8th. 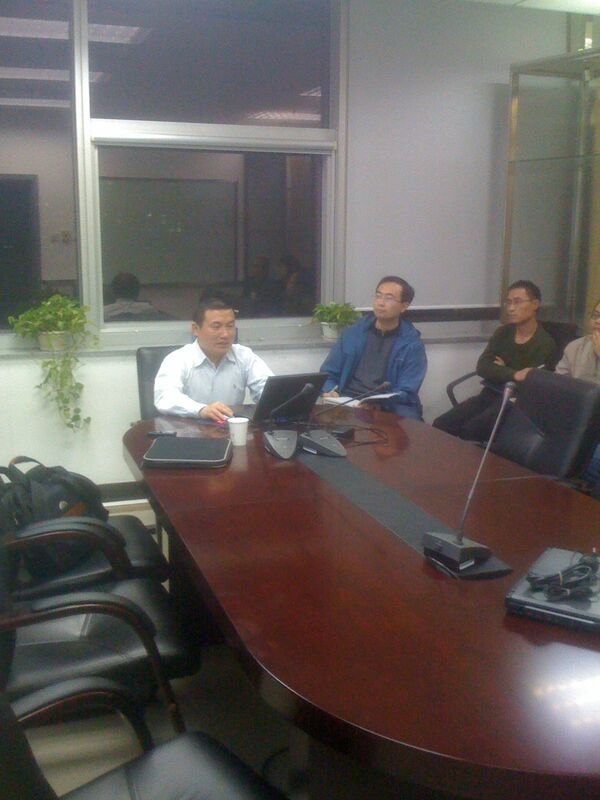 Dr. Jia hosted the talk, and Many students from CFINS and other institutes attended the talk. The talk delivered plenty useful information and interested the audiences much. Prof. Javier had a good discussion with the audiences after the talk. In competitive electricity markets, generating companies (GENCOs) offer their energy offers simultaneously to obtain the maximum profit on a daily basis. We find the optimal solution to the individual GENCOs problem using a bilevel noncooperative game model, implemented as a Mathematical Problem with Equilibrium Constraints (MPEC). We also show that the market equilibrium, where each GENCO solves its own MPEC problem, can be set as an Equilibrium Problem with Equilibrium Constraints (EPEC). The nonconvex and nonlinear EPEC is approximated by a MILP problem. A search methodology is implemented to find the multiple Nash equilibria by adding linear constrains to the EPEC. Finally we show some examples to illustrate our MPEC and EPEC models. Javier Contreras (IEEE Senior Member 05) was born in Zaragoza, Spain, in 1965. He received a B.Sc. degree in electrical engineering from the University of Zaragoza, an M.Sc. from the University of Southern California, Los Angeles, and a Ph.D. from the University of California, Berkeley, in 1989, 1992, and 1997. 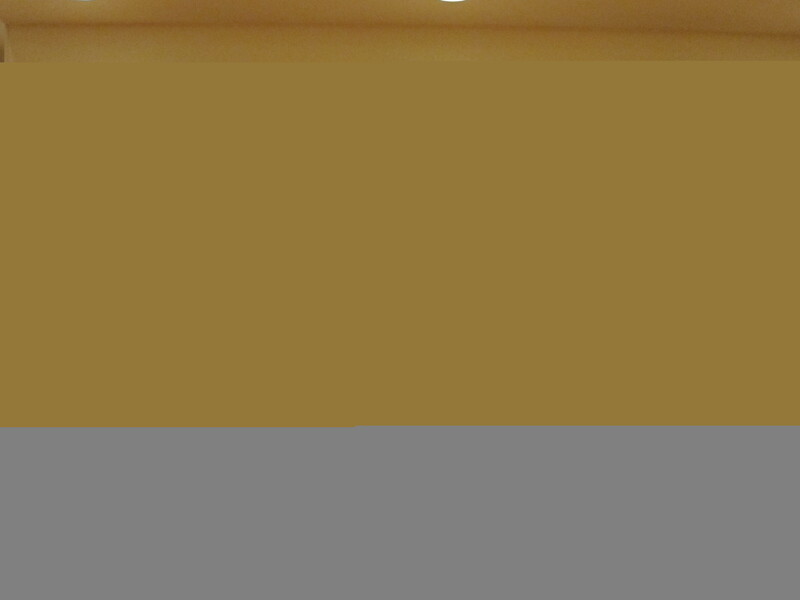 His research interests include power systems planning, operations and economics, and electricity markets. He is currently Associate Professor at the Universidad de de Castilla - La Mancha, Ciudad Real, Spain. The 231th Tsinghua forum for Doctoral candidates was held successfully at Sanbao from Nov. 28th to Nov. 29th. Five Ph.D. candidates of CFINS, including Shuqiao Zhou, Hengtao Wang, Liyuan Sun, Da Wang and Qiang Li took part in the forum. Lec. Qing-Shan Jia of CFINS was invited to judge at the forum. Prof. Ho arrived in Beijing from the States and began his visit to CFINS on Nov. 18th. On Nov. 19th, he held a special session to share his experiences with students from CFINS and other departments, in FIT-1-315 at 16:00pm. Students asked questions on study, research, and career planning, and Prof. Ho gave answers to all the questions patiently and elaborately. 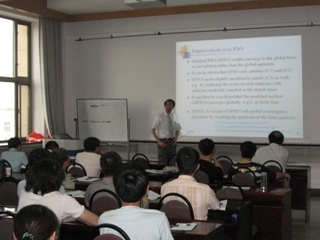 The session was hosted by Dr. Qing-Shan Jia. 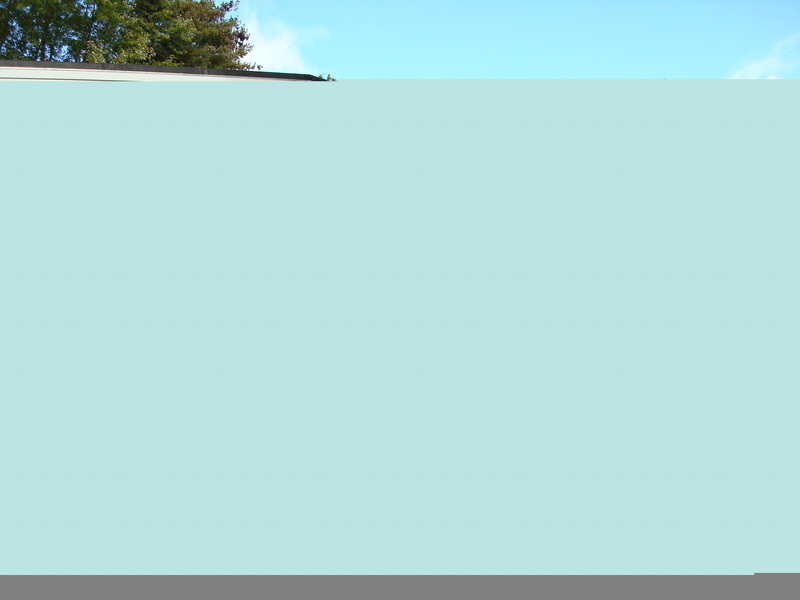 Prof. Ho has shared plenty of his experiences of teaching, researching, and daily life through his blog on the Science Net website. His blog articles are more than precious treasure for young scholars. All of the students have read the articles before the session and already gained much. They all prepared many questions to consult Prof. Ho, including those that are not mentioned in the blog articles. They actively asked the questions during the session, and finally appreciated the articles better with Prof. Ho's answer. They gave Prof. Ho a big applause at the end. There will be another session in the next week in which Prof. Ho will share more of his life experiences. The paper "Bursty Propagation Model for Incidental Events in Blog Networks", coauthored by Ph.D student Li Zhao and faculty members Ruixi Yuan, Xiaohong Guan and Qingshan Jia of CFINS, is recommended and reported several times by Chinese academic organizations and news media. 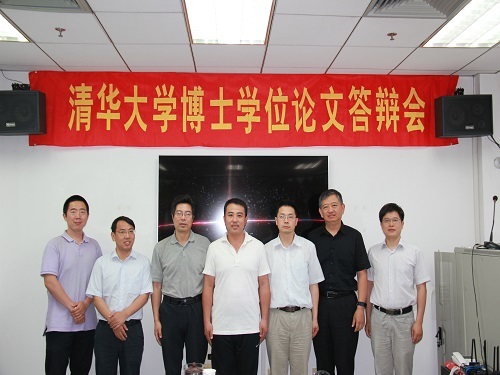 On June 25, 2009, this paper was recommended to the media among the six key scientific papers on the 6th media reception of the year held by the Academic Department of China Association for Science and Technology (CAST). The paper published by CFINS was the only one recommended by Journal of Software (JOS). JOS made a presentation entitled "New Progress in the Study of Hot Topic Propagation in Blogosphere" in the above media reception. Science and Technology Review (STR) spoke highly of this paper in an article named "Domestic Journal Highlights" in a special section of the 13th issue of 2009. The paper was submitted to JOS in March 2008, accepted in October 2008 and was published in May 2009. Invited by Prof. Qianchuan Zhao in CFINS, Prof. Hao TANG from HeFei University of Technology gave a talk titled Semi-Markov Reinforcement Learning without Models and its Application in production systems in Room 3-620, FIT Building, at 5pm on Oct. 19th. 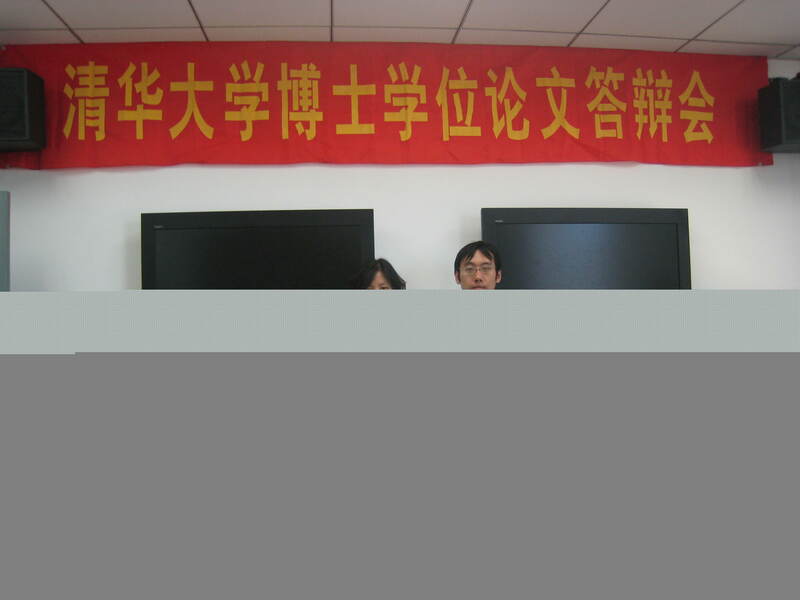 He also introduced University of HeFei University, especially the lab of distributed control. 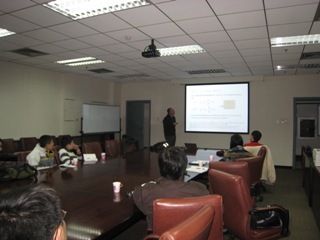 Prof. Zhao hosted the talk and many students from CFINS attended the talk. The talk delivered plenty useful information and interested the audiences much. Prof. TANG had a good discussion with the audiences after the talk. 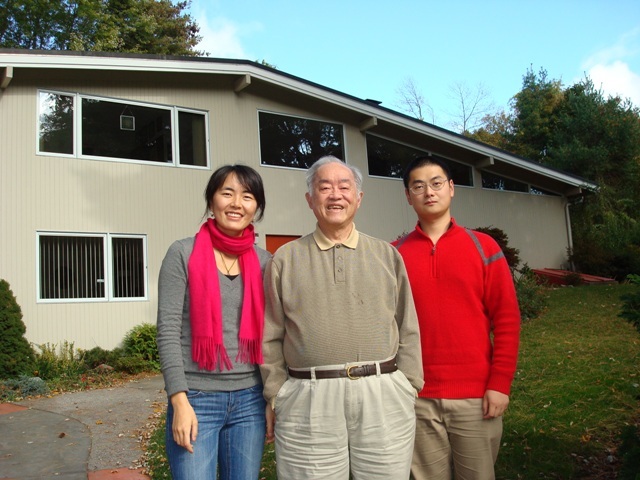 CFINS Phd Students MIngyang Li and Li Zhao went to Lexington, Massachusetts to visit Professor Ho at his home on October 17, 2009. Professor Ho had lunch with the two students and talked with them on problems widely concerned by young students such as study, research, living and career development. 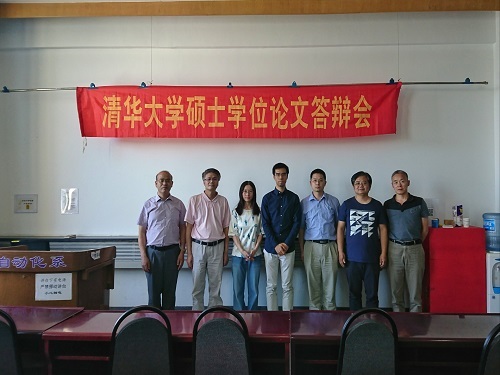 Mingyang Li and Li Zhao are both CFINS students participating in the one year joint training Phd program sponsored by Chinese Scholarship Council. They are currently visiting, respectively, University of Connecticut (UCONN) and University of Illinois at Urbana-Champaign (UIUC). Invited by Dr. Qingshan Jia in CFINS, Prof. CAO Ming from National University of Groningen, the Netherlands gave a talk titled Human-Robot Interactive Decision-Making in Room 407, Central Building, at 15:00pm on Oct. 16th. He also introduced University of Groningen and the recruitment information after the talk. 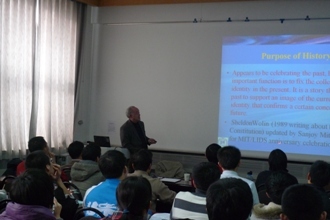 Dr. Jia hosted the talk, and Many students from CFINS and other institutes attended the talk. The talk delivered plenty useful information and interested the audiences much. 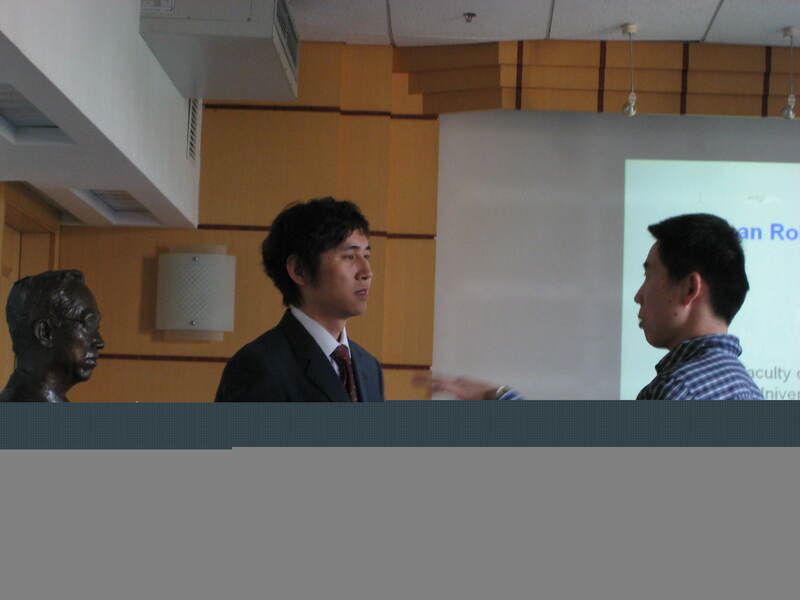 Prof. CAO had a good discussion with the audiences after the talk. Profitable integration of human and robot decision-making dynamics should take advantage of strengths of human decision-makers as well as strengths of robotic agents. A major challenge in achieving this goal is understanding how humans make decisions and what are their associated strengths and weaknesses. Correspondingly, a central tenet of this work is to leverage the experimental and modeling work of psychologists and behavioral scientists on human decision-making. We focus on a well-studied class of sequential binary decision-making tasks. We introduce a decision-making problem associated with a collective robotic foraging task that integrates human and robotic decision making dynamics with feedback. To explore the integrated decision dynamics, we present two models of human decision-making and with these models we prove convergence of the human behavior to the observed aggregate decision-making. We also show how adaptive laws for the robot feedback that use only local information can be applied to help the human make optimal decisions. Ming Cao is currently an assistant professor of Discrete Technology and Production Automation with Faculty of Mathematics and Natural Sciences at the University of Groningen, the Netherlands. He received the Bachelor degree in 1999 and the Master degree in 2002 from Tsinghua University, Beijing, China, and the Ph.D degree in 2007 from Yale University, New Haven, CT, USA, all in electrical engineering. From September 2007 to August 2008, he was a Postdoctoral Research Associate with the Department of Mechanical and Aerospace Engineering at Princeton University, Princeton, NJ, USA. He worked as a Research Intern during the summer of 2006 with the Mathematical Sciences Department at IBM T. J. Watson Research Center, NY, USA. 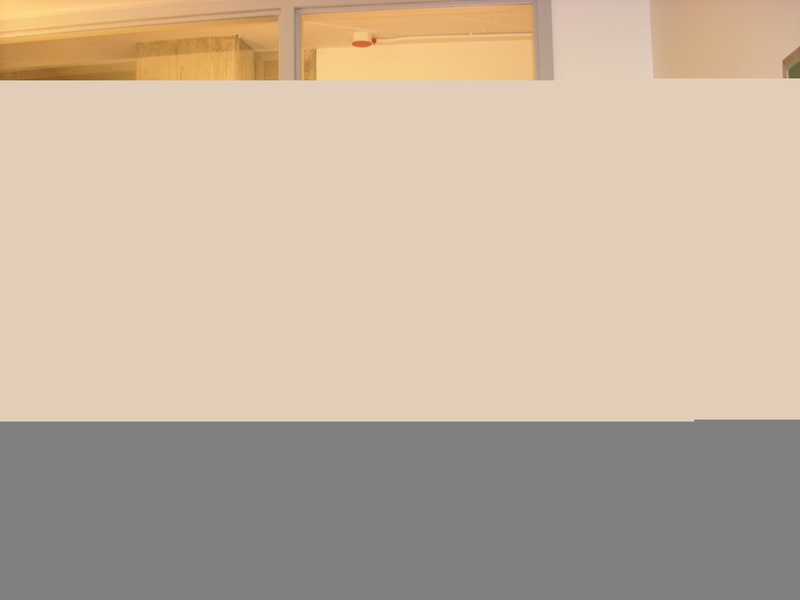 His main research interest is in autonomous agents and multi-agent systems, mobile sensor networks and social robotics. Since 2009, he has been an associate editor for Systems and Control Letters responsible for the area of cooperative control and multi-agent systems. 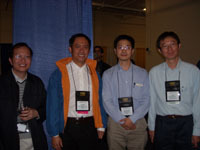 Prof. Xi-Ren Cao and Dr. Qing-Shan Jia attended the INFORMS Annual Meeting 2009 in San Diego, CA. Prof. Cao gave two invited talks, titled "Singular Stochastic Control and Composite Markov Processes" and "Stochastic Control of Continuous-Time and Continuous-State Systems via Direct Comparison". 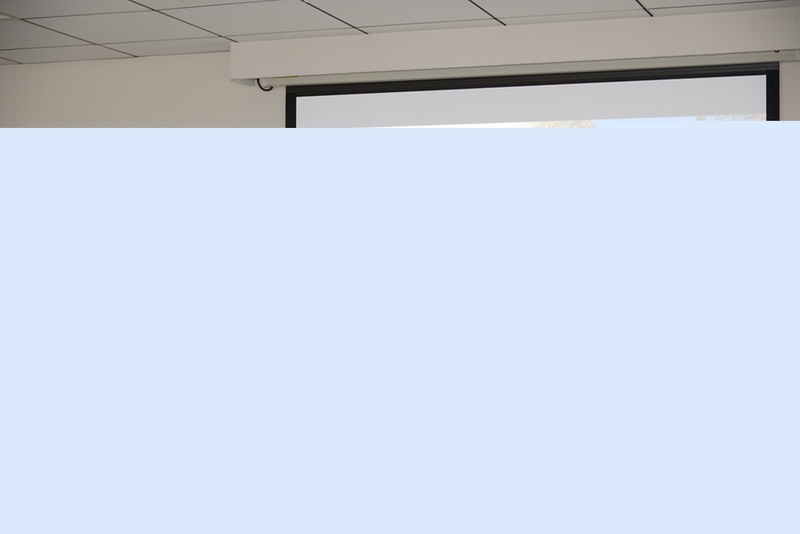 Dr. Jia gave the invited talk "The Instance Risk of Simulation-Based Optimization Algorithms", which was a joint work with Prof. Qian-Chuan Zhao. They met various CFINS friends such as Prof. Chun -Hung Chen, Prof. Ek-Peng Chew, Prof. Michael Fu, Prof. Jianqiang Hu, Prof. Loo-Hay Lee, and Prof. Leyuan Shi (in alphabetic order). 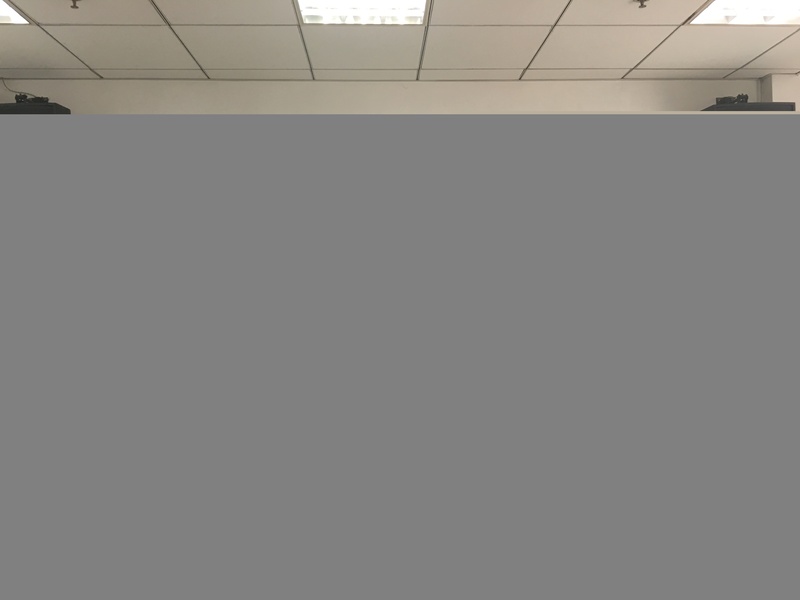 Invited by Dr. Qingshan Jia in CFINS, Prof. Loo Hay Lee from National University of Singapore (NUS) gave a talk titled Optimal Computing Budget Allocation Approach for Simulation Optimization Problem in Room 407, Central Building, at 14:30pm on Sep. 14th. 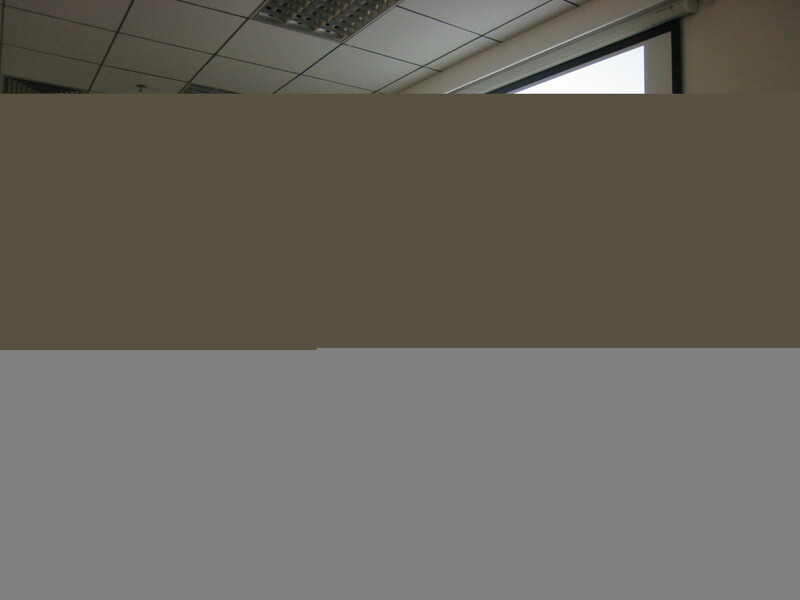 He also introduced NUS and the recruitment information of graduate students after the talk. Dr. Jia hosted the talk. 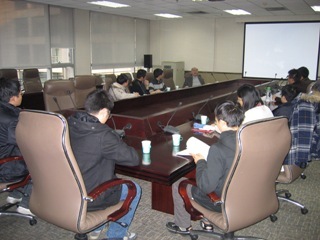 Prof. Qianchuan Zhao and many students from CFINS and other departments of the university attended the talk. The talk delivered plenty useful information and interested the audiences much. Prof. Lee had a good discussion with the audiences after the talk. In this talk, we will present the optimal computing budget allocation algorithm for simulation optimization problems. Some new developments for the algorithms will be discussed, and we will also present its extensions to multi-objective problems, and convergent properties for the approach. Loo Hay LEE is an Associate Professor in the Department of Industrial and Systems Engineering at National University of Singapore and was a visiting professor at the Department of Systems Engineering and Operations Research at George Mason University. He received his B.S (Electrical Engineering) degree from the National Taiwan University in 1992 and his S.M and PhD degrees in 1994 and 1997 from Harvard University. He is currently a senior member of IEEE, and member of ORSS, and INFORMS. His research focuses on the simulation-based optimization, port operations and the modeling and analysis for the logistics and supply chain system. He is an associate editor for IIE Transactions, Flexible Services and Manufacturing Journal, the Asia Pacific Journal of Operational Research, Advanced Operations Research and a member in the advisory board for OR Spectrum. Invited by Prof. Qianchuan Zhao in CFINS, Prof. Dimitri P. Bertsekas from MIT gave a talk titled Approximate Dynamic Programming and Applications: An Overview in Room 511, Central Building, at 10:00am on Jun. 30th. Prof. Xiaohong Guan hosted and many students from CFINS and other laboratorys attended the talk. The talk delivered plenty useful information and interested the audiences much. Prof. Dimitri P. Bertsekas had a good discussion with the audiences after talk. Dynamic programming is a very general optimization method for sequential decision making, with many practical applications in engineering design, operations research, optimal resource allocation, automatic control, dynamic planning, economics and finance, and combinatorial optimization. Among optimization methods, it has the broadest range of applications:? deterministic, stochastic, discrete, and continuous problems.? 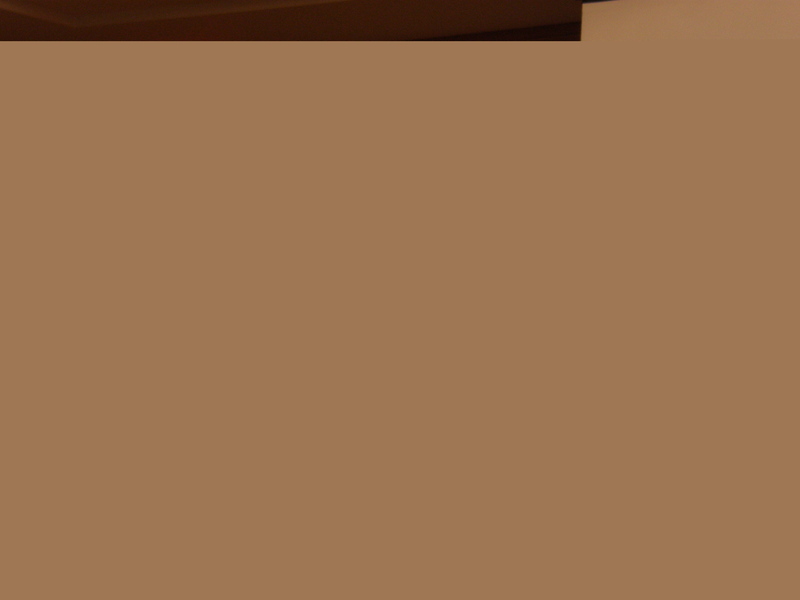 However, it suffers from the curse of dimensionality: an exponential growth of computational requirements as the problem size increases. This has led to extensive work over the last twenty years on the methodology of neuro-dynamic programming/reinforcement learning, which is based on various types of approximations and simulation, and can deal with problems of very large size. One key idea is to construct off-line, using simulation, an (approximate) scoring function which is used in real-time to rank decisions at any system state that may arise. This is much like what is done in computer chess and computer backgammon, where positions are evaluated by means of a scoring function, and the move that leads to the position with the best score is chosen. Another important idea is to use simulation and/or heuristics to compute on-line the values of an approximate scoring function. This talk will overview these methodologies, emphasizing on-line methods. A followup talk will emphasize off-line methods, and discuss recent extensions to Monte-Carlo methods for approximate solution of large systems of equations arising in broader scientific computation contexts. Professor Bertsekas was awarded the INFORMS 1997 Prize for Research Excellence in the Interface Between Operations Research and Computer Science for his book "Neuro-Dynamic Programming" (co-authored with John Tsitsiklis), the 2000 Greek National Award for Operations Research, and the 2001 ACC John R. Ragazzini Education Award. In 2001, he was elected to the United States National Academy of Engineering. Prof. Dimitri P. Bertsekas starts visiting CFINS on June 22th. Invited by Dr. Qingshan Jia in CFINS, Prof. Chun-Hung Chen from George Mason University gave a talk titled Ordinal Optimization and Optimal Computing Budget Allocation in Room 407, Central Building, at 10:00am on Jun. 24th. Dr. Jia hosted and many students from CFINS and other laboratorys attended the talk. The talk delivered plenty useful information and interested the audiences much. Prof. Chen had a good discussion with the audiences after talk. Ordinal Optimization (OO) has emerged as an efficient technique for simulation and optimization. Exponential convergence rates can be achieved in many cases. Optimal Computing Budget Allocation (OCBA) is developed to maximize the computational efficiency by determining the optimal computing resource allocation among a fixed set of simulated designs, no matter the goal is to find the best design and a subset of good designs. OCBA can further enhance the efficiency of OO for stochastic simulation optimization. In this talk, we will present the basic idea of OCBA and its recent development. 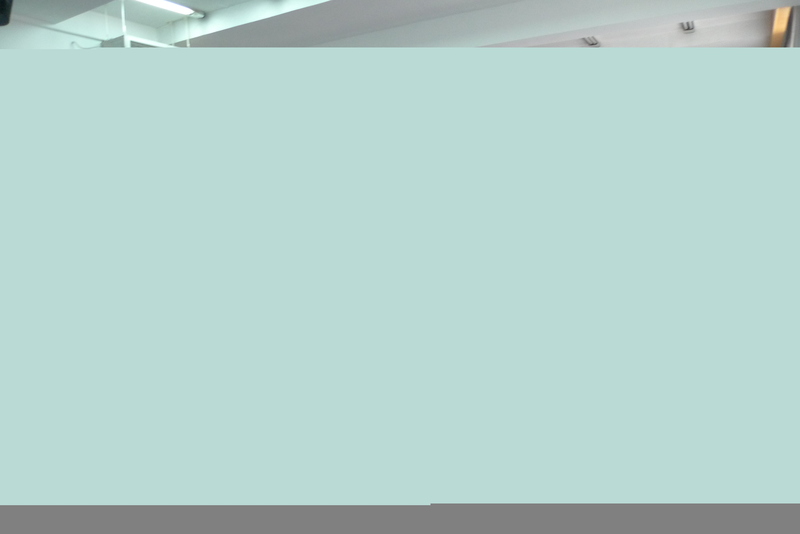 By integrating with search methods such as Nested Partition scheme invented by Prof. Shi, OCBA can effectively handle large-scale simulation optimization. Chun-Hung Chen received his Ph.D. degree in Engineering Sciences from Harvard University in 1994 and is currently a Professor of Systems Engineering & Operations Research at George Mason University. Dr. Chen was an Assistant Professor of Systems Engineering at the University of Pennsylvania before joining GMU. 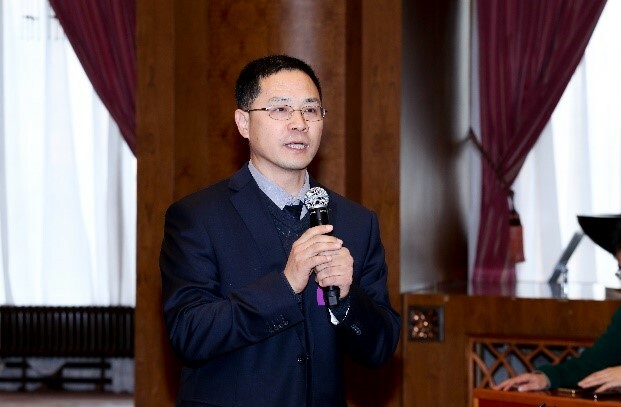 His research interests are mainly in development of very efficient methodology for stochastic simulation optimization and its applications to air traffic management, rail transportation, semiconductor manufacturing, healthcare, supply chain management, and missile defense system. Dr. Chen received the Best Automation Paper Award from the 2003 IEEE International Conference on Robotics and Automation, 1994 Eliahu I. Jury Award from Harvard University, and the 1992 MasPar Parallel Computer Challenge Award. Dr. Chen has served as Co-Editor of the Proceedings of the 2002 Winter Simulation Conference and Program Co-Chair for 2007 Informs Simulation Society Workshop. He is currently a simulation department editor for IIE Transactions, associate editor of IEEE Transactions on Automatic Control, area editor of Journal of Simulation Modeling Practice and Theory, and associate editor of International Journal of Simulation and Process Modeling. 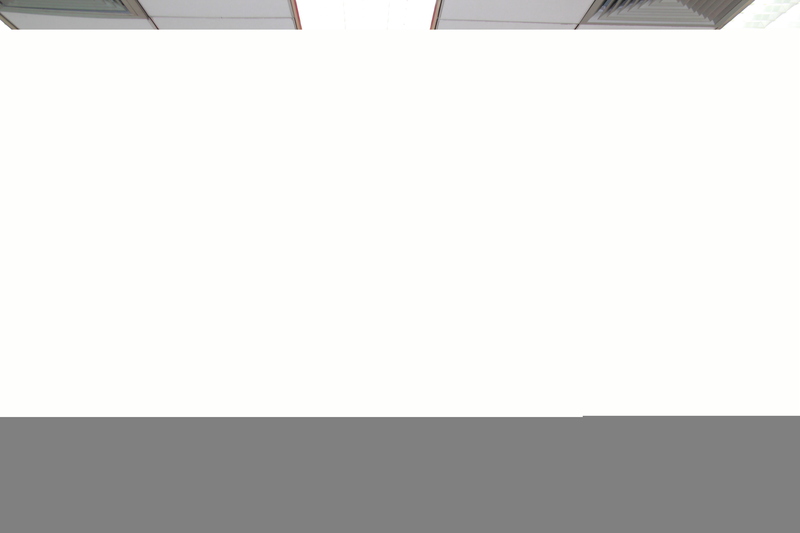 Prof. Shi, Leyuan from UW-Madison gave a talk titled Advanced Development of Nested Partitions Method in Room 511, Central Building, at 10:00am on Jun. 22th. 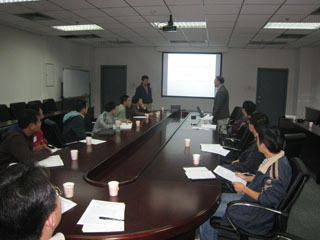 Dr. Jia hosted and many students from CFINS and other laboratorys attended the talk. The talk delivered plenty useful information and interested the audiences much. Prof. Shi had a good discussion with the audiences after talk. In this talk, we present two research results: 1) a new framework that integrates lower-bound and upper-bound methods into the Nested Partitions (NP) method. We have applied this method to a very difficult lot sizing problem-- the Multi-Item Capacitated Lot-Sizing Problems with Set-Up Times. The problem is to schedule N different items with given machine capacities over a finite horizon of T periods. Computational results based on benchmark test problems show that our method is computationally tractable and outperforms all other state-of-the-art approaches found in the literature.2) our ongoing work on the development of Stochastic Lower Bound with Extreme Value theory. We propose statistical promising indexes for Nested Partitions based on the implementation of the extreme value theory. We further develop an approach to estimate the correctness of NP moves, which can be very useful in determining a good algorithm setting. An additional benefit of using the statistical promising index in NP is that statistical bounds can be obtained with little computational burden. 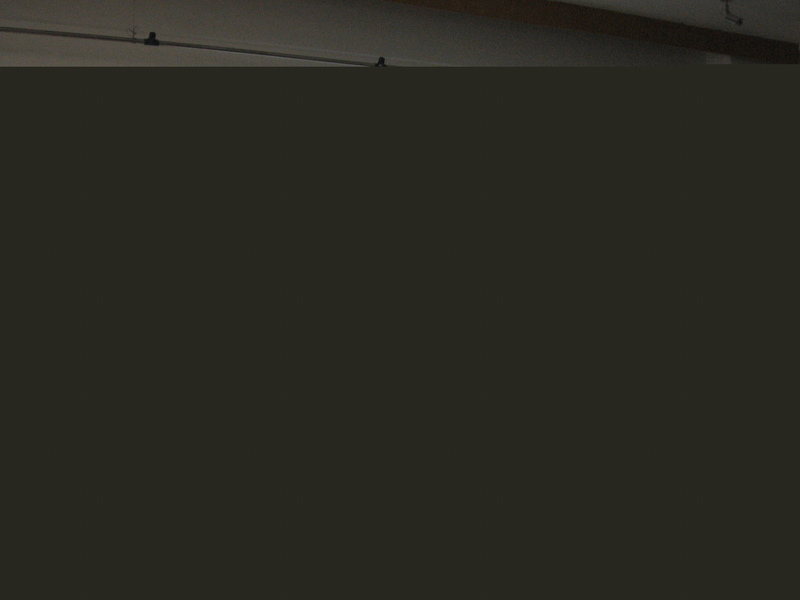 These bounds are problem-independent and can be handy to use when traditional bounding techniques are ineffective. Initial results are also presented to demonstrate the effectiveness of the proposed method. Professor of Department of Industrial and Systems Engineering, University of Wisconsin-Madison. Professor Shi's research has been in developing theory and methodology for design and optimization of complex systems such as supply chain networks, manufacturing systems and communication networks. Her interest in this area has spanned three levels: semantic modeling and design of systems, sensitivity analysis via discrete-event simulation, and control and optimization. Research interests: simulation modeling, large-scale optimization, supply chain optimization, production planning and scheduling computational efficiency, and opens up a new door to re-examine old methods and create new ones. 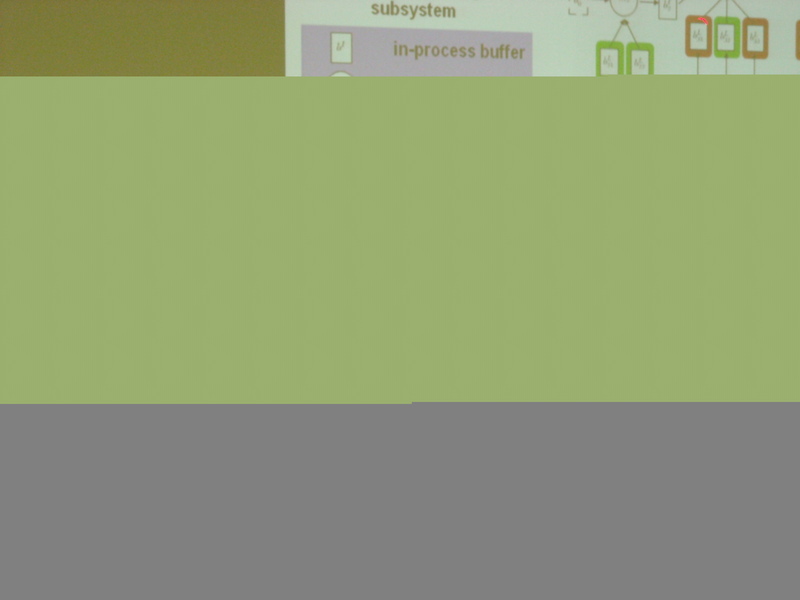 Prof. Homin Yan and Qianchuan Zhao presented at 13th IFAC Symposium on Information Control Problems in Manufacturing(INCOM'09) which was held June 03-05. On 15:00pm of Jun. 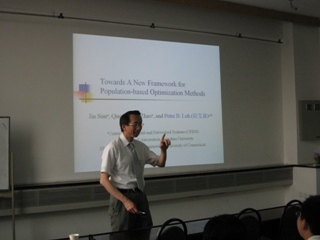 4th, Prof. Peter B. Luh from University of Connecticut gave a talk titled Toward a New Framework for Population-Based Optimization Methods, in Room 511, Central Building. 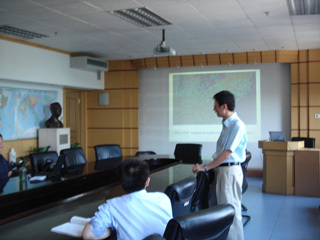 Prof. Xiao-Hong GUAN, the director of CFINS, hosted the talk. 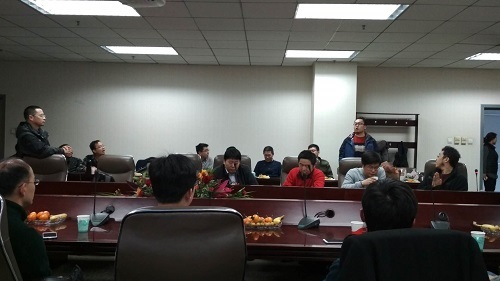 Prof. Rui-Xi Yuan, Prof. Ling Wang, Dr. Qing-Shan JIA, and many students attended this talk. After the talk, Prof. Peter B. Luh had a good discussion with the audience. Combinatorial optimization problems arise in many applications, e.g., task assignment, facility location, and elevator scheduling. A variety of population-based methods have been used to solve these problems, such as genetic algorithm (GA), particle swarm optimization (PSO), estimation of distribution algorithms (EDA), and nested partitions (NP). Some of them, however, lack global convergence guarantee such as PSO, or require strict convergence assumptions such as NP. To enhance these methods in terms of convergence, a novel framework towards unifying the seemingly unrelated methods is established as iterative sampling and updating of a population distribution, and the methods that fit into this framework are called population distribution-based methods. Global convergence conditions for this framework are innovatively developed by building a shadow NP structure for the population evolution process. The result is generic and is capable of covering or enhancing the current convergence results of many methods including GA, PSO, EDA, and NP. It can be further exploited to improve algorithm performance or computational efficiency, and opens up a new door to re-examine old methods and create new ones. Peter B. Luh received his B.S. in Electrical Engineering from National Taiwan University, M.S. in Aeronautics and Astronautics from M.I.T., and Ph.D. in Applied Mathematics from Harvard University. He has been with the University of Connecticut since 1980, and currently is the SNET Professor of Communications & Information Technologies and Head of the Department of Electrical and Computer Engineering. He is a Fellow of IEEE, the Vice President for Publication Activities for IEEE Robotics and Automation Society, an Associate Editor of IIE Transactions on Design and Manufacturing, and was the founding Editor-in-Chief of the new IEEE Transactions on Automation Science and Engineering (2003-2007), the Editor-in-Chief of IEEE Transactions on Robotics and Automation (1999-2003). 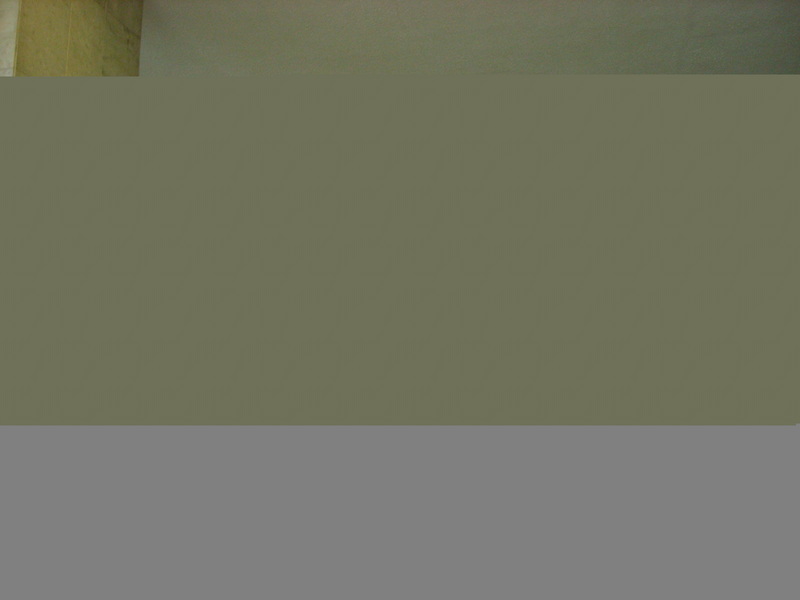 He is also a member of the Chair Professors Group, Center for Intelligent and Networked Systems Dept. of Automation, Tsinghua University, Beijing, China. Prof. Shi, Leyuan starts visiting CFINS on May 27. 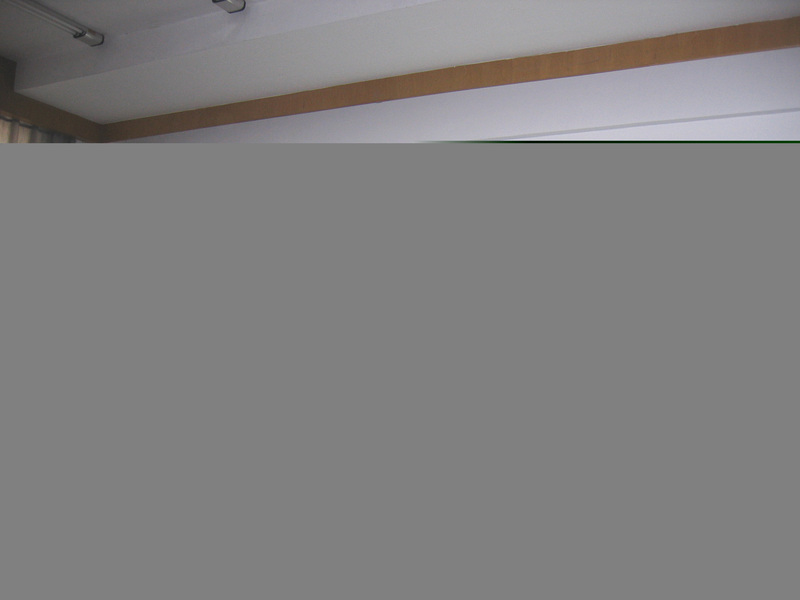 Professor Peter B. Luh starts visiting CFINS on May 24, and will stay until June 19. During May 6-19, 2009, Prof. Xi Chen visited Prof. Xunyu Zhou at University of Oxford, Oxford, UK. They had good discussions on stochastic control and applications. In particular, to Prof. Chen's reseach on water resource scheduling, Prof. Xunyu Zhou gave valuable comments and suggestions. 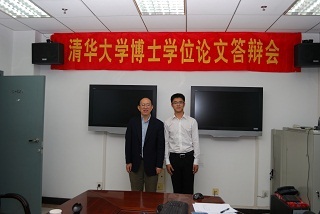 During May 16-19 and 25-27, Prof. Xi-Ren Cao visits CFINS. 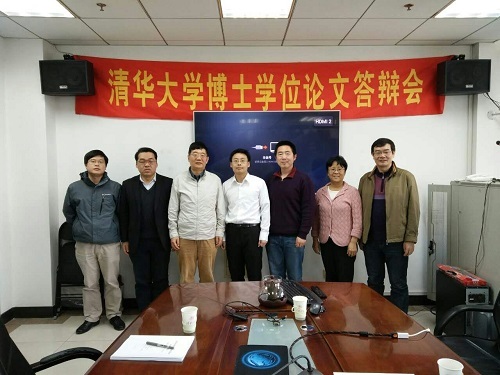 During April 12-17, Prof. Xi-Ren Cao visits CFINS. 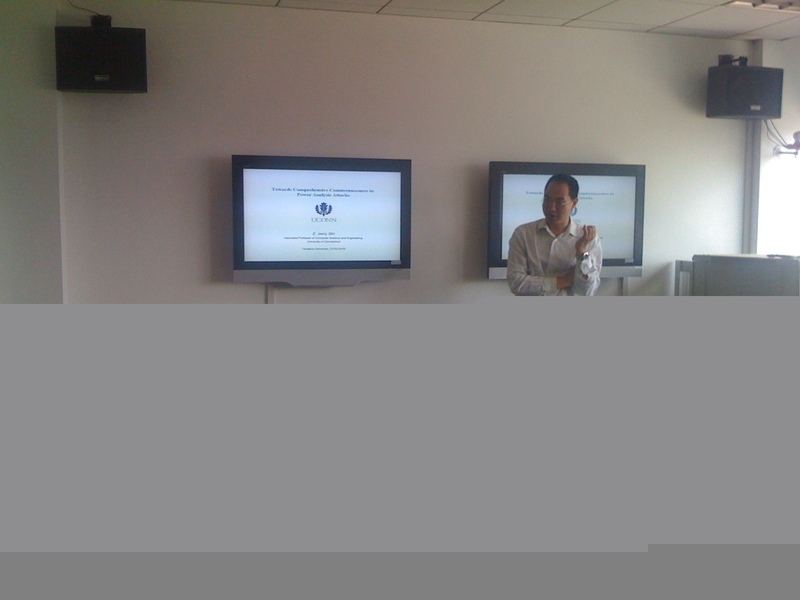 Prof. TONG Lang starts visiting CFINS. During his stay, he will discuss various research problems in cognitive radio with the research team in CFINS. 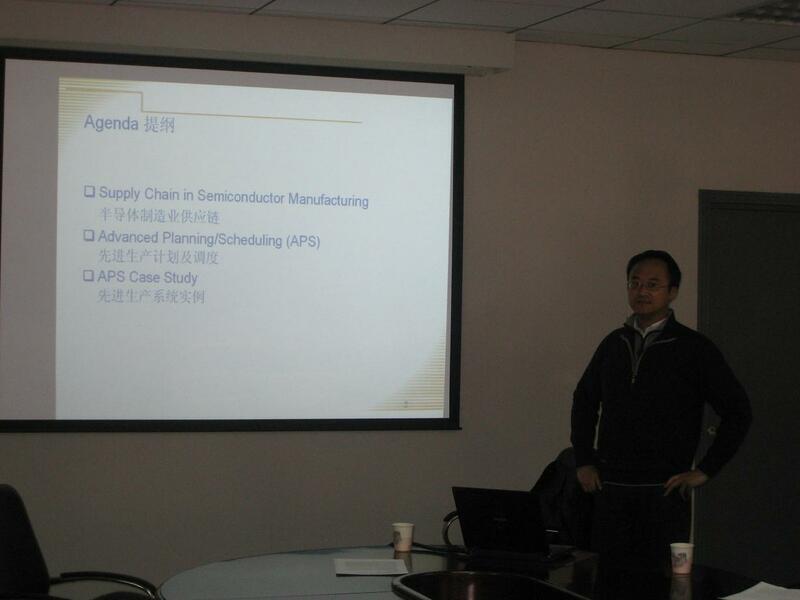 Invited by Prof. Xiao-Hong GUAN, on 14:30pm of Nov. 28th, Dr. Mike Tao Zhang from Spansion Inc. gave a talk titled Advanced Planning / Scheduling (APS) in Semiconductor Manufacturing: Challenges and Opportunities, in Room 1-515, FIT Building. 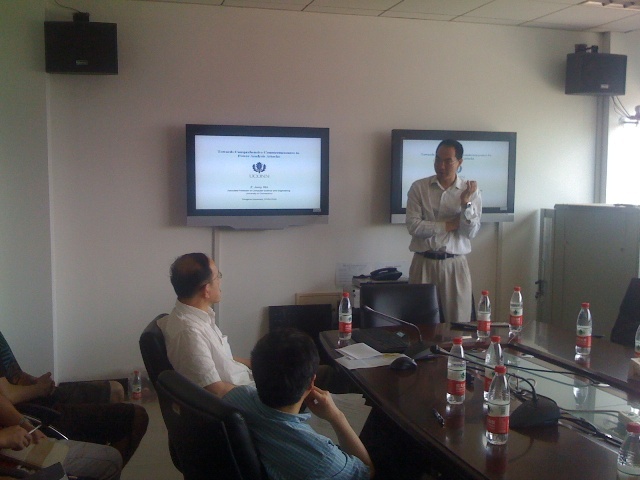 Prof. Xiao-Hong GUAN, the director of CFINS, hosted the talk. Prof. Qian-Chuan ZHAO, Lec. Qing-Shan JIA, and students from Dept. of Industrial Engineering and our department attended this talk. After the talk, Dr. Mike Tao Zhang had a good discussion with the audience. Semiconductor manufacturing is a highly competitive business due to complicated production processes, sophisticated equipment, and fluctuating demand. I summarize the challenges and opportunities of semiconductor manufacturing and provide my thoughts on the solution with three applications for case study. As an example of planning optimization, I describe a planning methodology to generate a complete capacity planning solution using mixed-integer linear programming (MILP). This methodology has been successfully implemented in Intel's global semiconductor assembly and test manufacturing (ATM) since 2004. As an example of queuing modeling, I analyze the correlations between the arrival and the service processes and their impact on cycle time. As an example of simulation, I model a supply chain from fabs, assembly & test sites, to distribution centers for a typical product family. I conduct detailed sensitivity analysis and identify the tens of million USD cost saving opportunities through subcon consolidation and a centralized die hub. Mike Tao Zhang received the M.S. 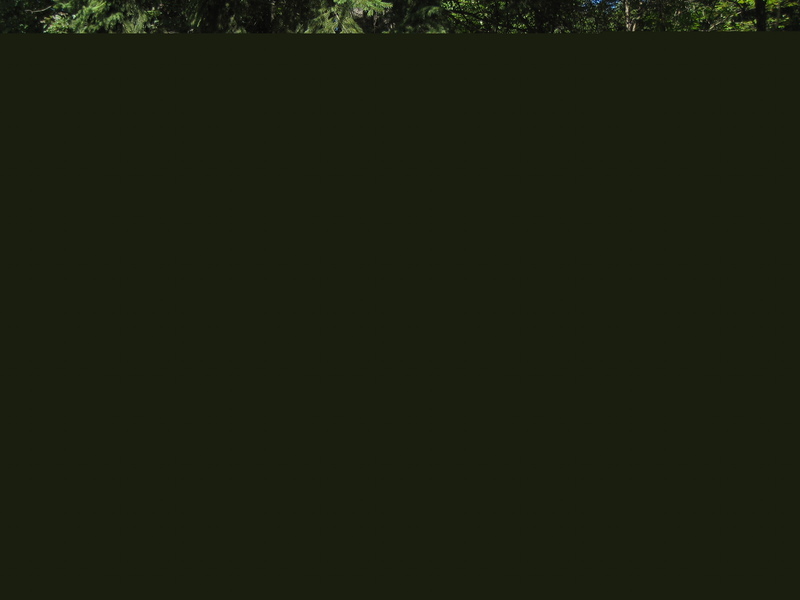 and the Ph.D. degrees from the Department of Industrial Engineering and Operations Research, in 2000 and 2001 respectively, as well as the Management of Technology certificate from the Haas School of Business and the College of Engineering, in 2000, all at the University of California, Berkeley in 3 years. Dr. Zhang is Vice President of the US-China Green Energy Council. He is a senior manager/director of Automation and Industrial Engineering at Spansion Inc., the world largest NOR Flash memory provider. He is also a visiting professor at Tsinghua University, Beijing, China. Prior to that, he was a department manager and a staff technologist at Intel. He was awarded three patents and published over 50 papers and four books/book chapters. His research interests are industrial automation, manufacturing systems, operations research/management, and supply chain management. Dr. Zhang is a Member of the Honor Society of Phi Kappa Phi, and also a Senior Member of IEEE and IIE (the Institute of Industrial Engineers). He is Co-Chair of the IEEE Robotics and Automation Society Technical Committee on Semiconductor Manufacturing Automation. He is an Associate Editor of the IEEE TRANSACTIONS ON AUTOMATION SCIENCE AND ENGINEERING and a Guest Editor of Assembly Automation and the IEEE ROBOTICS AND AUTOMATION MAGAZINE. He is Program Chair of the 2007 IEEE Conference on Automation Science and Engineering. He is also the recipient of the Li Foundation Heritage Prize for Outstanding Achievement (two awardees per year in the U.S.), the Outstanding Young Industrial Engineer Business/Industry Award by the Institute of Industrial Engineers (one awardee per year worldwide), and the Early Career Industry/Government Award by IEEE RAS (one awardee per year worldwide). He is listed in Marquis Who's Who in the World. 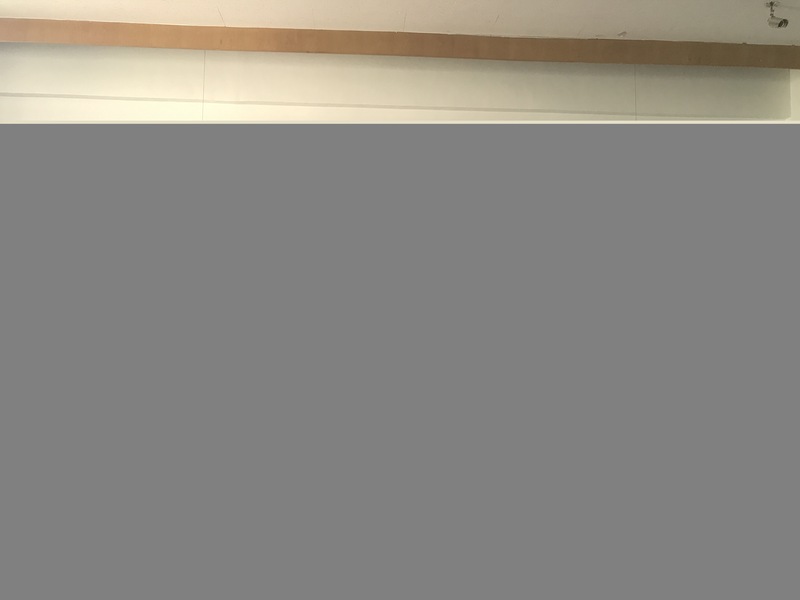 Invited by Prof. Xiao-Hong GUAN, on 14:30pm of Oct. 26th, Prof. Li QIU from The Hong Kong University of Science and Technology gave a talk titled Measure of Instability and Multivariable Networked Stabilization with Channel Resource Allocation, in Room 1-515, FIT Building. 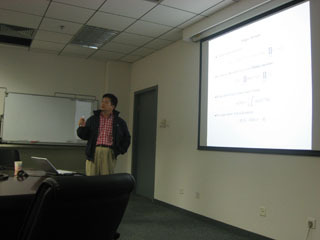 Prof. Xiao-Hong GUAN, the director of CFINS, hosted the talk. Prof. Chun-Di MU, Prof. Chun-Wen LI and Lec. Li LI from Dept. of Automation, Lec. 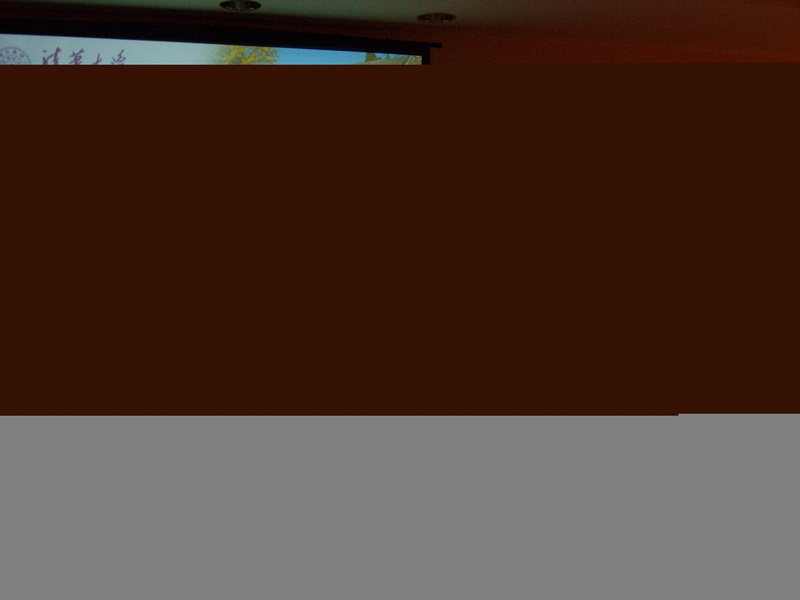 Qing-Shan JIA and students of CFINS, and some students from our department attended this talk. After the talk, Prof. QIU had a good discussion with the audience. 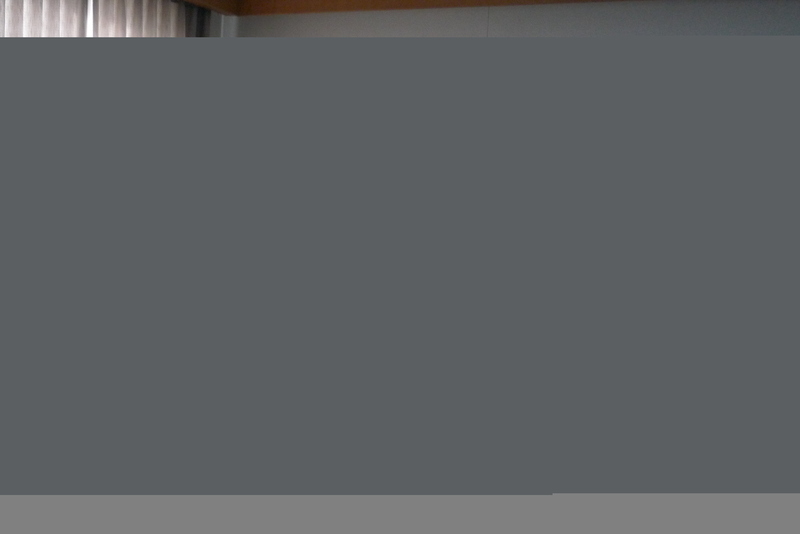 In this talk, we will survey the history of an instability measure of an LTI system and its connections with various feedback control problem. Then we will present its connections to networked control problems of multivariable systems. In such problems, communication resource allocation among various signal transmission channels becomes a design issue in addition to the usual controller design. We will see that some optimal and robust control problems arising in networked control are nontraditional and highly nonconvex but can be nicely and analytically solved, and the solutions are given in terms of the instability measure. The results to be reported are the recent findings in the joint research with Professor Guoxiang Gu of LSU. 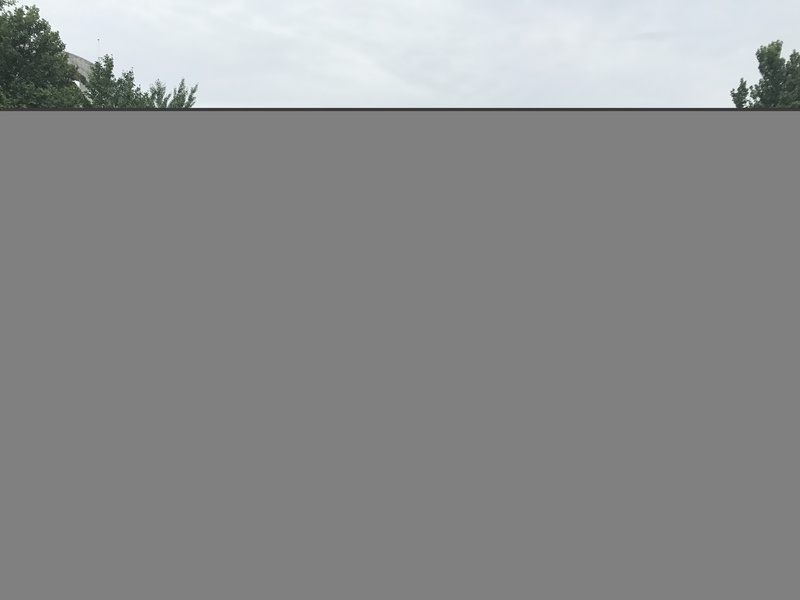 Professor Li Qiu received the B.Eng. 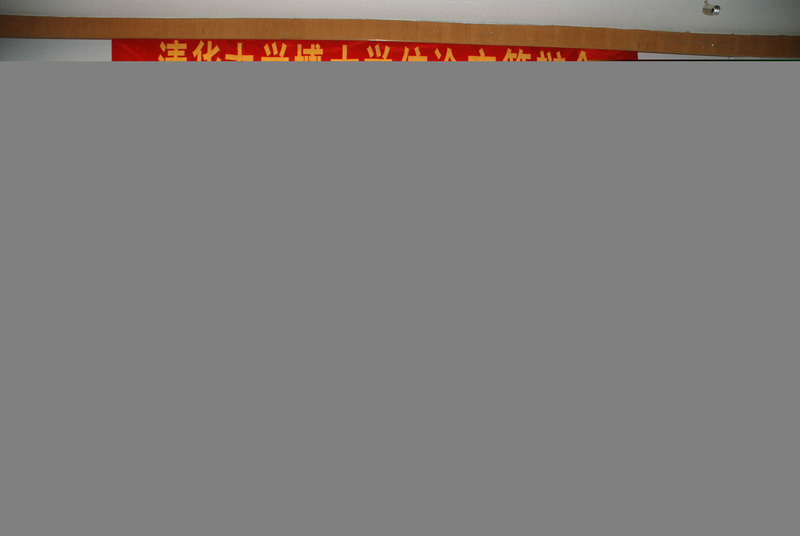 degree from Hunan University, Changsha, Hunan, China, in 1981, and the M.A.Sc. and Ph.D. degrees from the University of Toronto, Toronto, Ont., Canada, in 1987 and 1990, respectively, all in electrical engineering. He joined Hong Kong University of Science and Technology, Hong Kong SAR, China, in 1993, where he is now a professor of Electronic and Computer Engineering. Professor Qiu's research interests include system, control, information theory, and mathematics for information technology. He served as an associate editor of the IEEE Transactions on Automatic Control and an associate editor of Automatica. He is now a Distinguished Lecturer of IEEE Control Systems Society and the general chair of the 7th Asian Control Conference, which is to be held in Hong Kong in 2009. He is a fellow of IEEE. Prof. Qianchuan Zhao and Dr. Qing-Shan Jia visited Prof. Dimitri P. Bertsekas at Massachusetts Institute of Technology at Boston. They exchanged some recent development on approximate dynamic programming and multi-objective Markov decision processes. Yanjia Zhao, a PhD student in CFINS who is currently visiting Prof. Bertsekas and Prof. John N. Tsitsiklis at MIT joined the discussion. Prof. Zhao and Dr. Jia invited Prof. Bertsekas to visit CFINS. Dr. Bertsekas accepted the invitation happily. 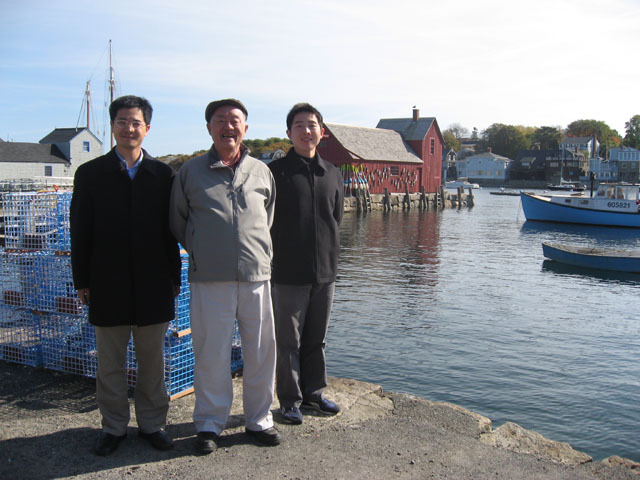 Prof. Qianchuan Zhao and Dr. Qing-Shan Jia visited Prof. Yu-Chi Ho at Boston. 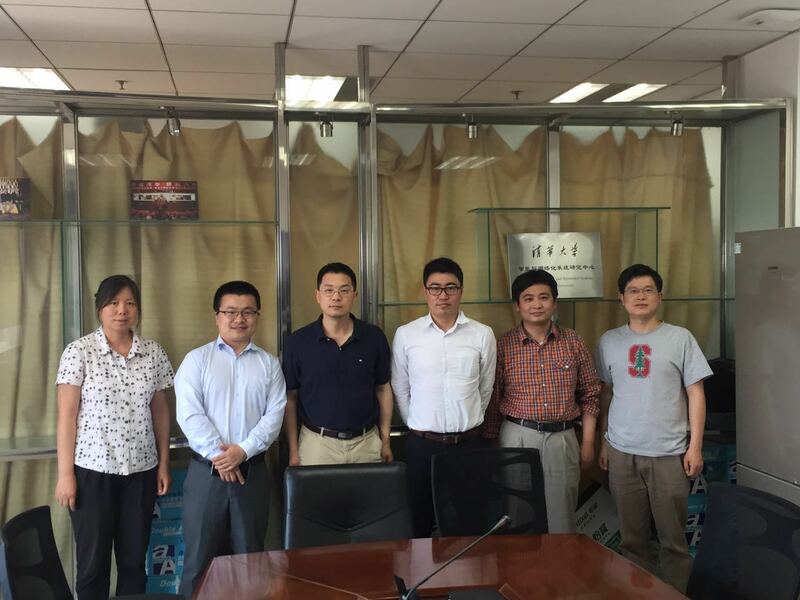 They discussed various topics on ordinal optimization and the development of CFINS. 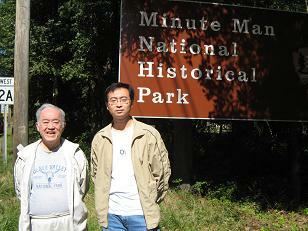 Prof. Qianchuan Zhao and Dr. Qing-Shan Jia attended the INFORMS Annual meeting 2008 at Washington D.C.. They were invited to give talks in the special session efficient Simulation and Optimization organized by Prof. Chun-Hung Chen from George Mason University, U.S.A. and Prof. Loo Hay Lee from National University of Singapore, Singapore. 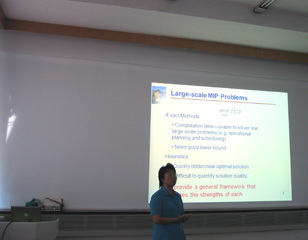 Prof. Zhao gave the talk Ordinal Optimization: Soft Optimization for Hard Problems and Dr. Jia gave the talk Applications of Ordinal Optimization: Some Examples. 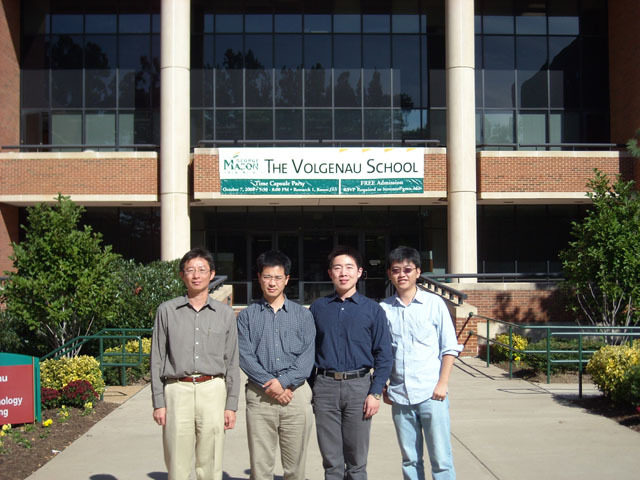 Prof. Yu-Chi Ho, Prof. Qianchuan Zhao and Dr. Qing-Shan Jia are the authors of both talks. Prof. Zhao and Dr. Jia met various international friends during the meeting. Two Ph.D. candidates at CFINS, Yanjia Zhao and Mingyang Li, visited Prof. Ho on Sep. 19, 2008, and discussed with Prof. Ho about their research progress in Ph.D. thesis. 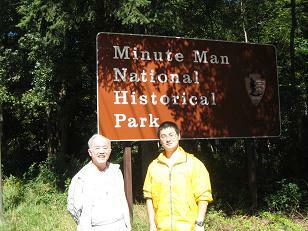 After that, they visited Minute Man National Historical Park together. 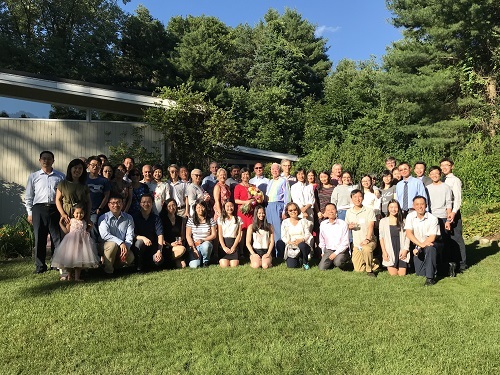 Two Ph.D. candidates at CFINS, Yanjia Zhao and Mingyang Li,visited Prof. Peter B. Luh at University of Connecticut on Sep. 20 and 21.After that, they had a tour in the campus of UConn. Old news & events in last years for your information.